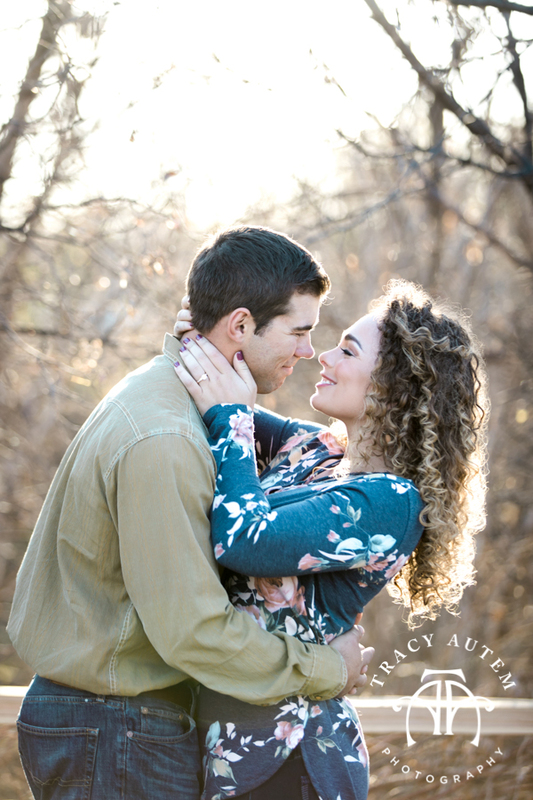 I just adore Alex & Janie! 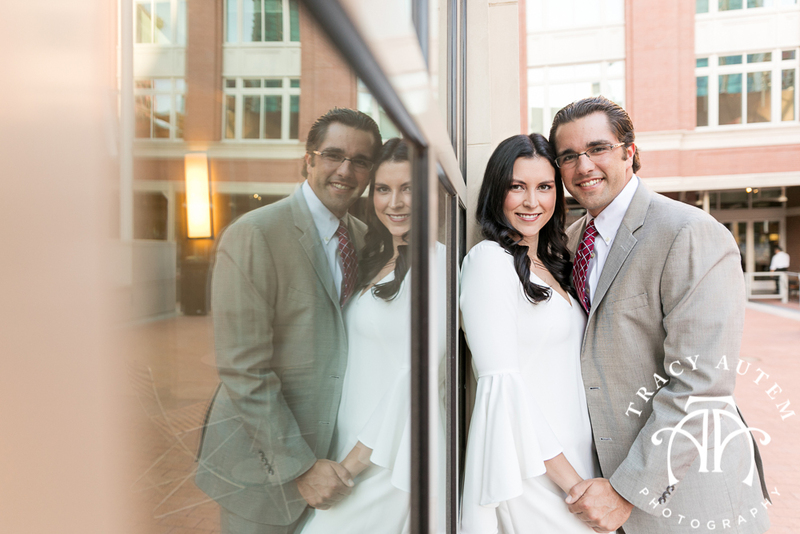 From the moment they walked into my office I just clicked with them and wanted to photograph their wedding! 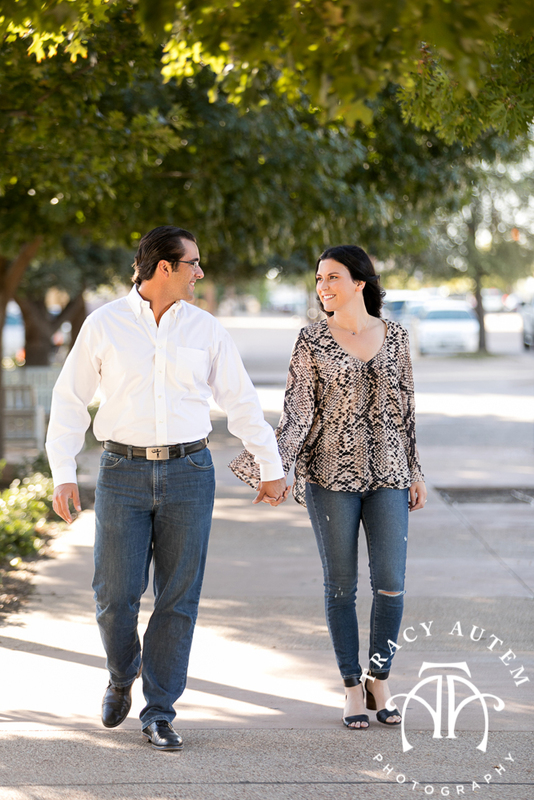 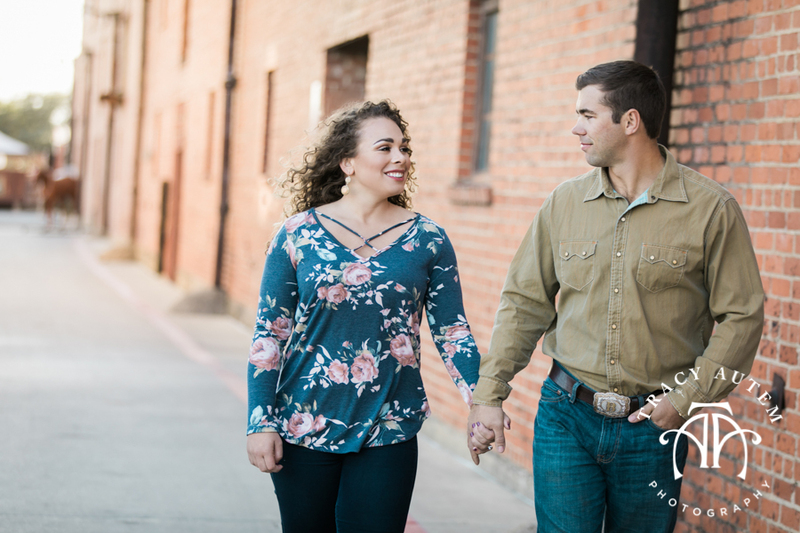 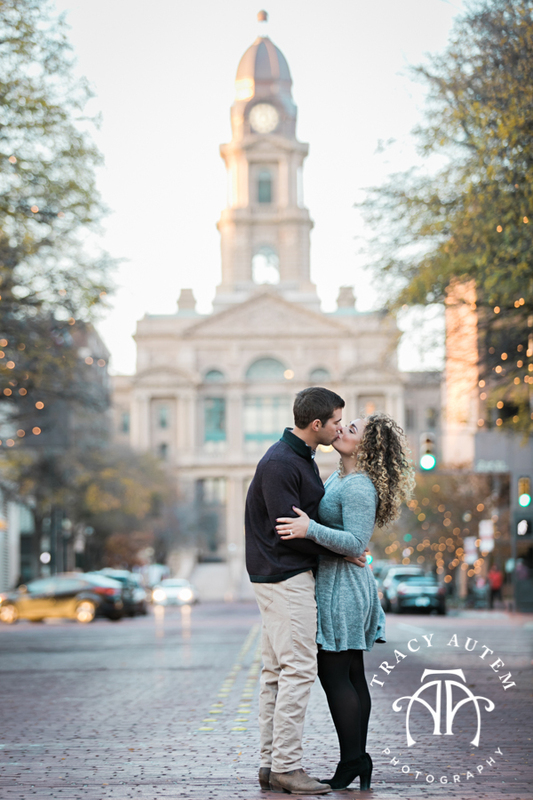 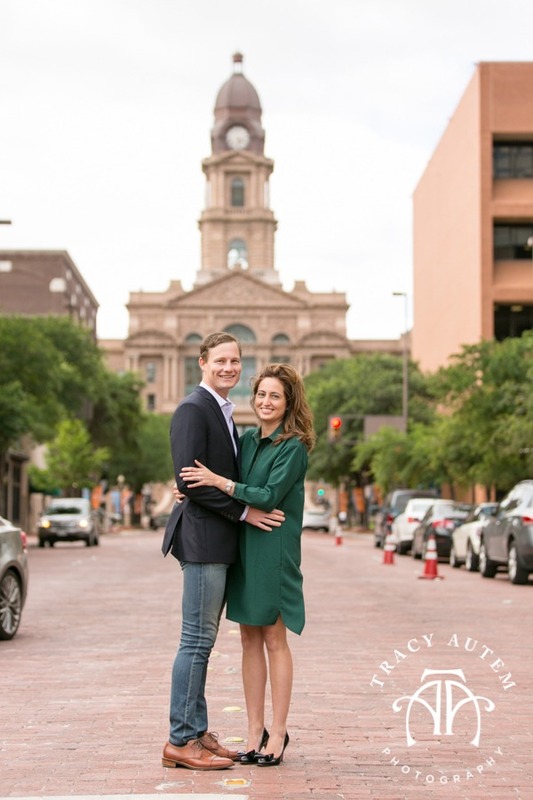 Thankfully they said yes to me and last week on a beautiful winter day we explored Fort Worth for their engagement session. 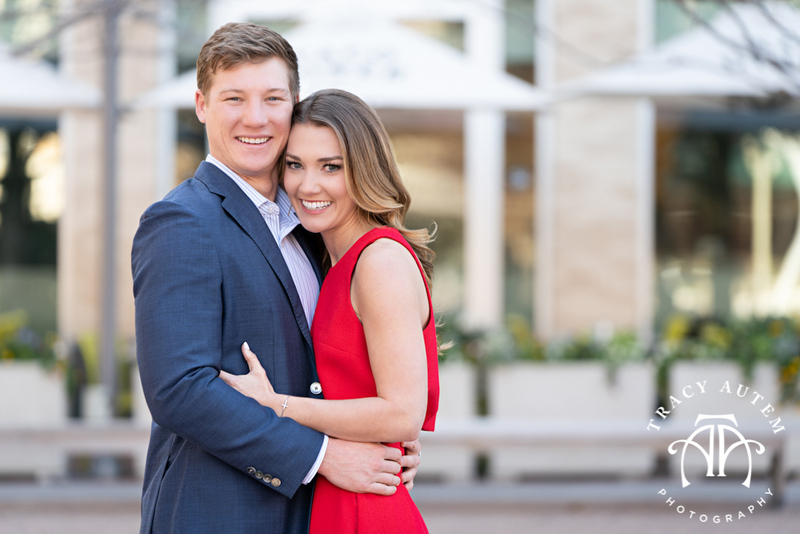 These two met in math class at TCU and fell in love almost 4 years ago. 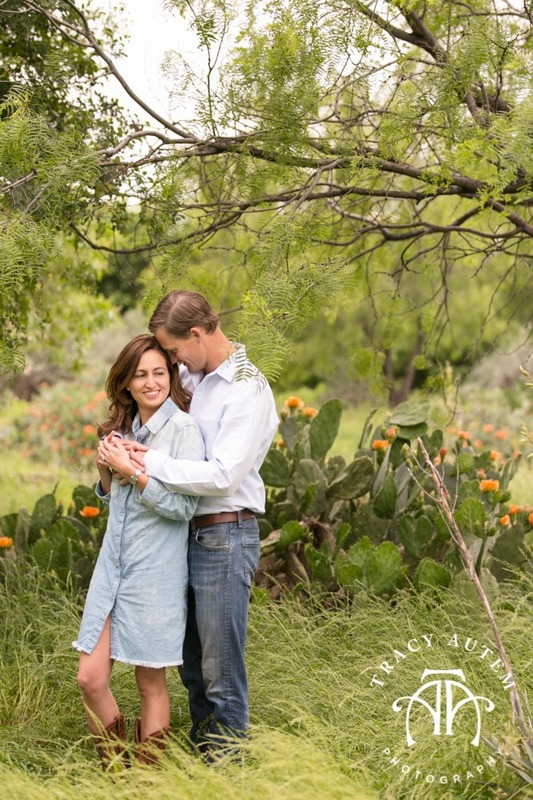 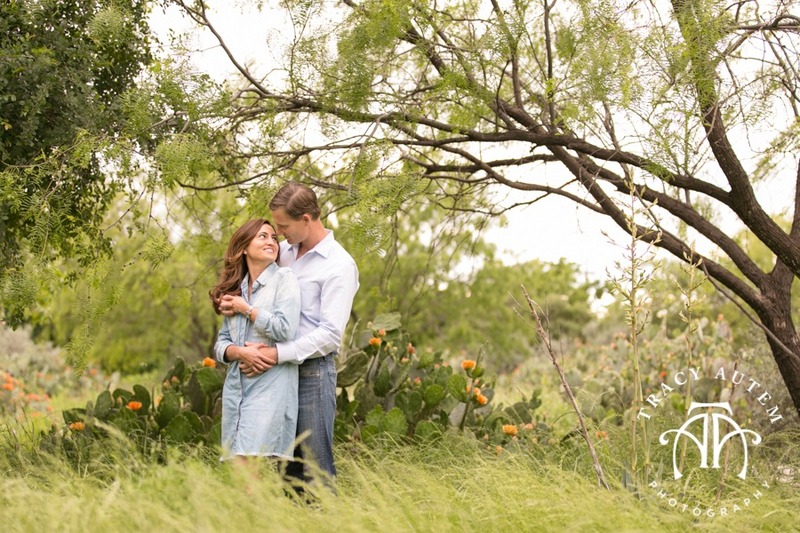 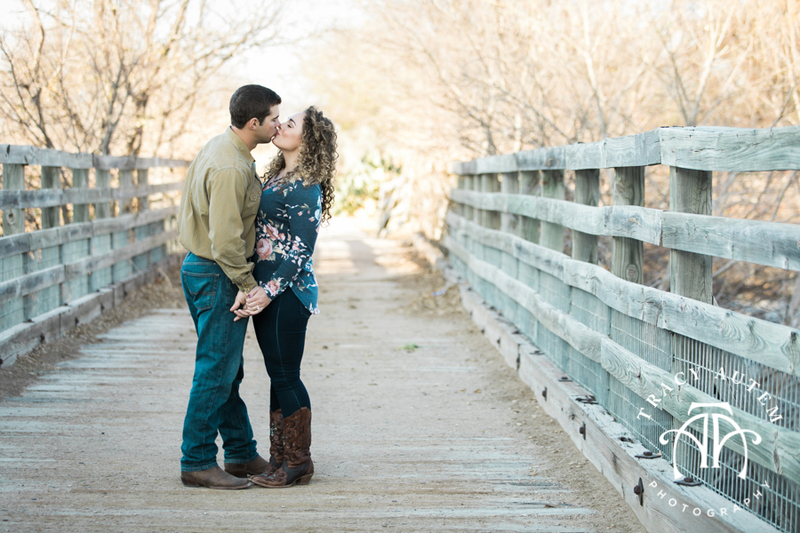 They will be getting married this fall at Whiskey Ranch! 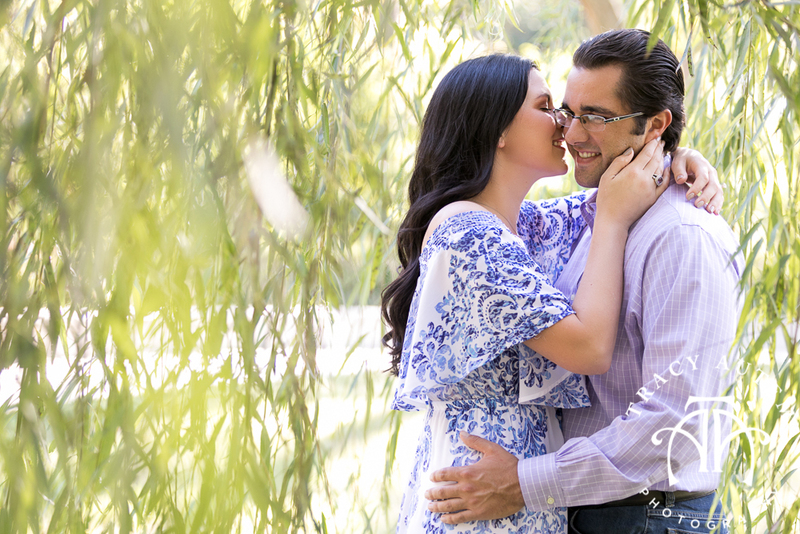 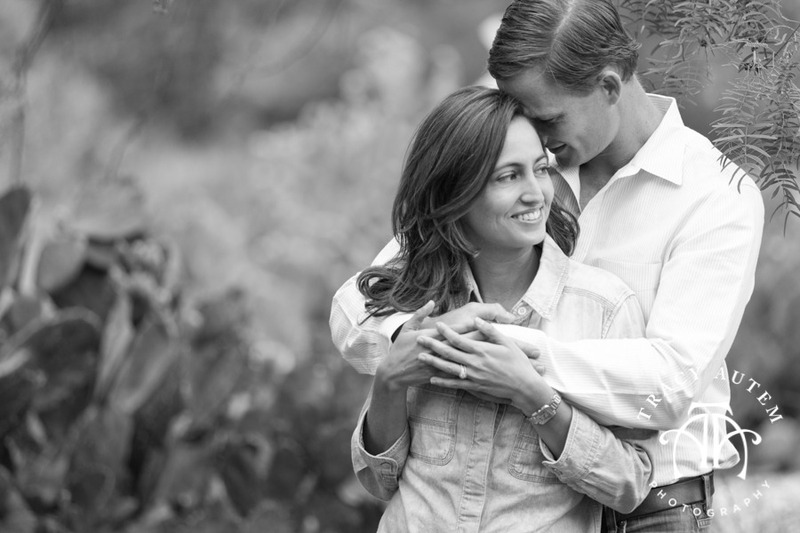 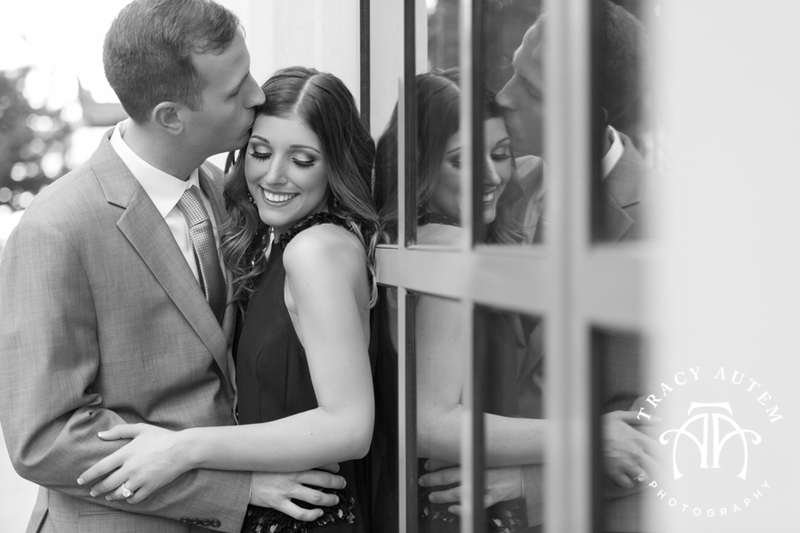 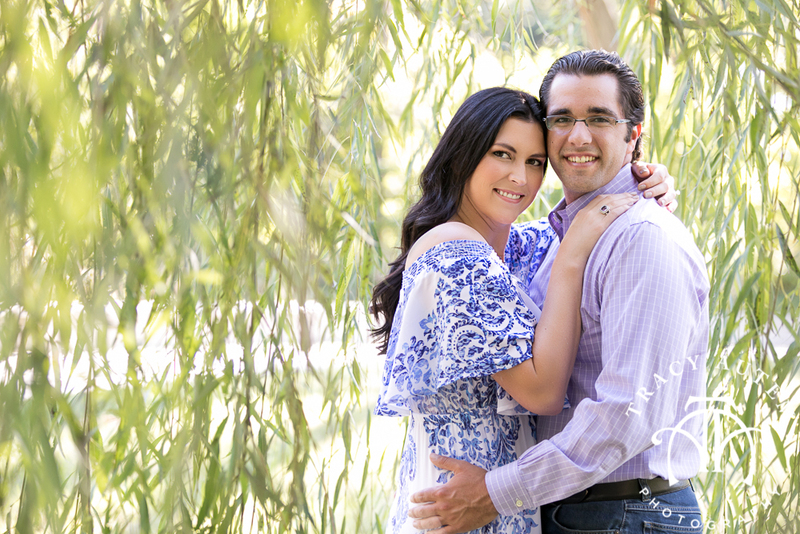 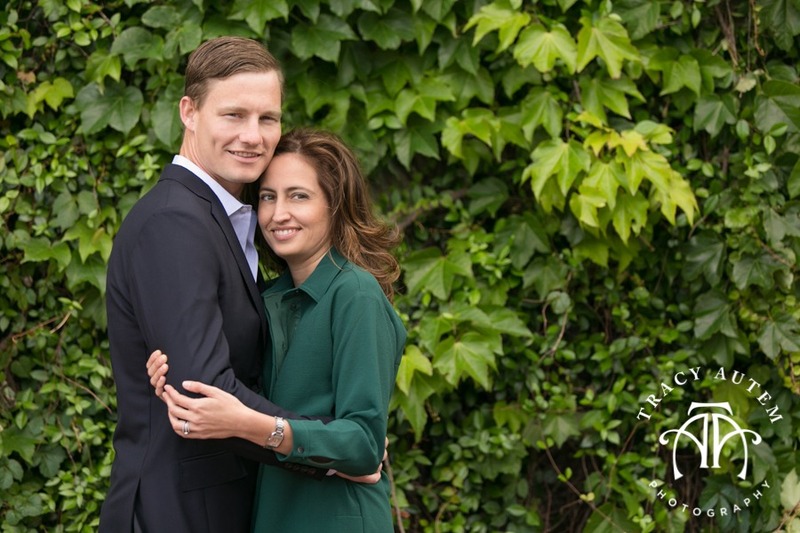 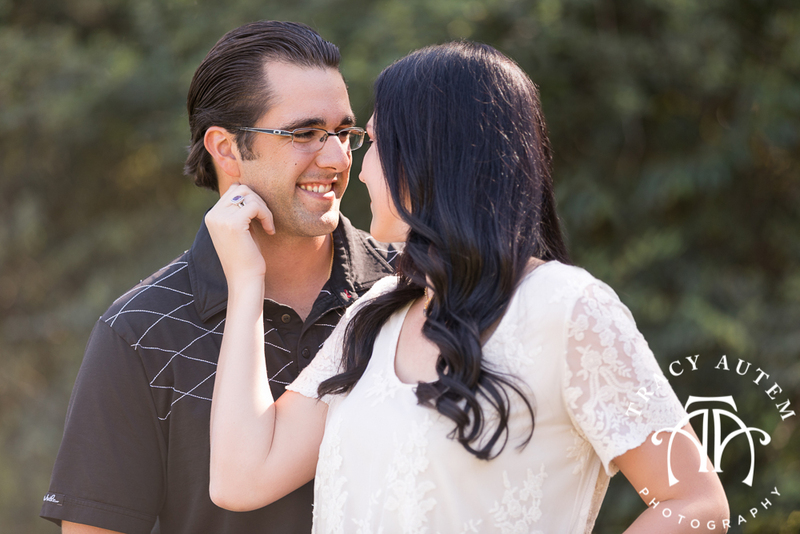 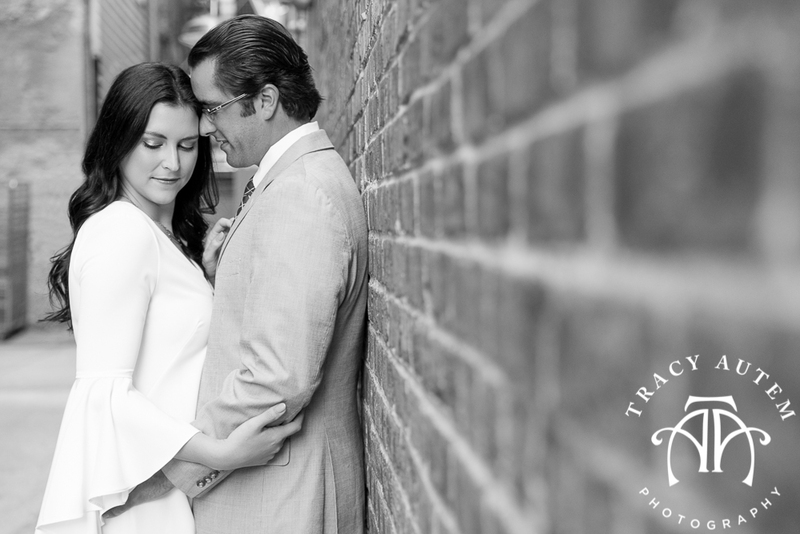 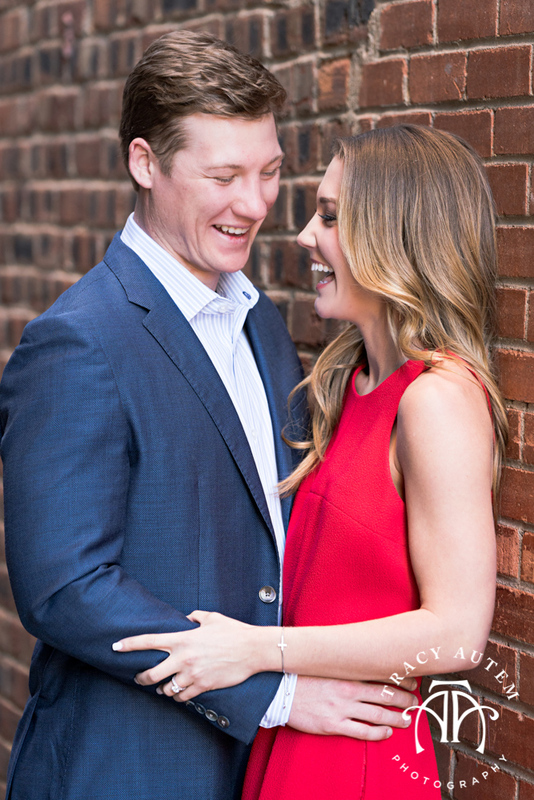 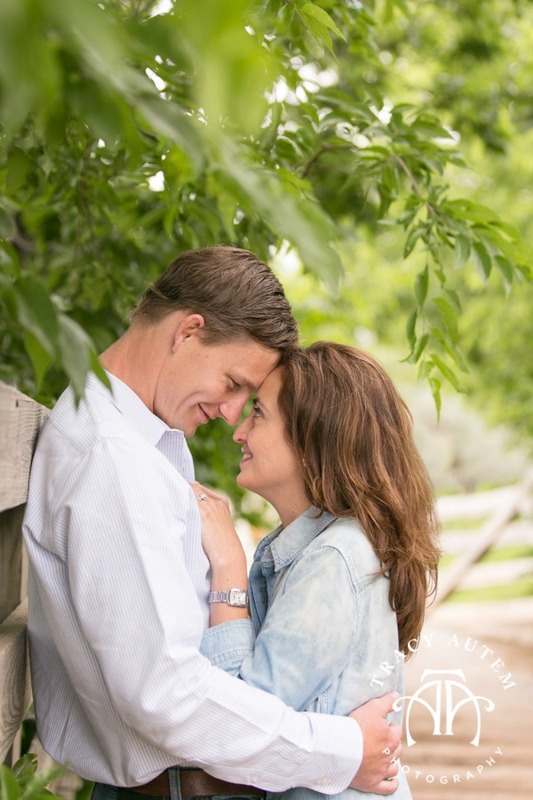 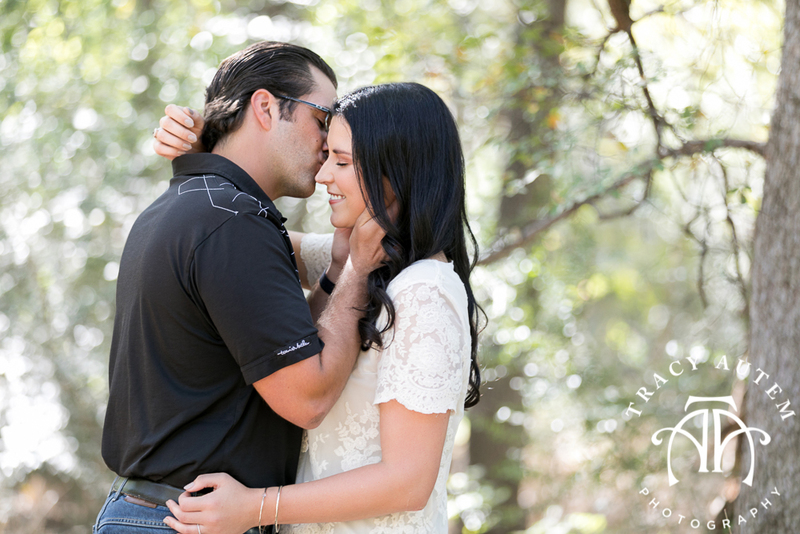 After their session I am even more excited for this wedding – they love each other fiercely. 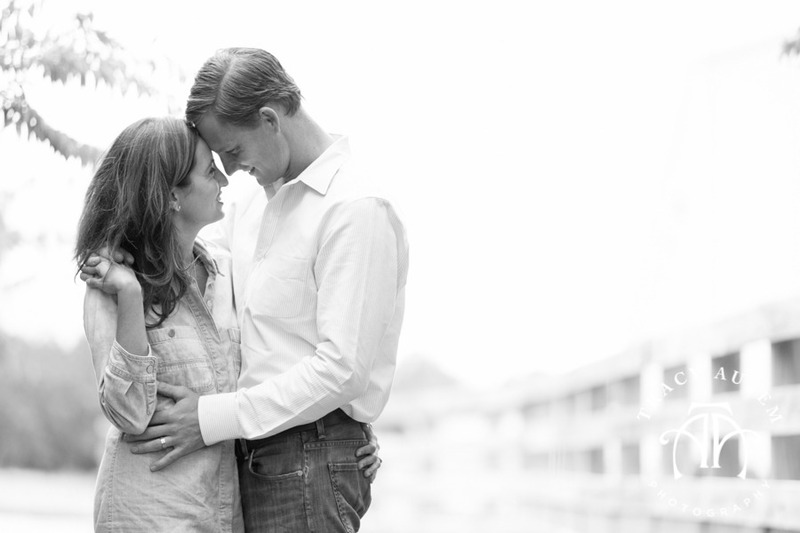 Watching them together gave me goosebumps! 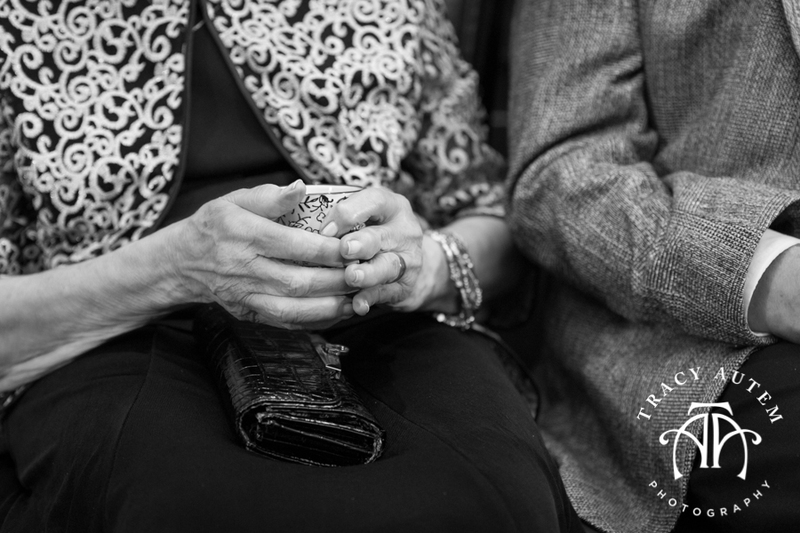 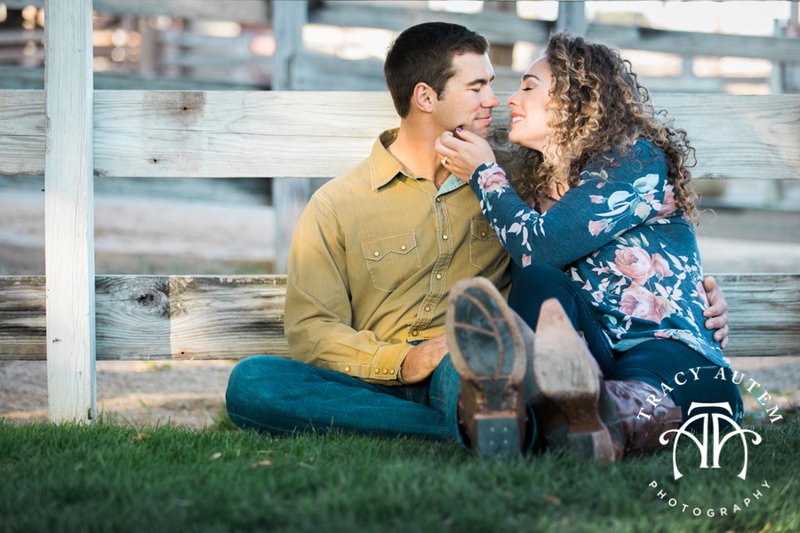 Centering their relationship is a strong foundation in Christ – this last year has been an adventure as they have been waiting on the what’s next for their lives. 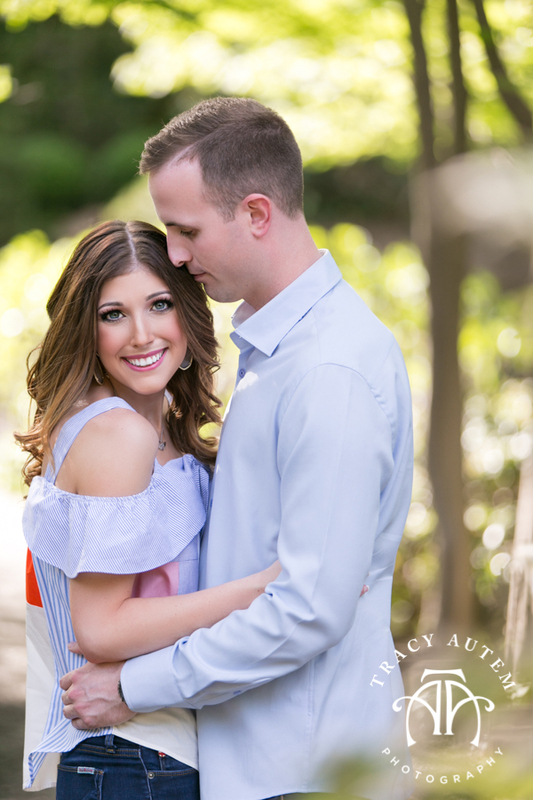 I see how they have been called into this time in preparation for their marriage – this relationship is going to do great things! 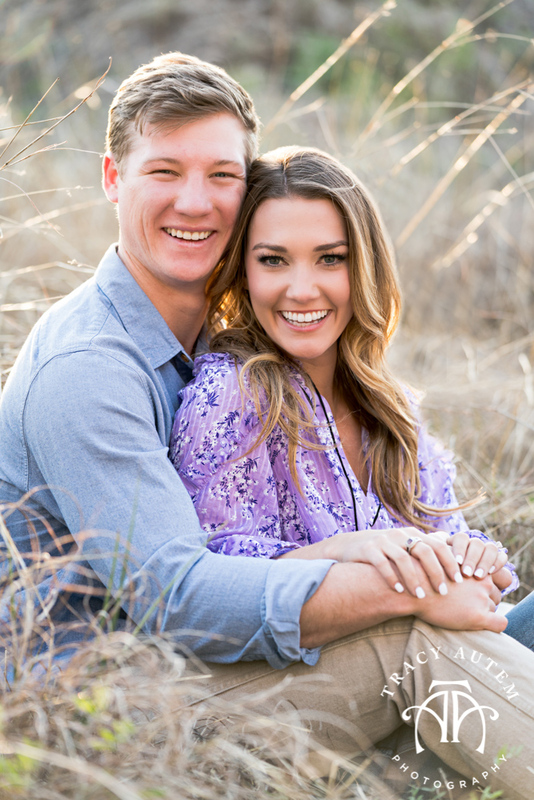 Love you guys and can’t wait to hear your vows, watch you walk the aisle and celebrate with you both. 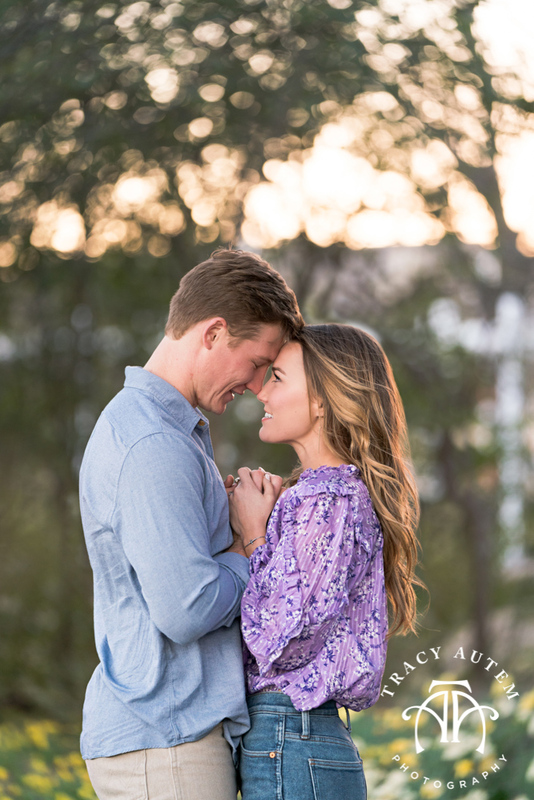 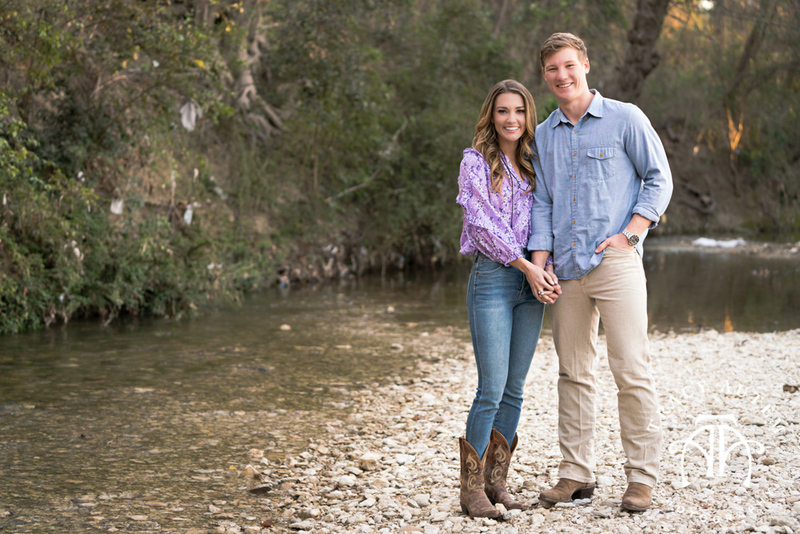 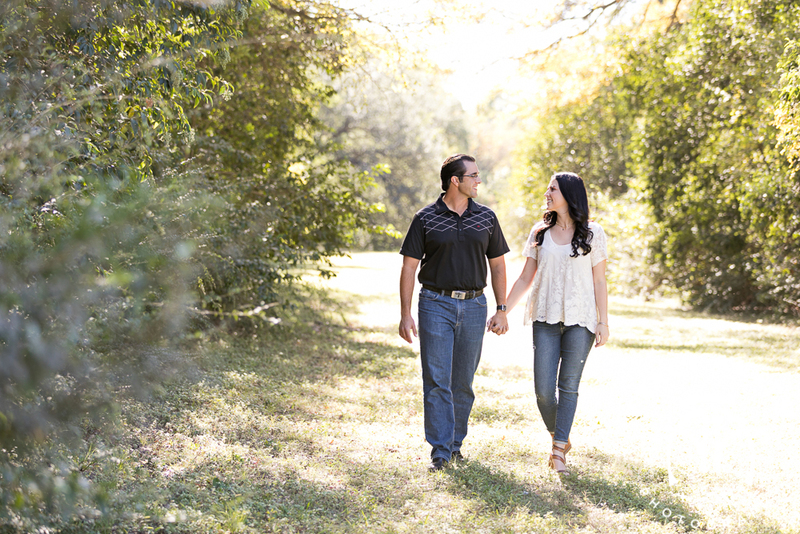 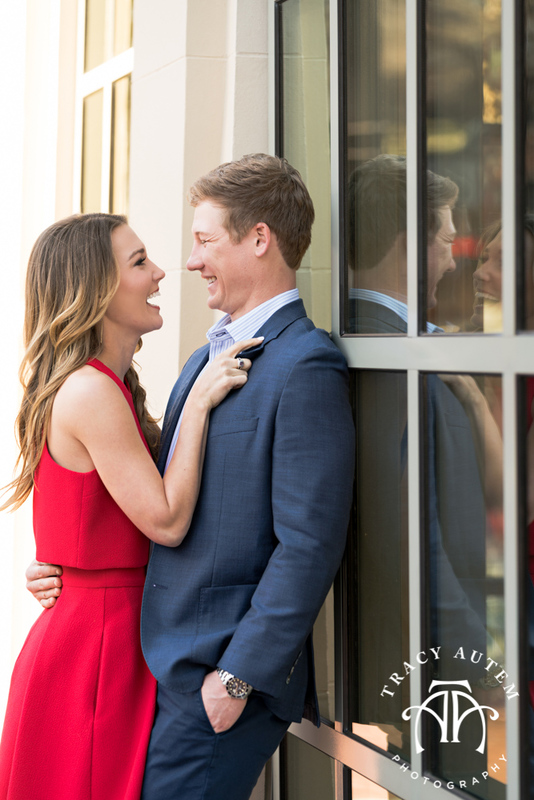 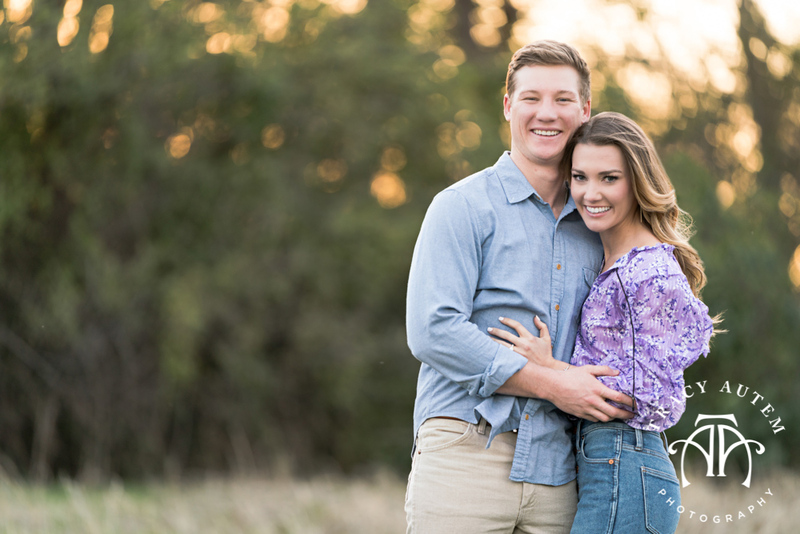 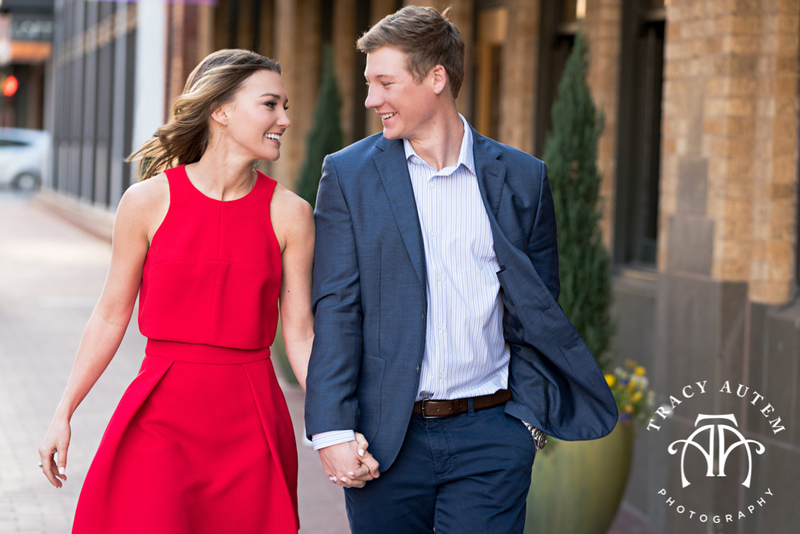 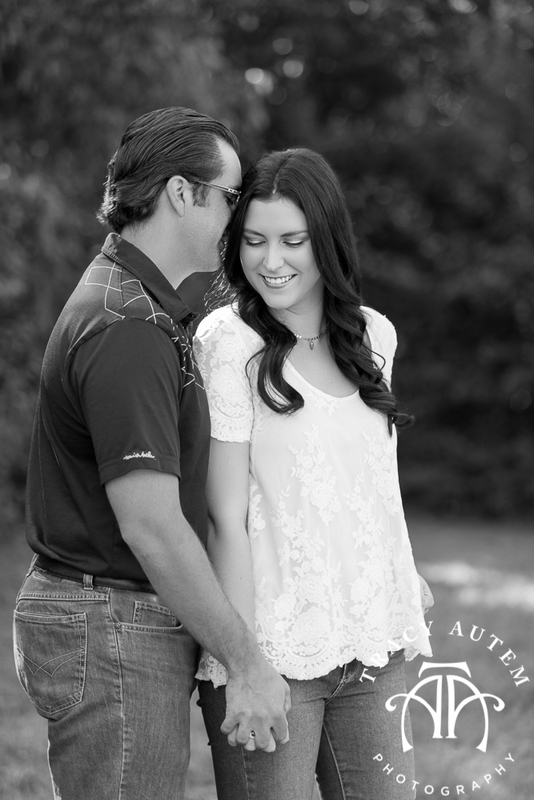 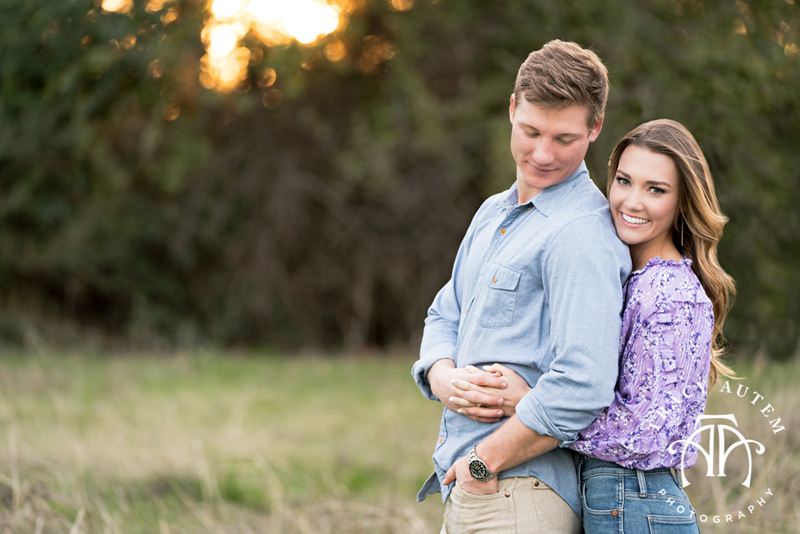 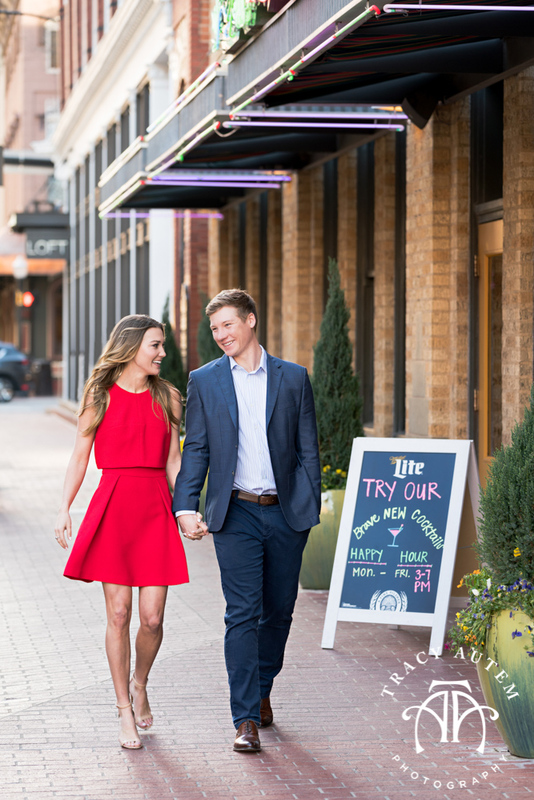 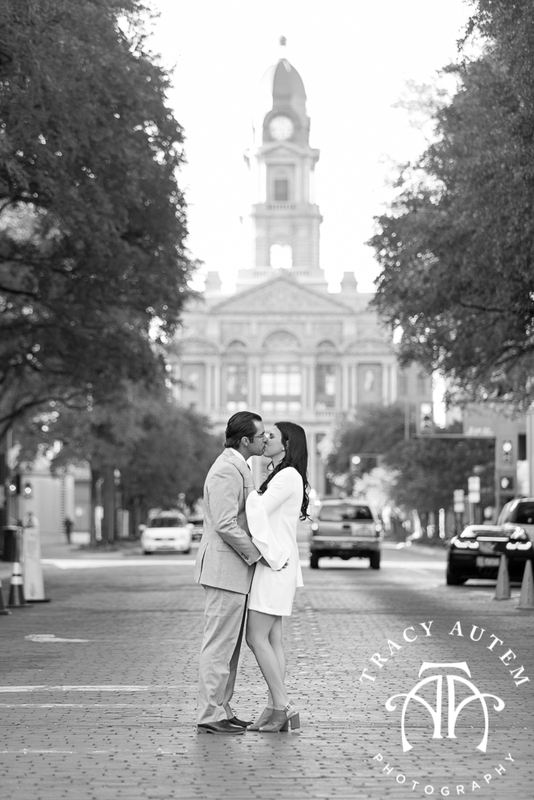 Ragan & Alex met at TCU and their love story has continued on for over 4 years and headed towards the altar next May! 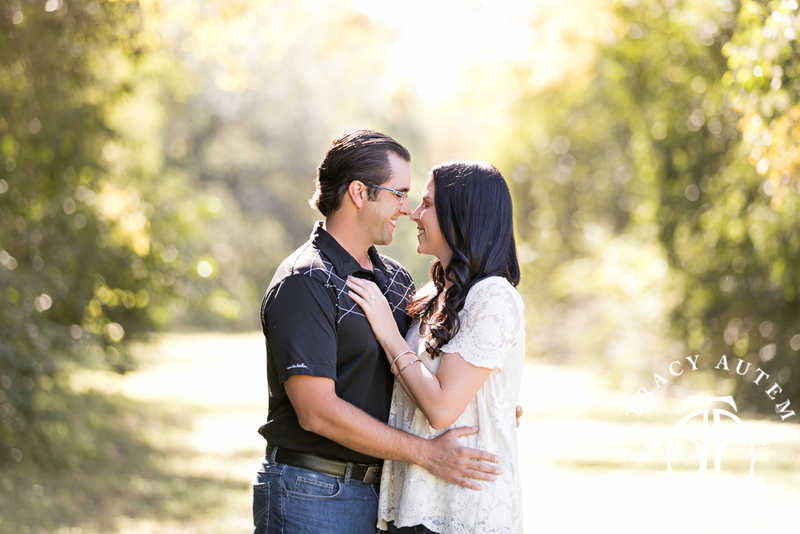 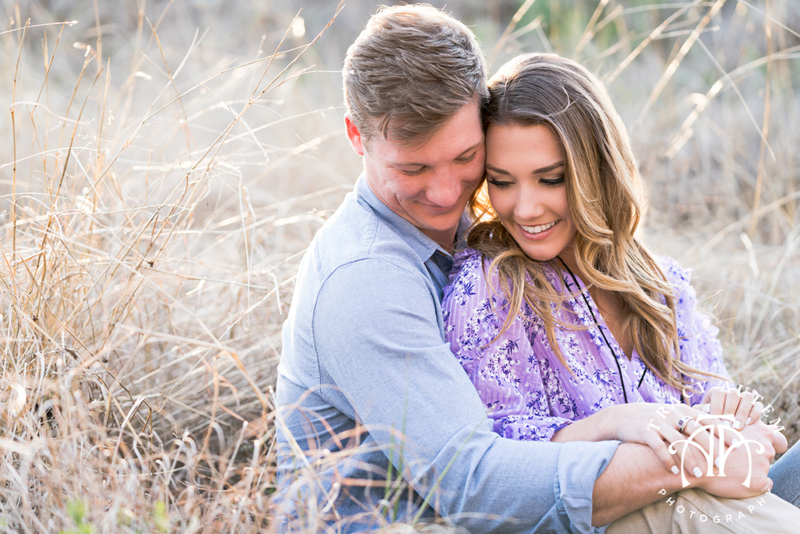 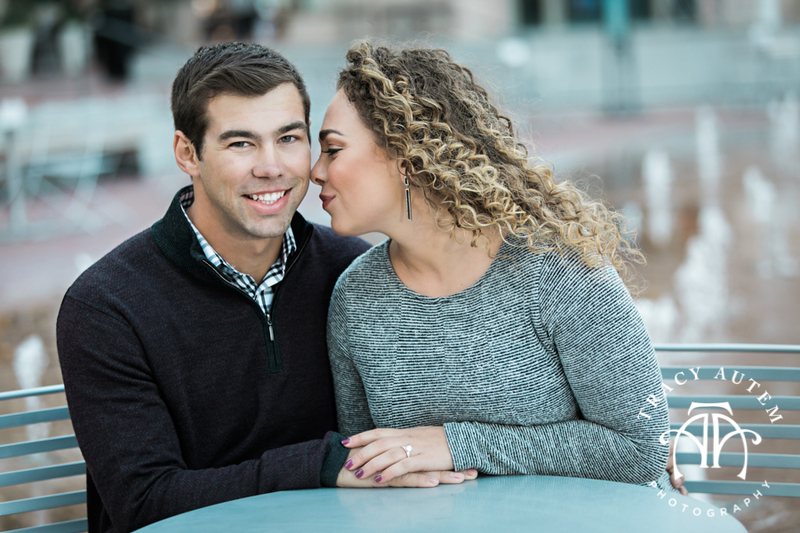 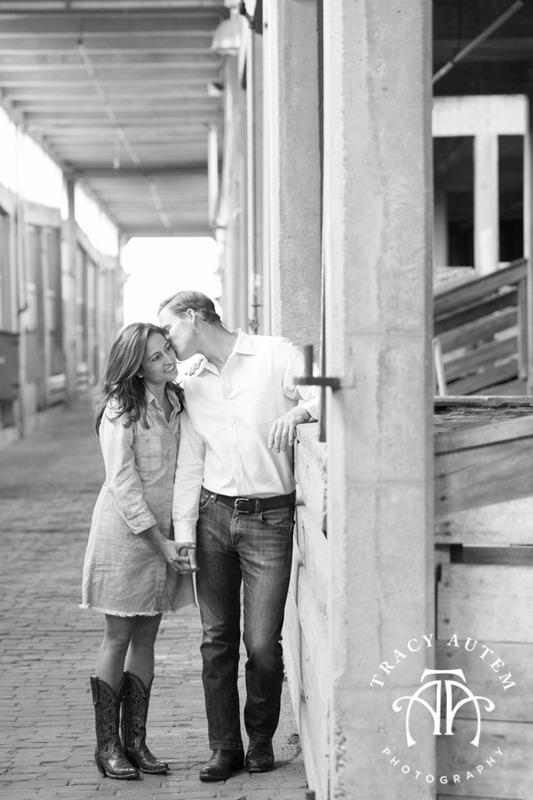 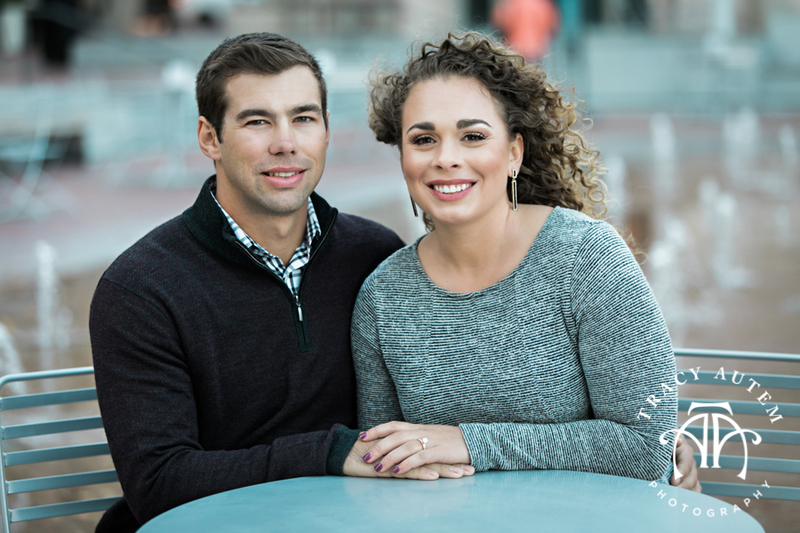 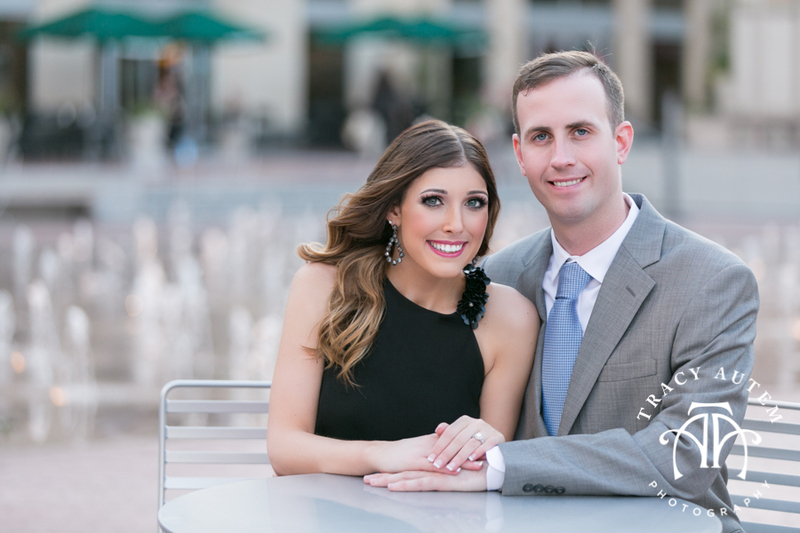 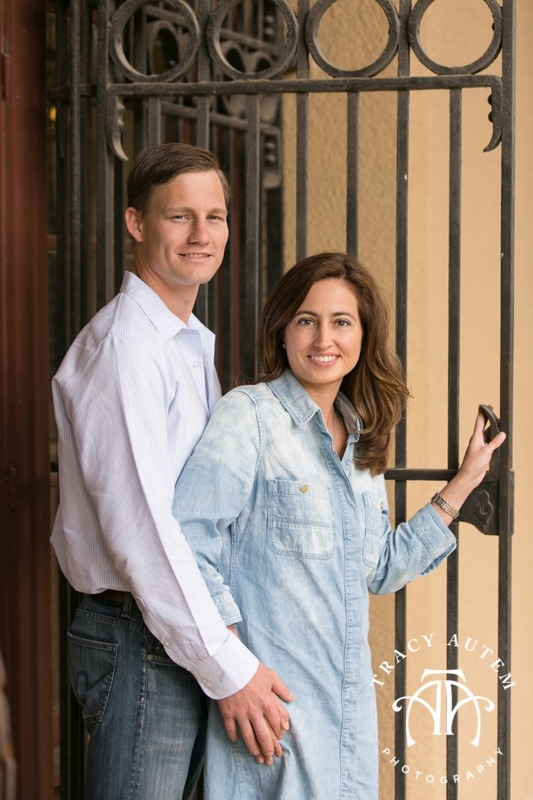 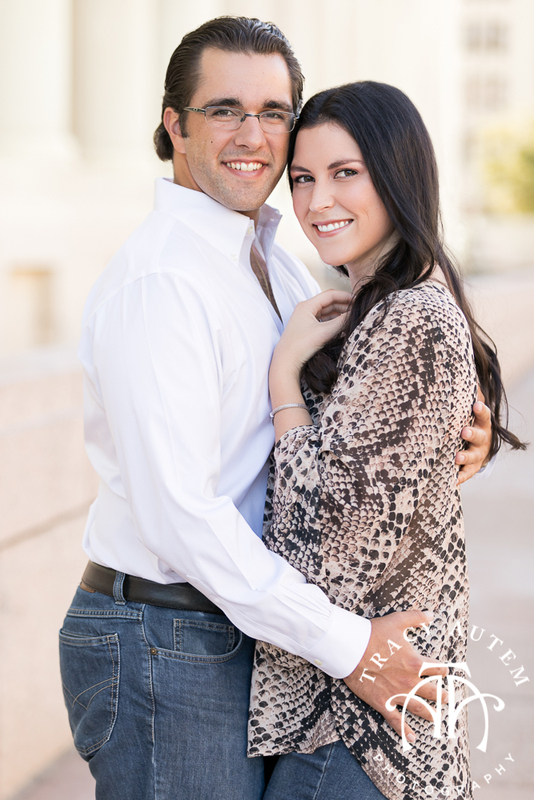 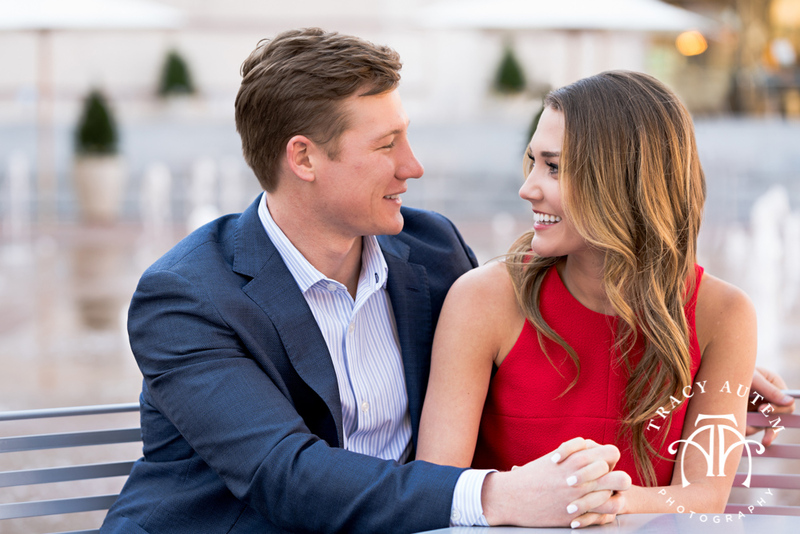 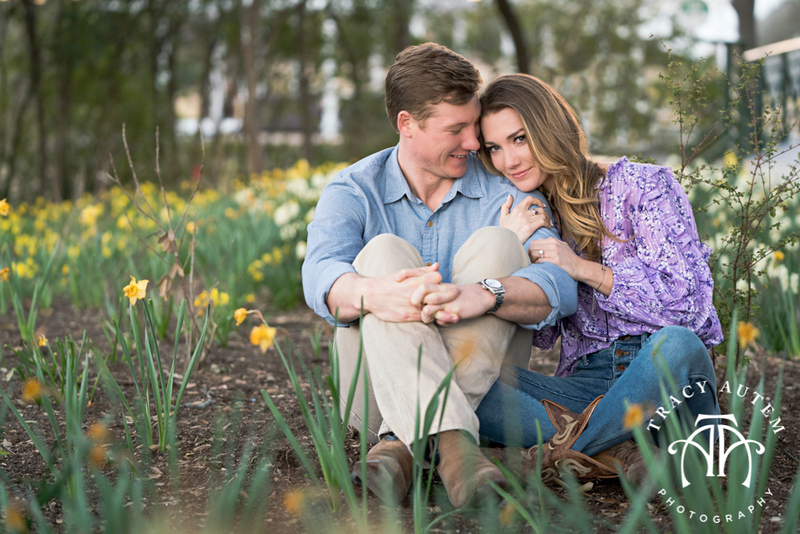 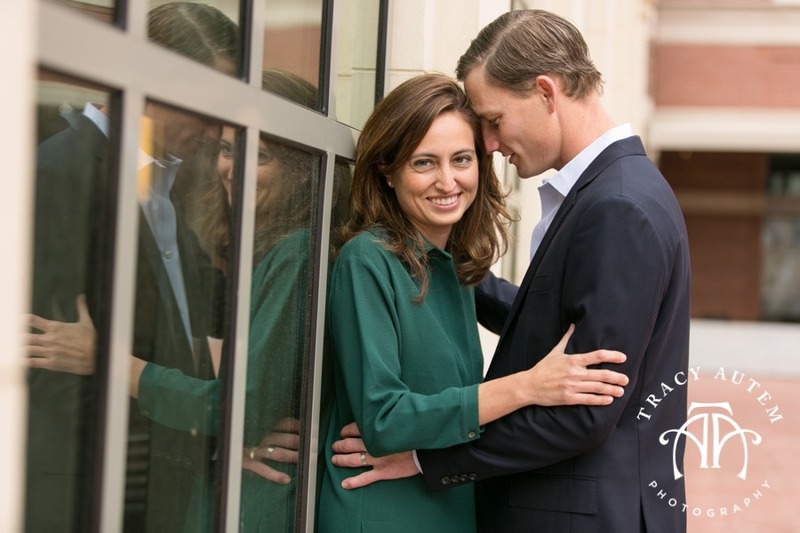 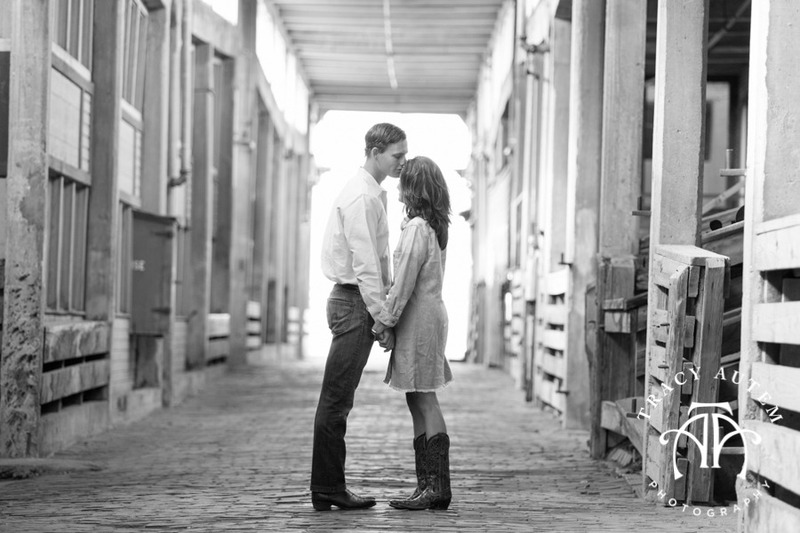 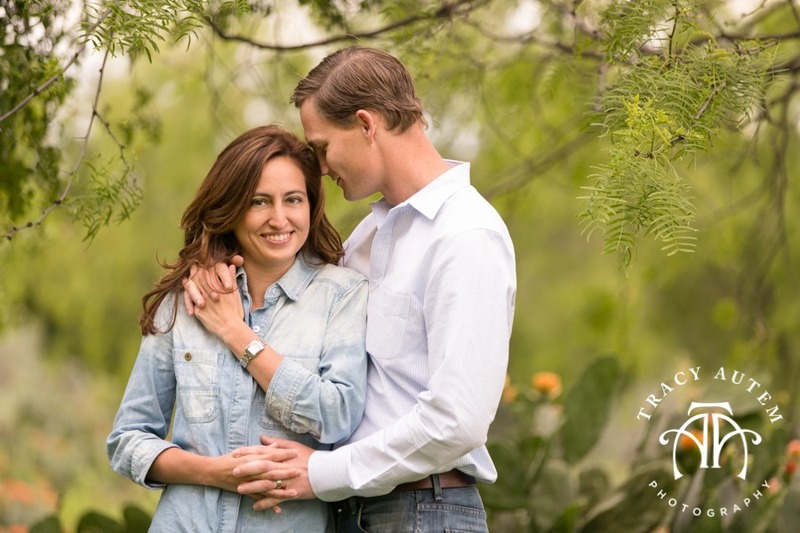 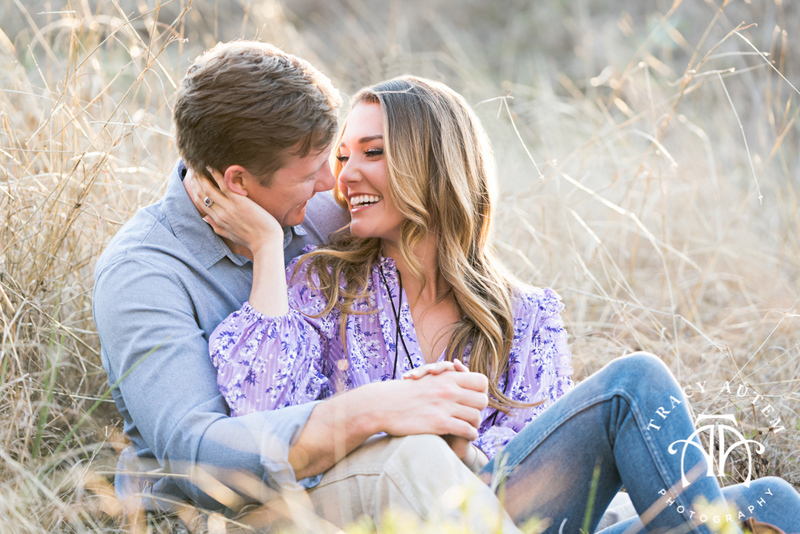 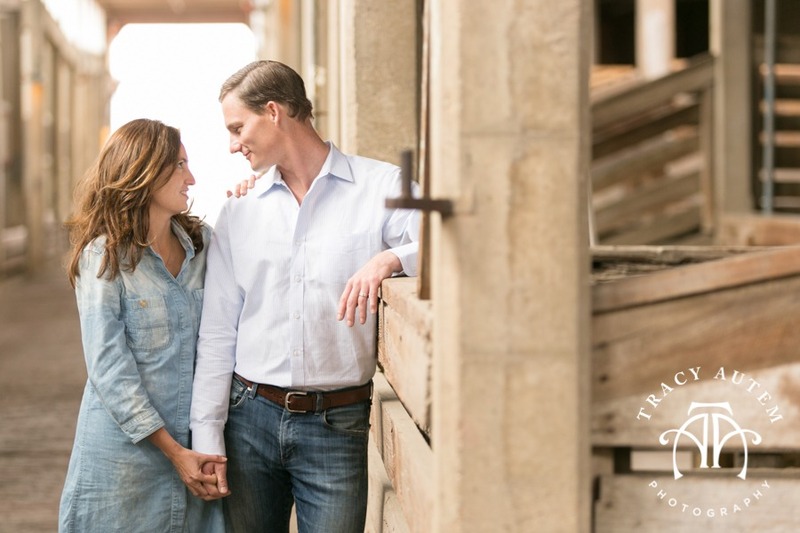 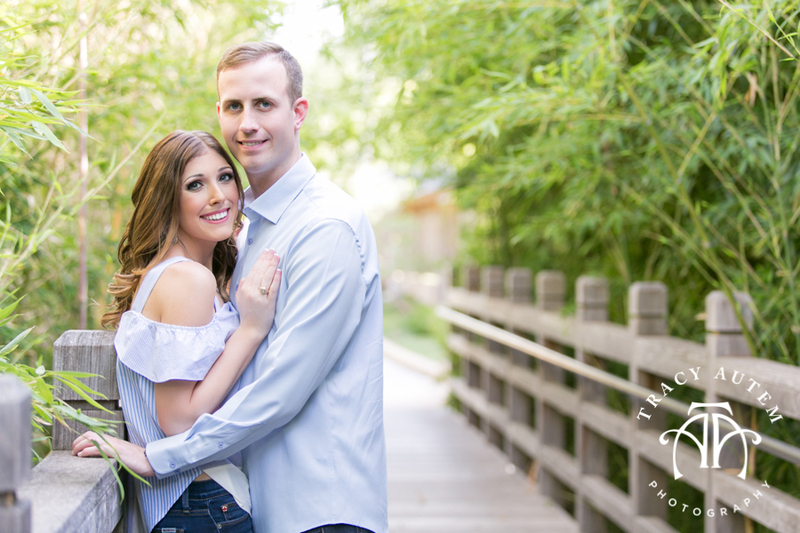 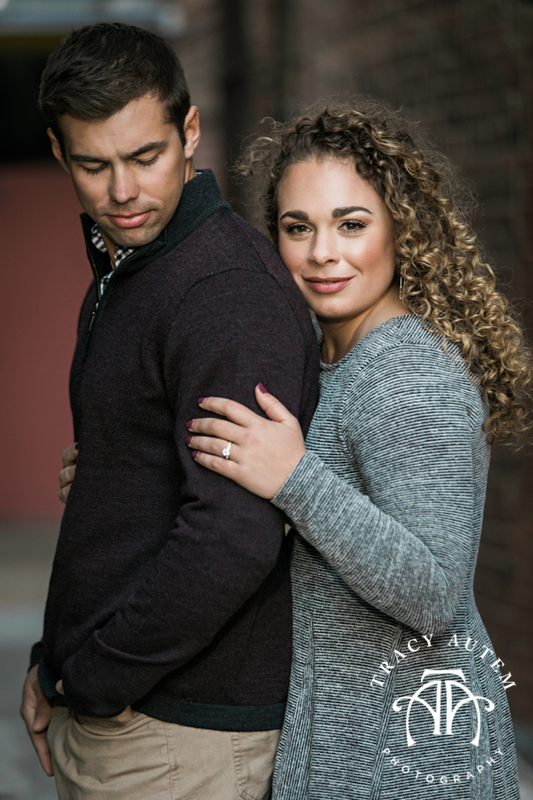 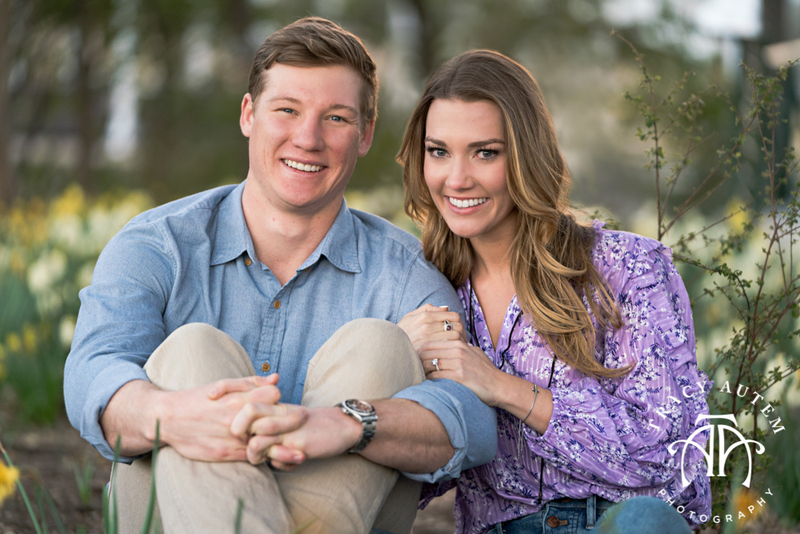 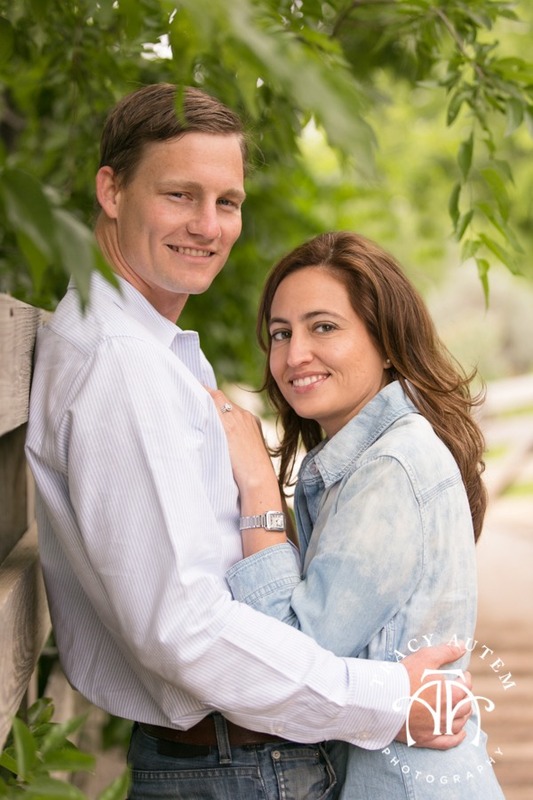 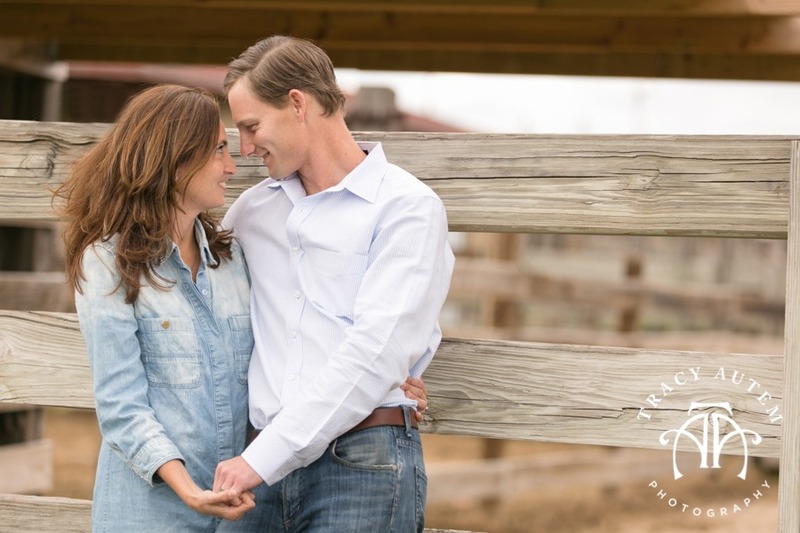 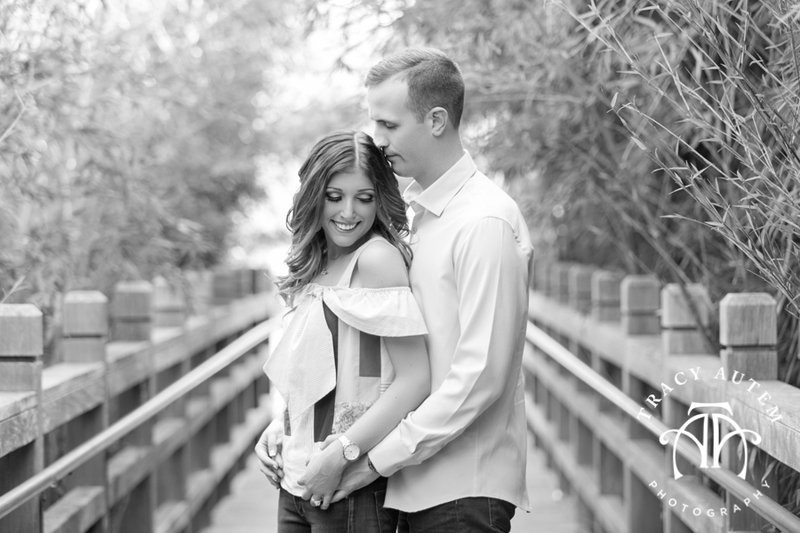 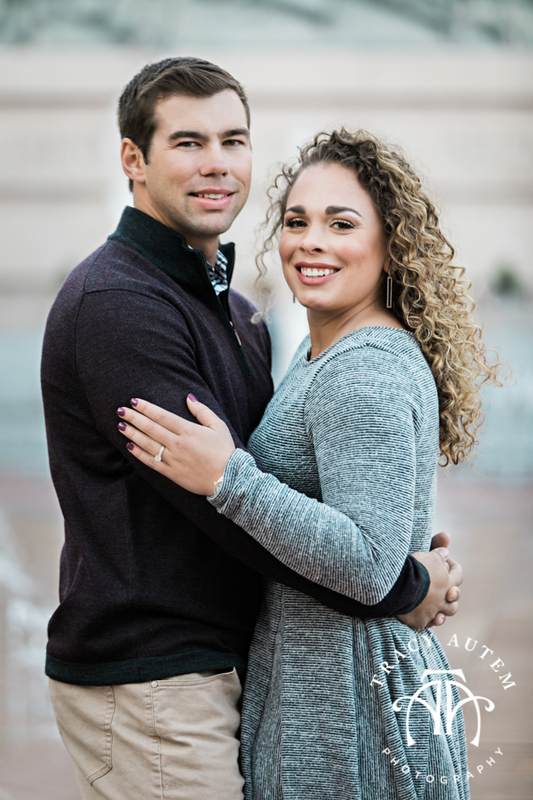 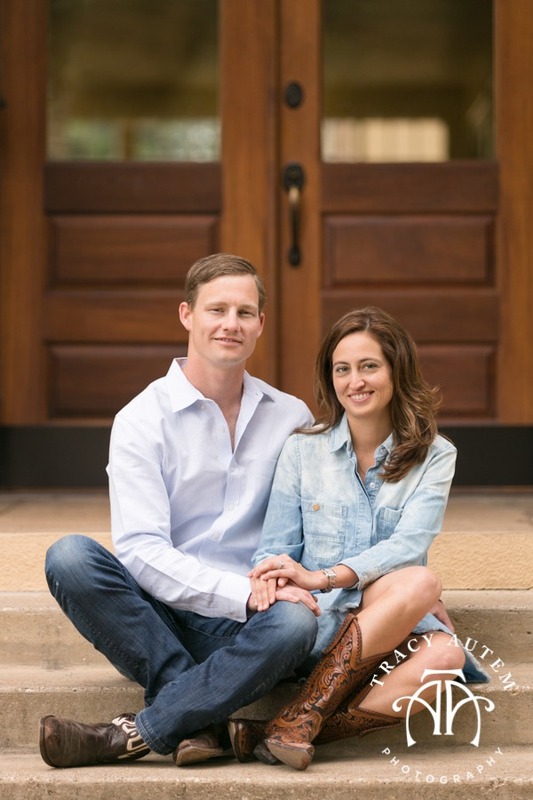 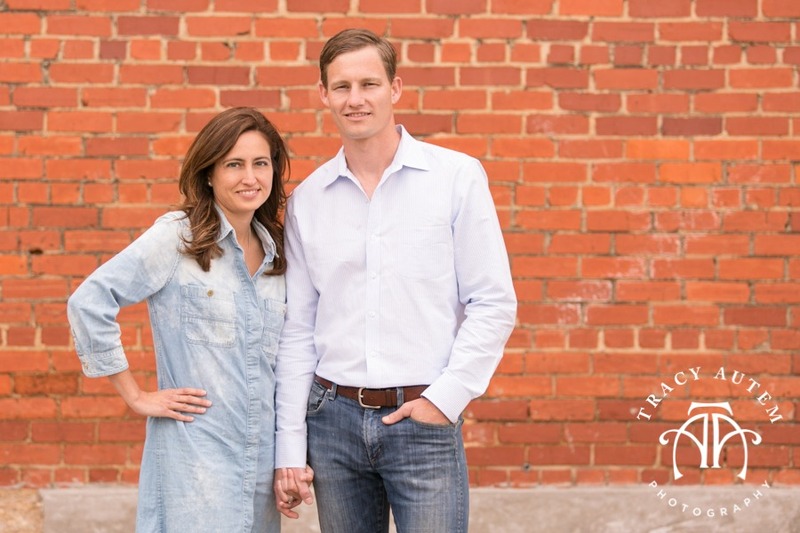 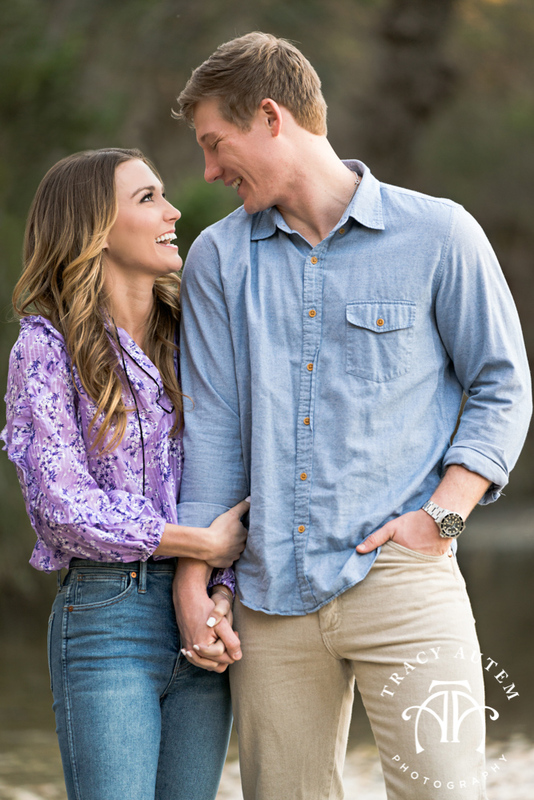 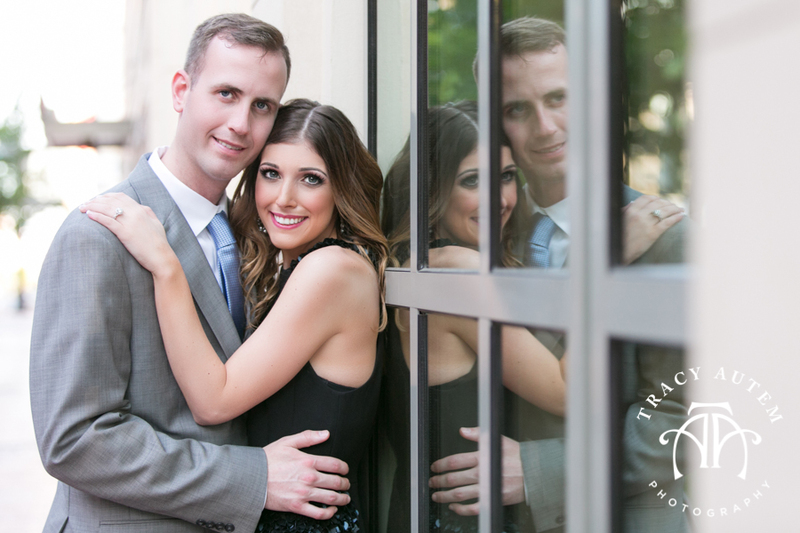 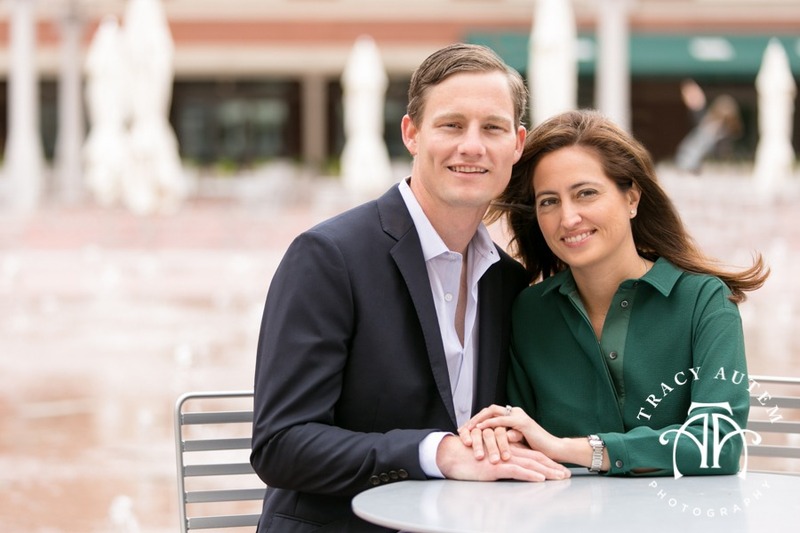 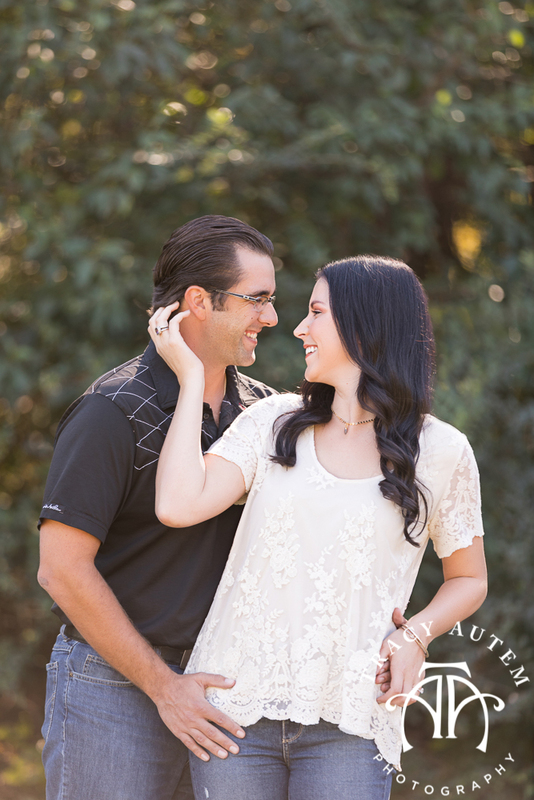 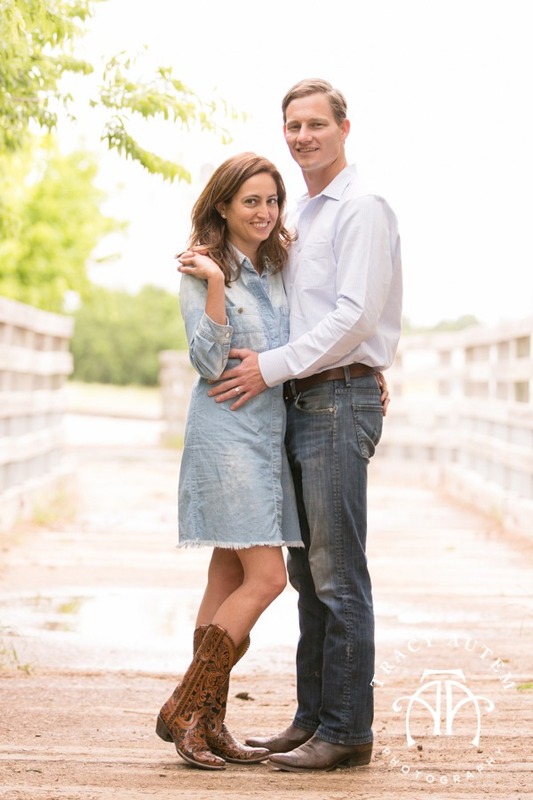 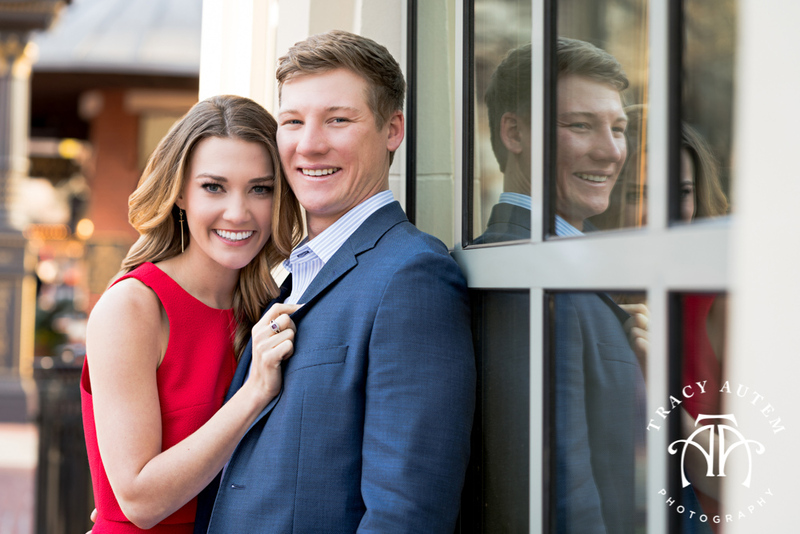 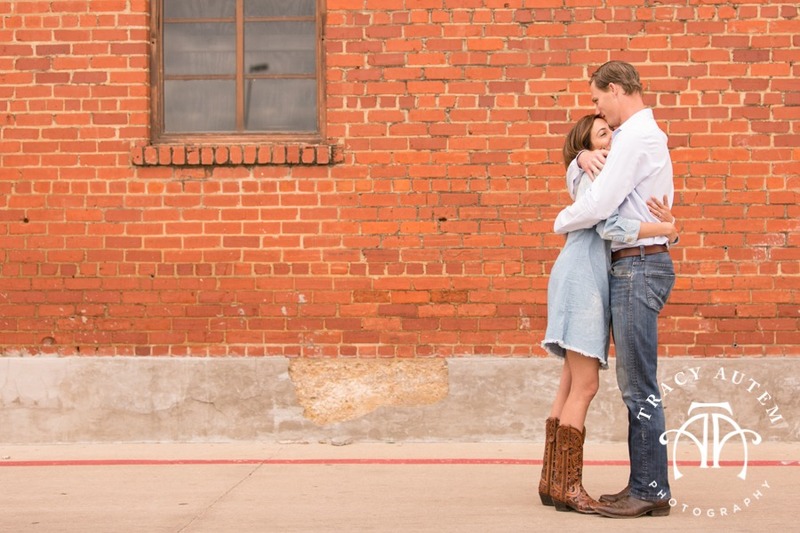 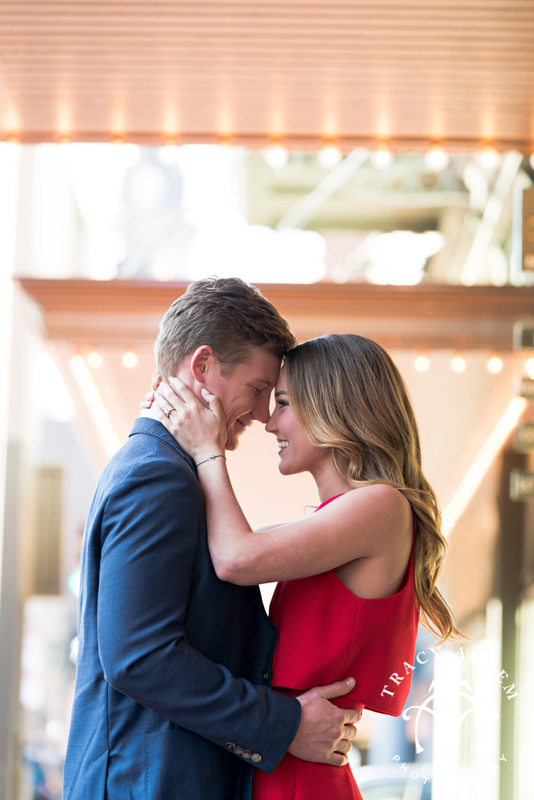 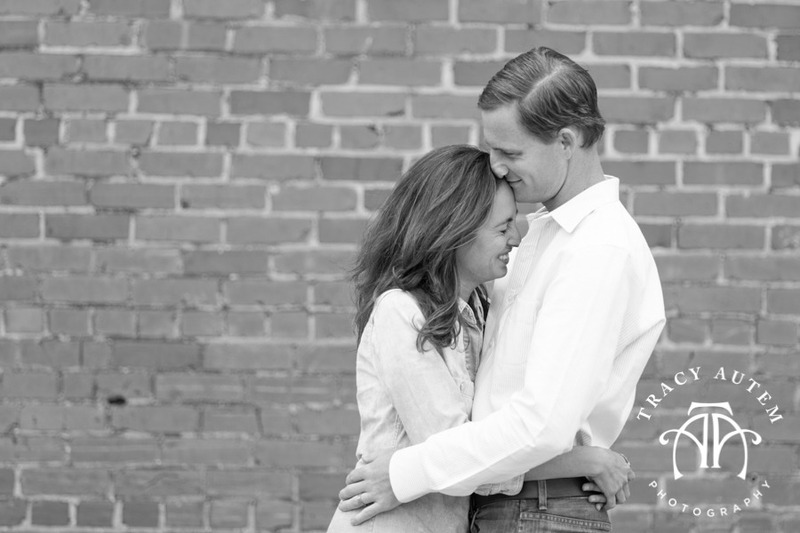 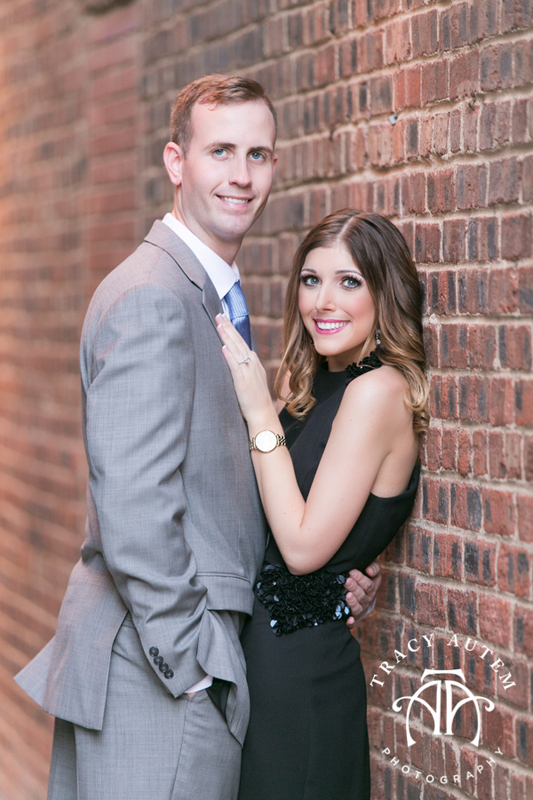 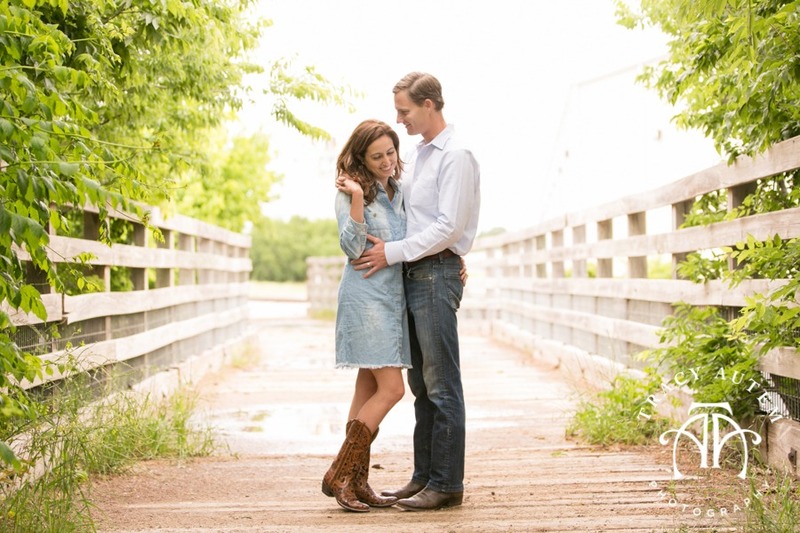 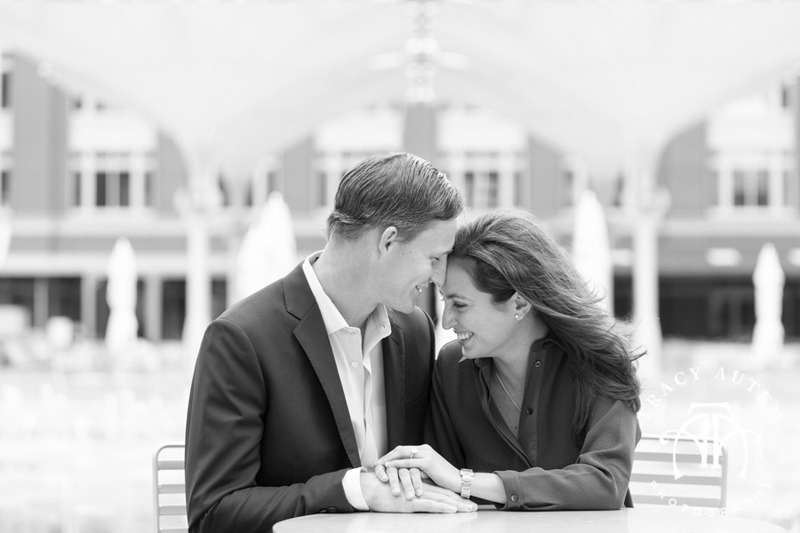 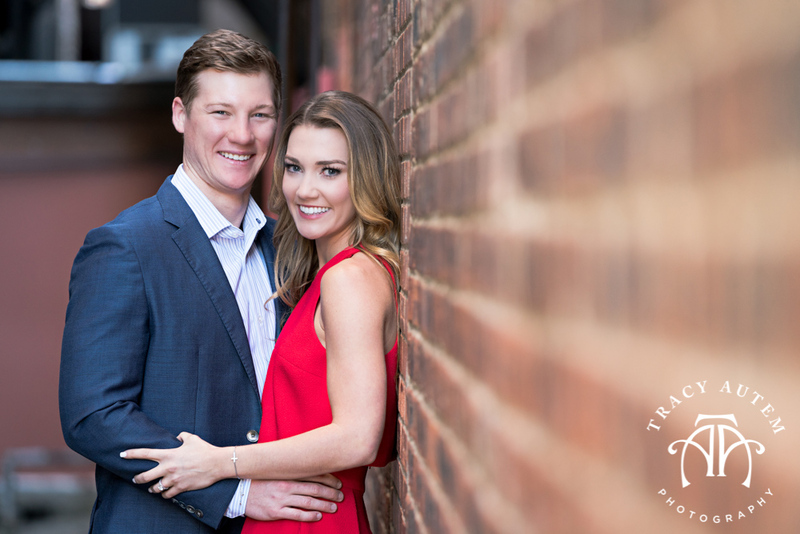 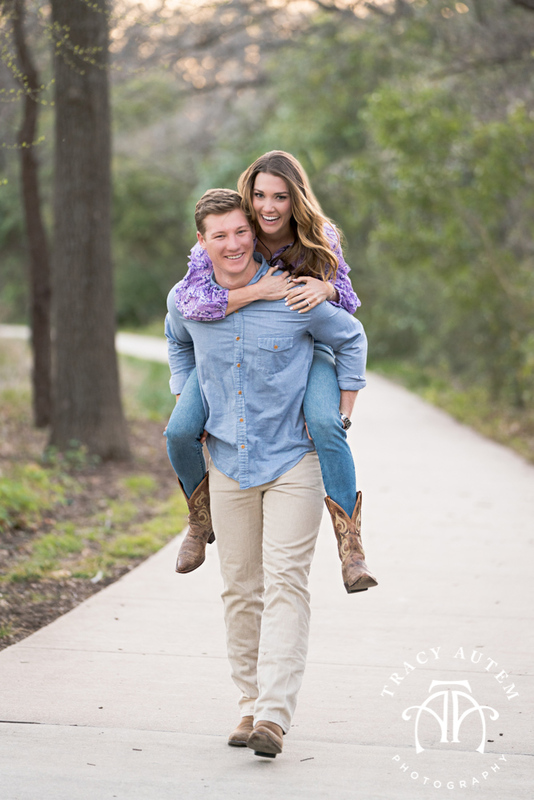 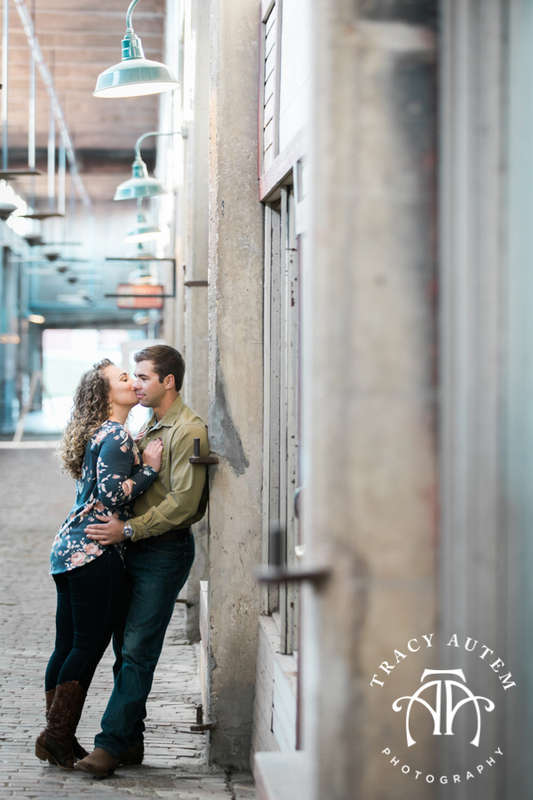 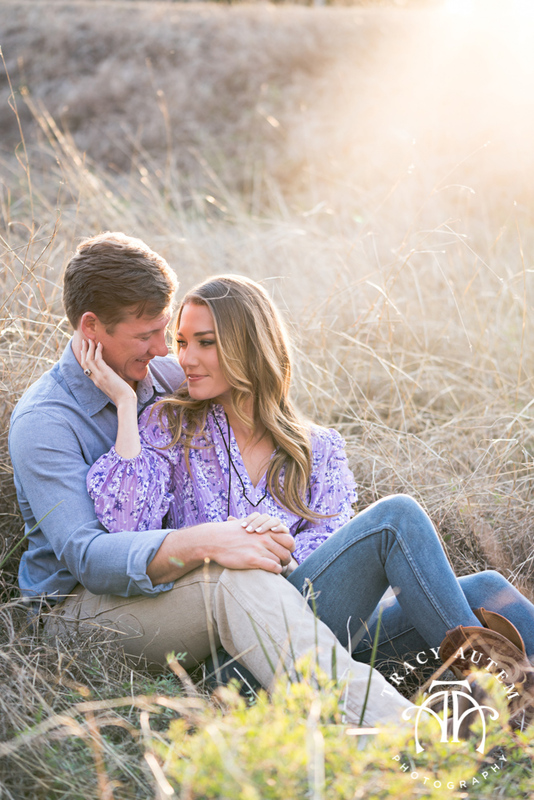 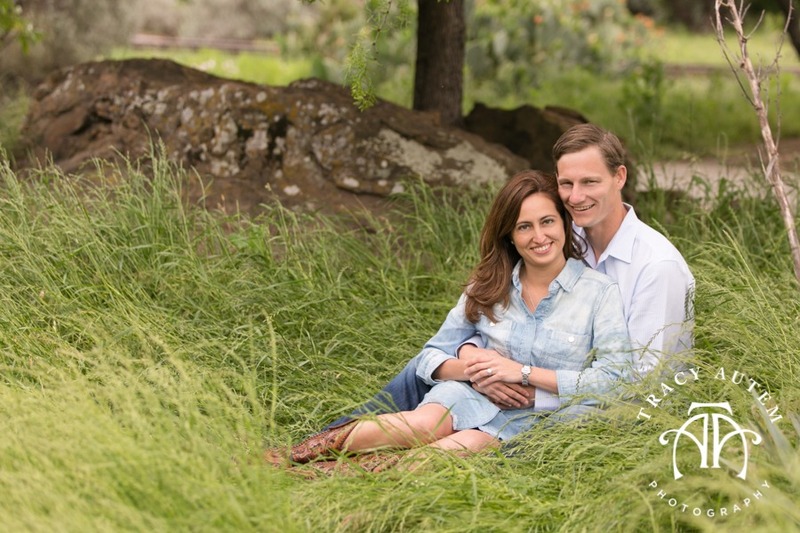 I can’t wait for their Fort Worth Zoo wedding – it is going to be amazing! 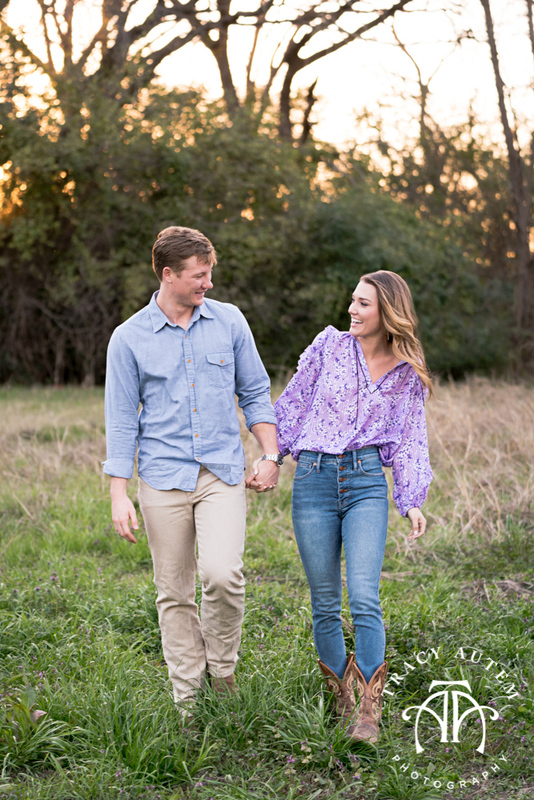 These two are totally cute together and I love their smiles and how they just fit perfectly together no matter how I had them pose. 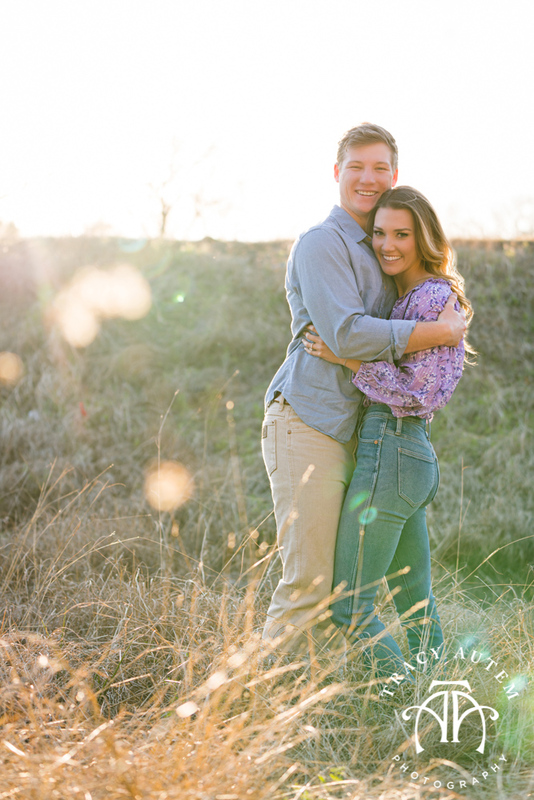 Ragan is extra cute and has a super fashion sense – if you love any of her clothes from this session head on over to her boutique of Camp Bowie – Hulla B’Lu! 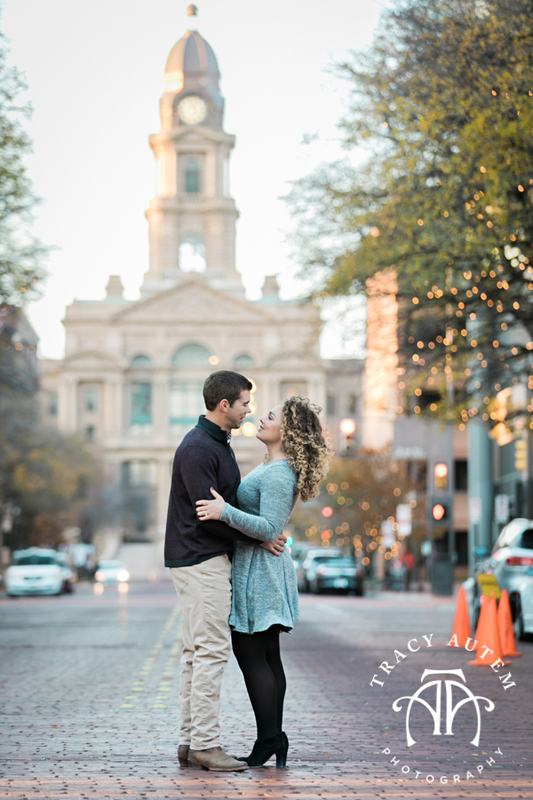 For their session we did a little bit nature, a little bit city! 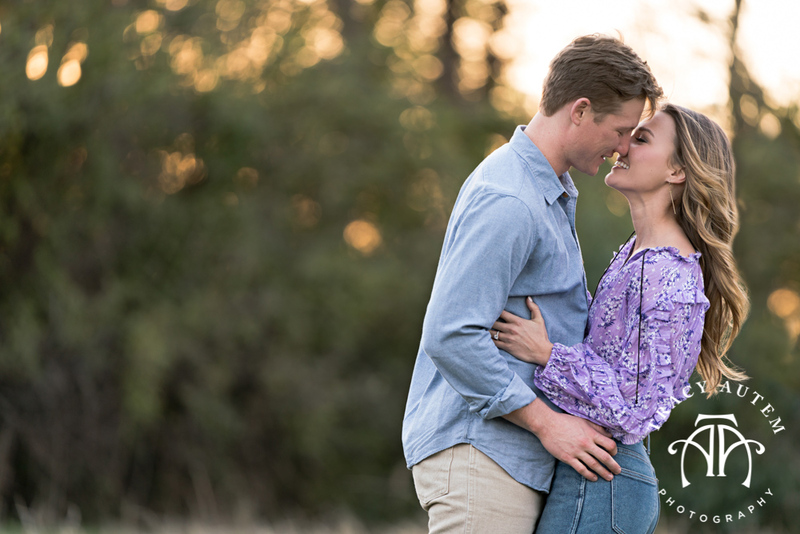 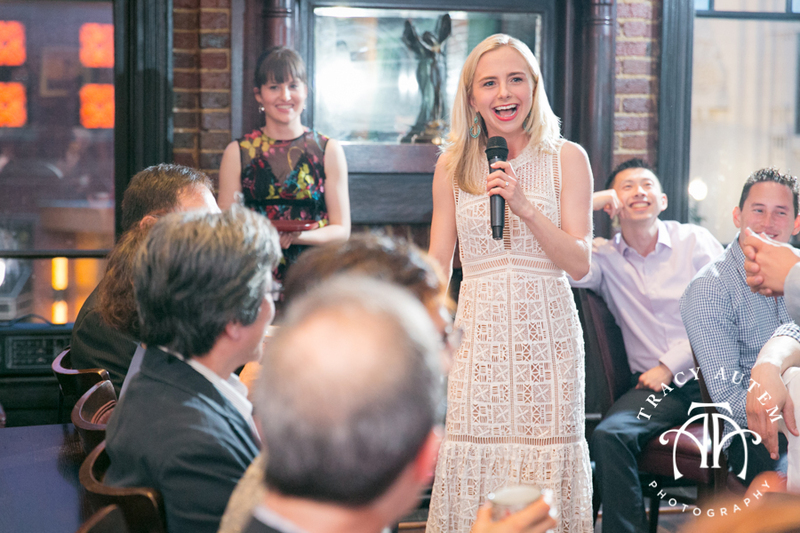 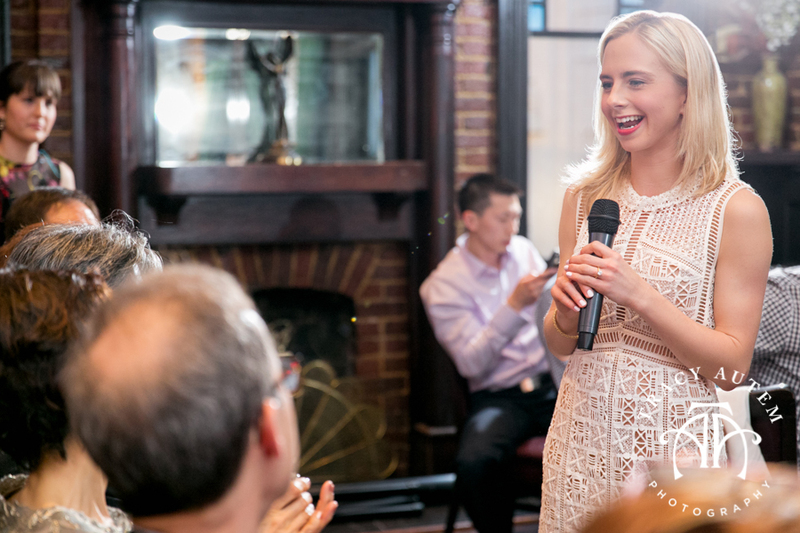 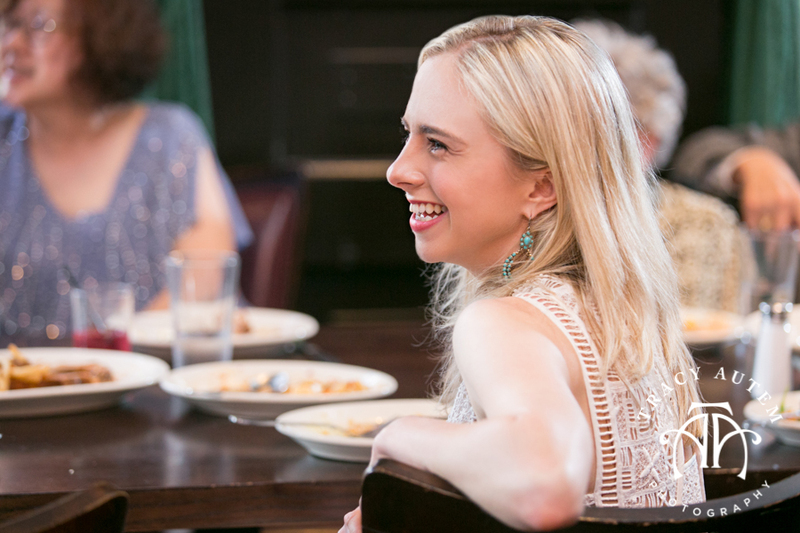 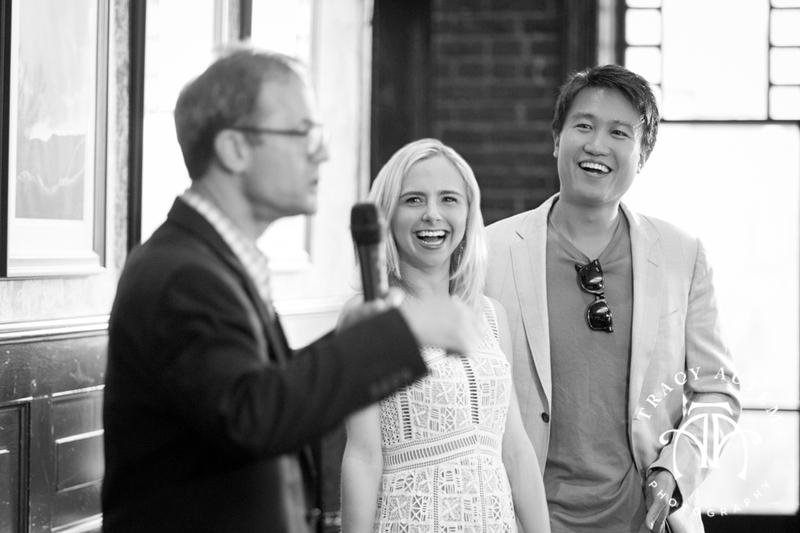 It was the perfect vibe and I had a great time getting to know them and chat about their upcoming wedding – most excited, not going to lie – for some animal sightings during the wedding. 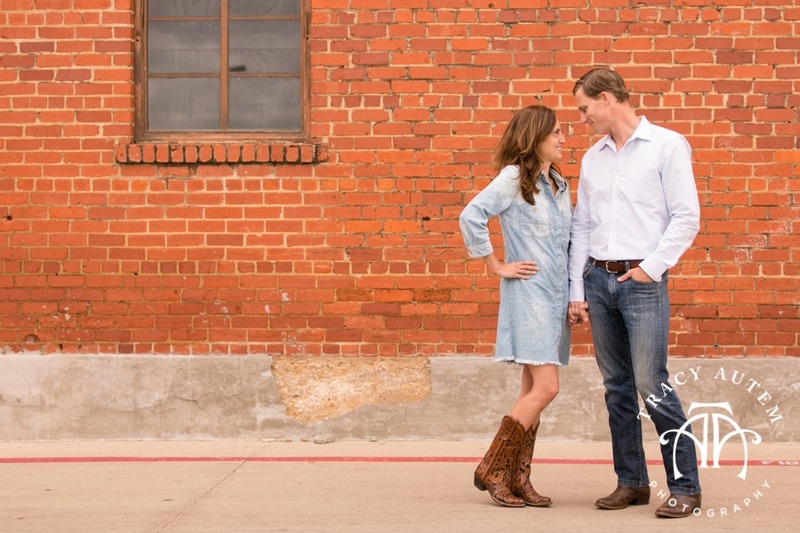 Morgan & Todd are the cutest! 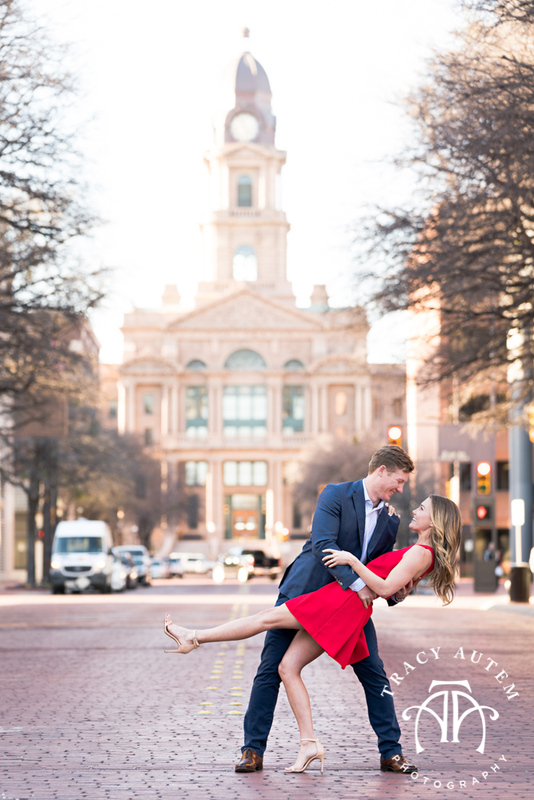 They literally JUST got engaged this last weekend we followed up the proposal in Dallas with a session 2 days later! 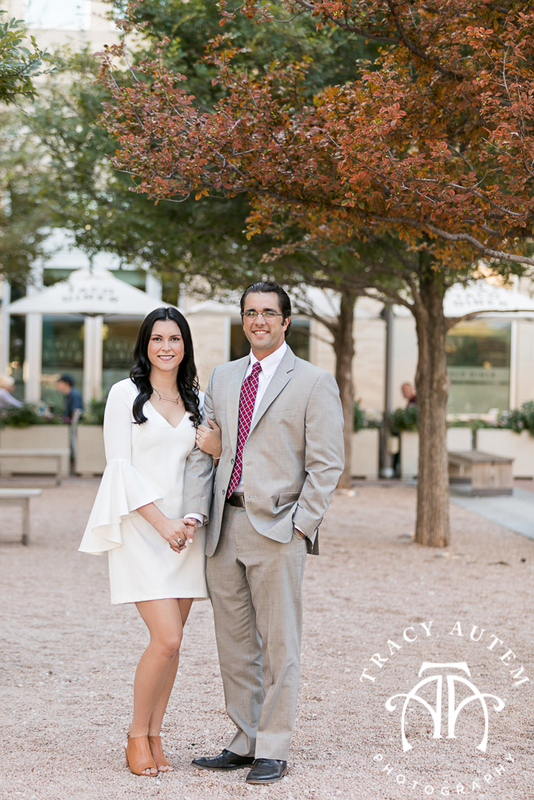 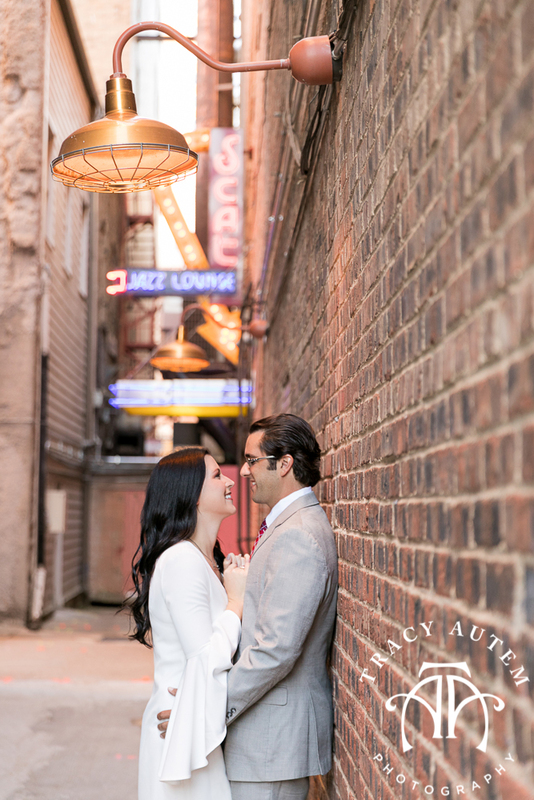 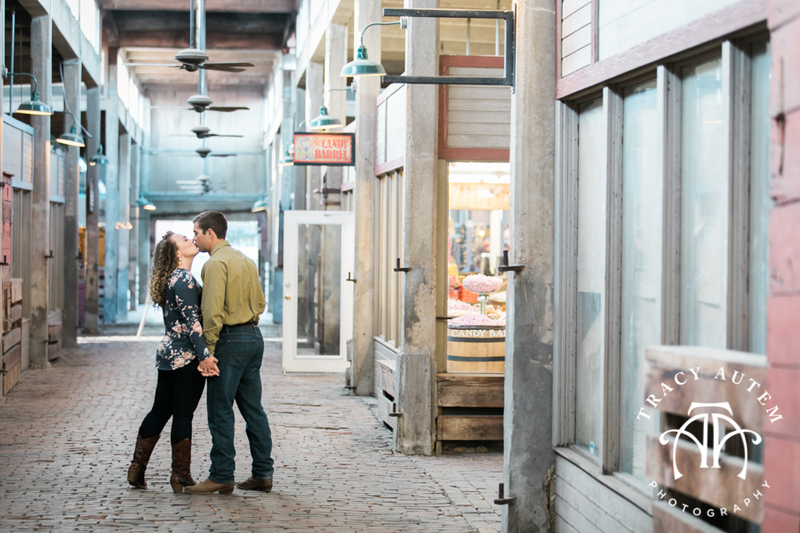 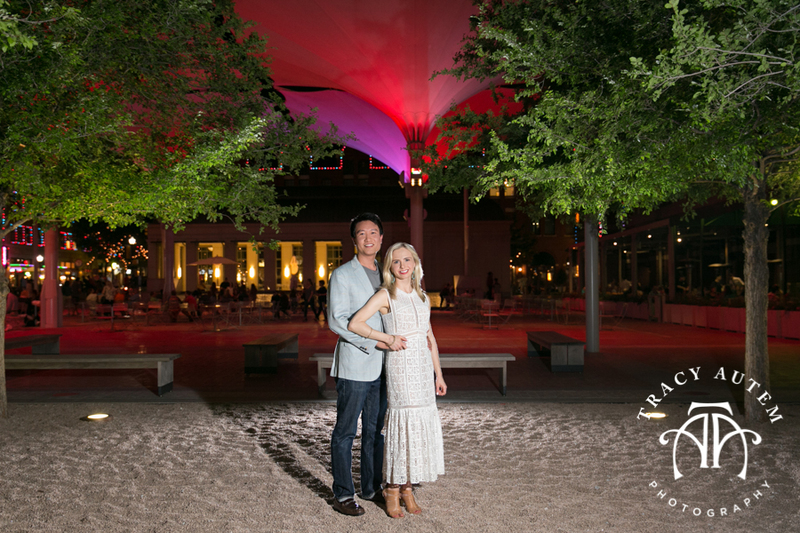 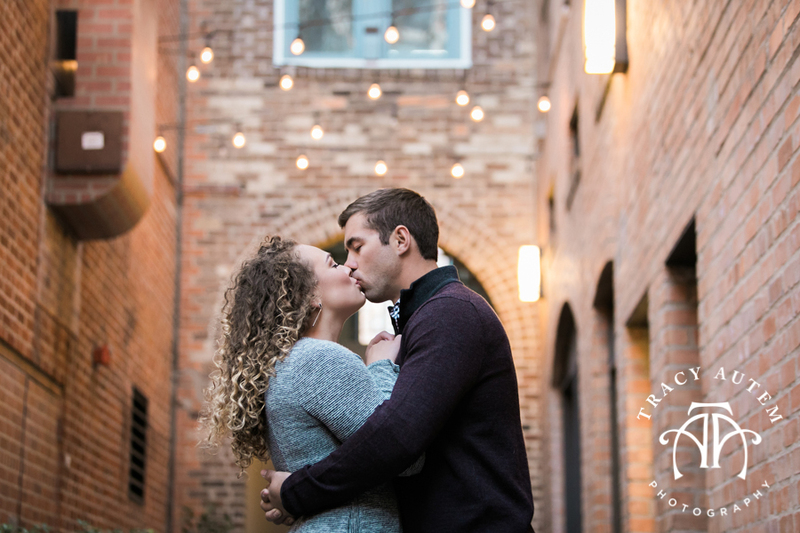 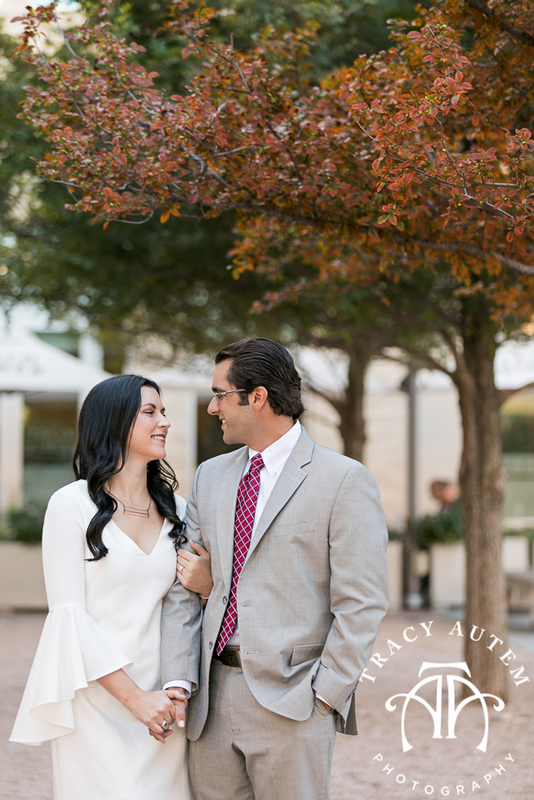 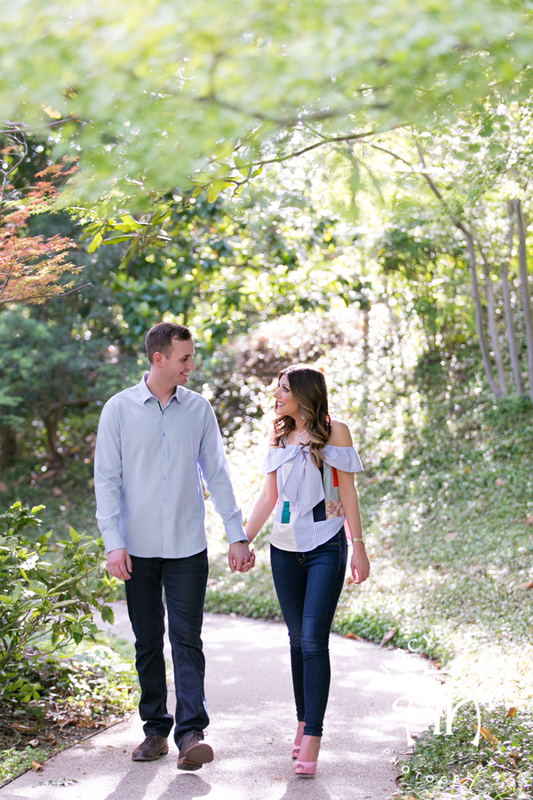 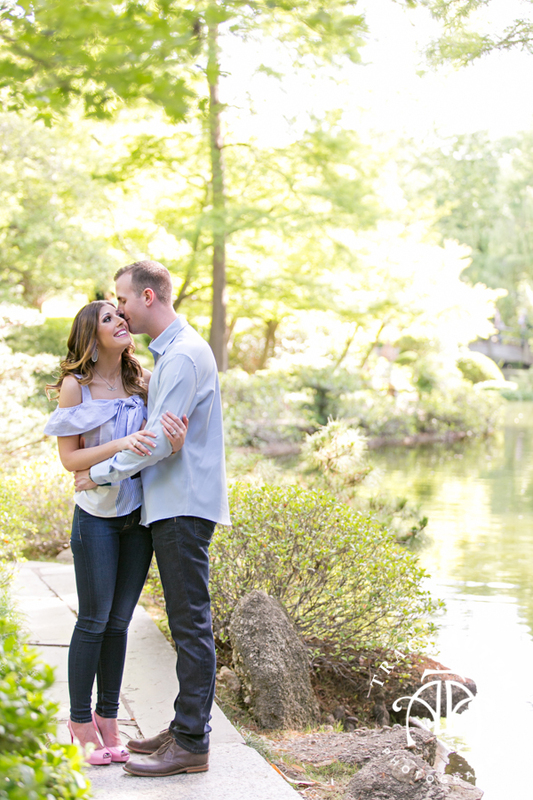 I can’t wait for their wedding later this year in Fort Worth so we used some of my favorite spots in Fort Worth for their engagement session like the Japanese Gardens, 7th street bridge and downtown near Sundance Square. 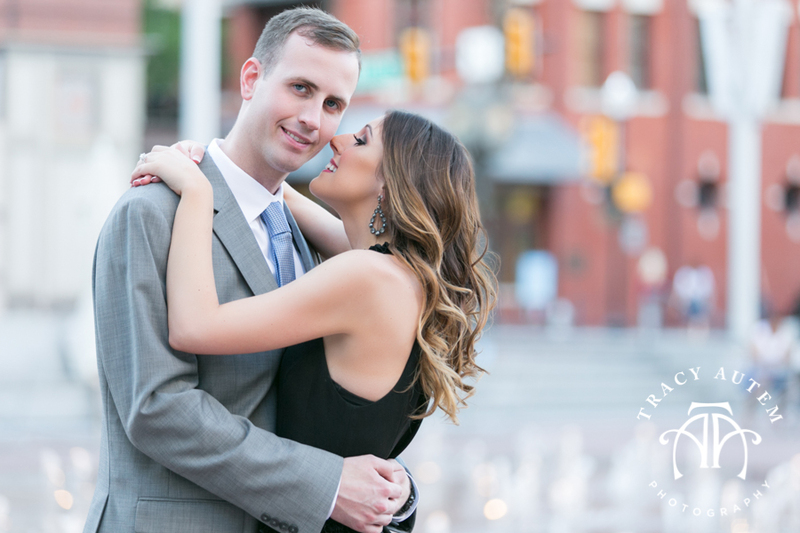 These two were brought together by mutual friends and have since started life with some big adventures. 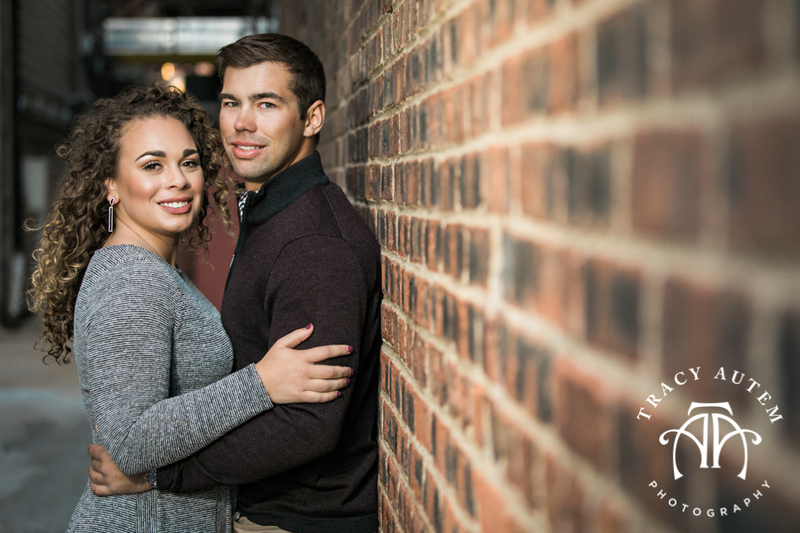 Todd is in the military so Morgan has followed him to an out of state assignment and is ready to be a military wife. 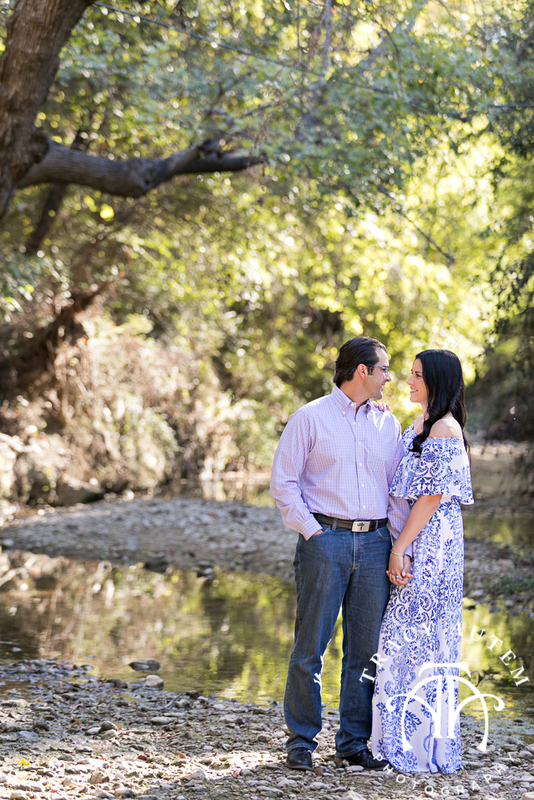 I know their life will be full of fun and lots of love and laughter. 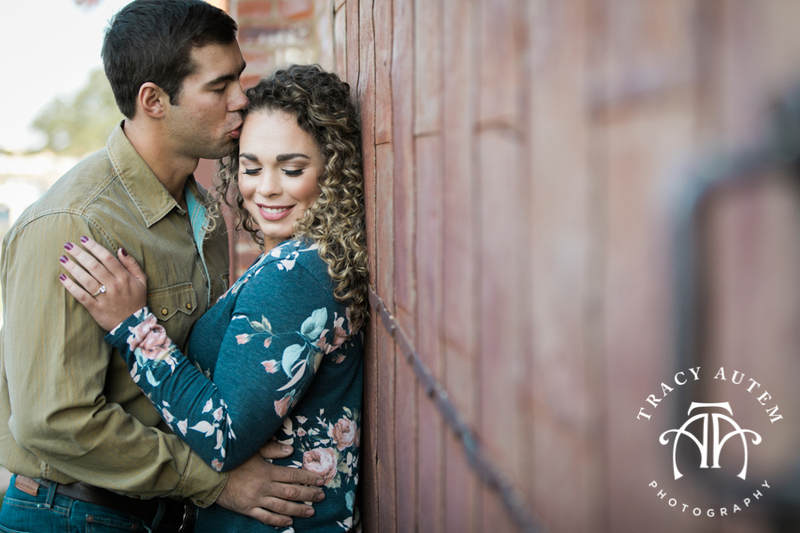 They started planning their wedding pre-engagement during Todd’s last deployment. 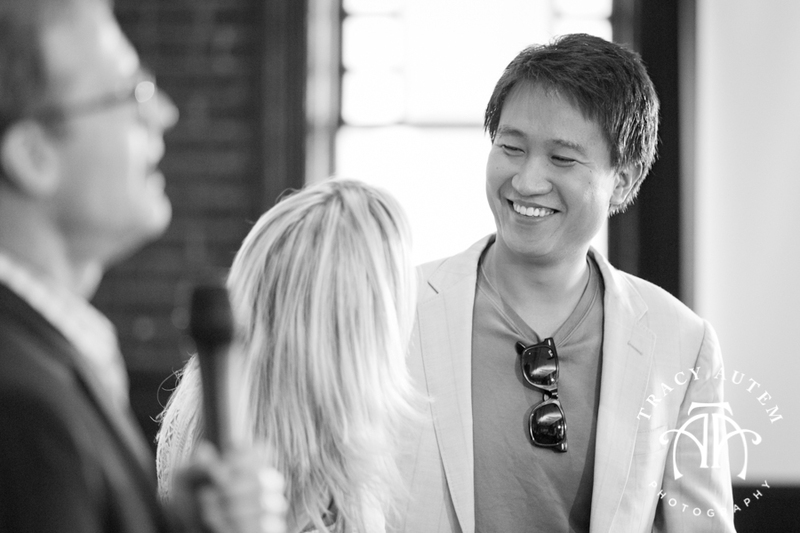 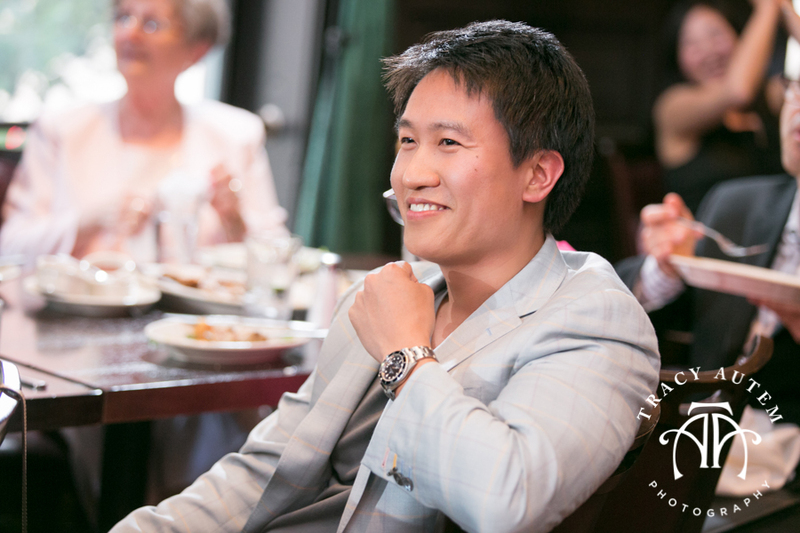 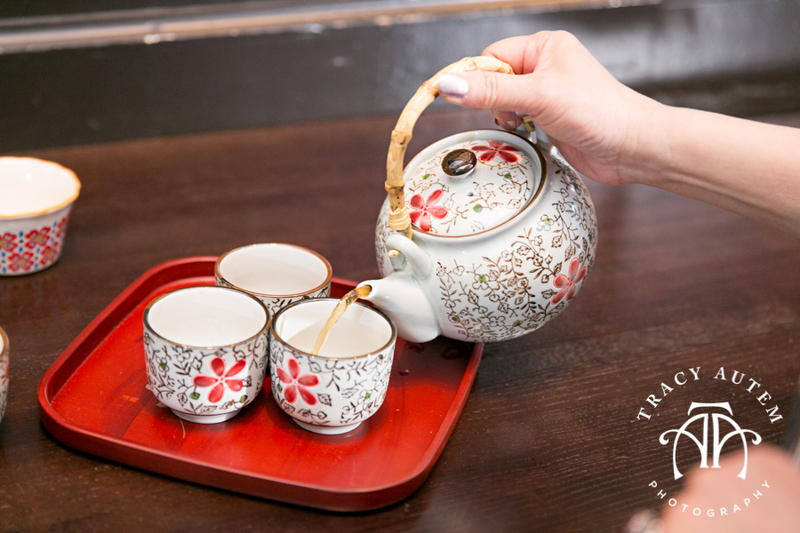 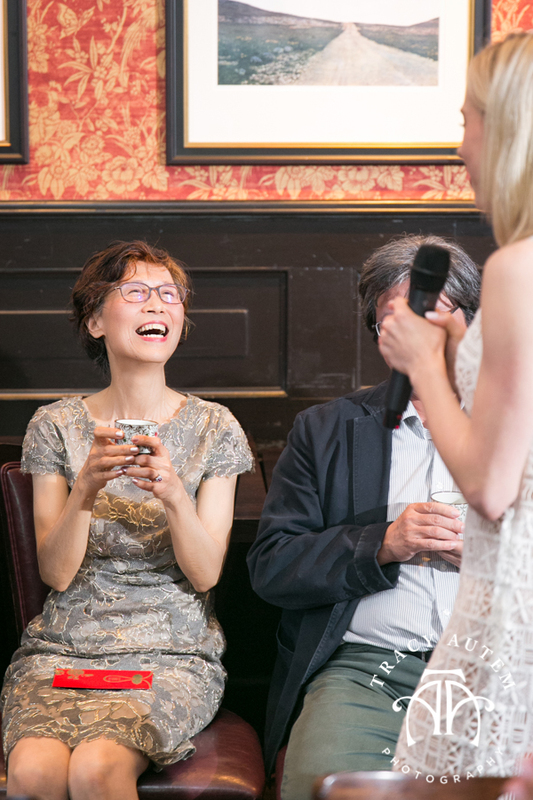 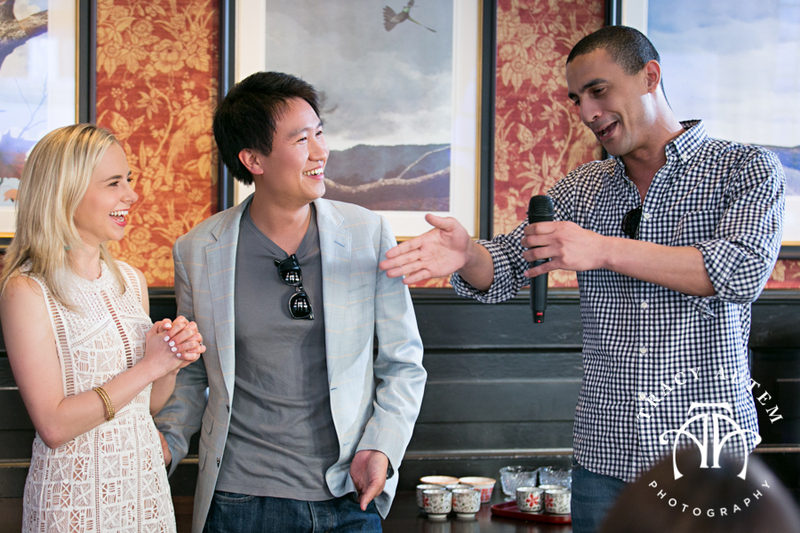 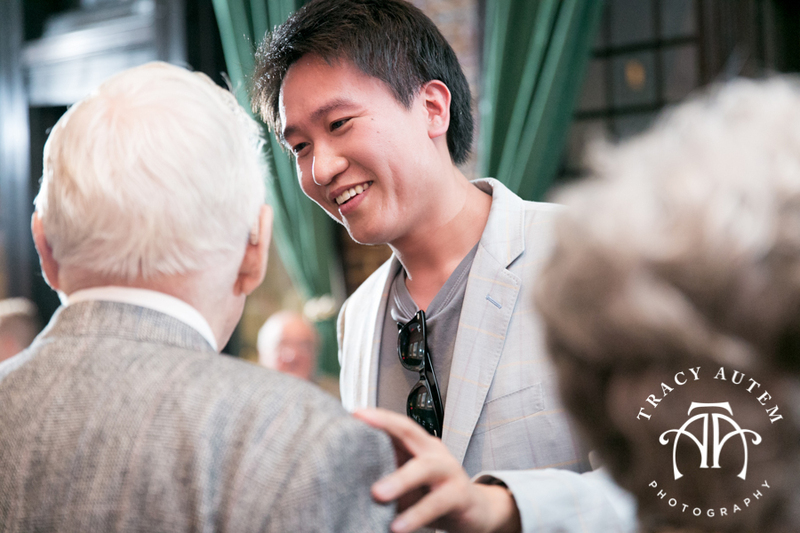 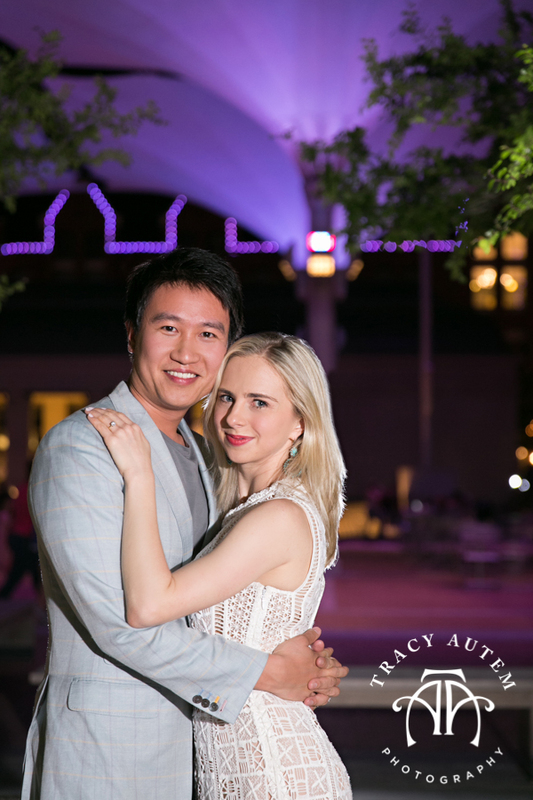 It’s hard to actually propose while living countries apart so when he returned he proposed. 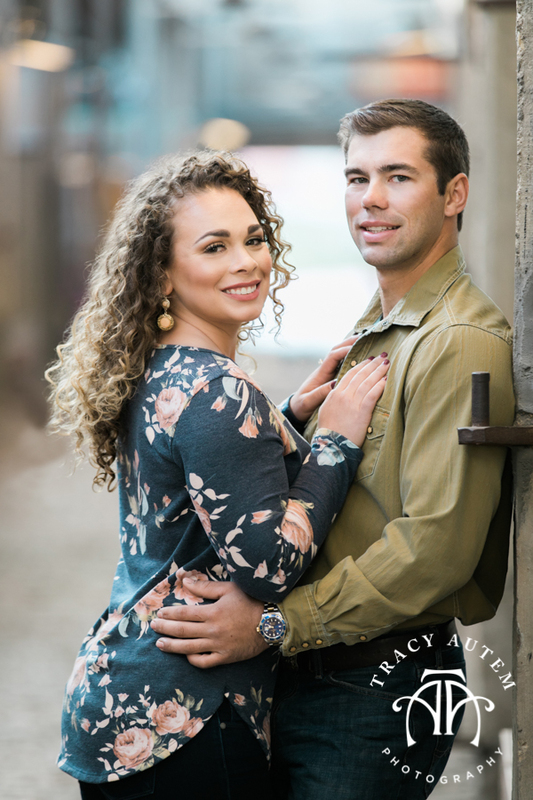 It may not be the traditional order of things but as a Air Force brat myself I totally understand having to do everything on the governments time. 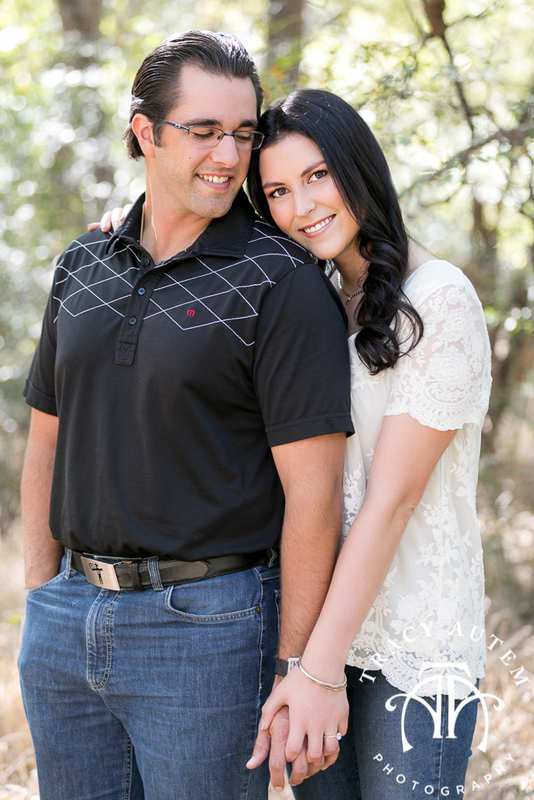 What is obvious is how happy they are together. 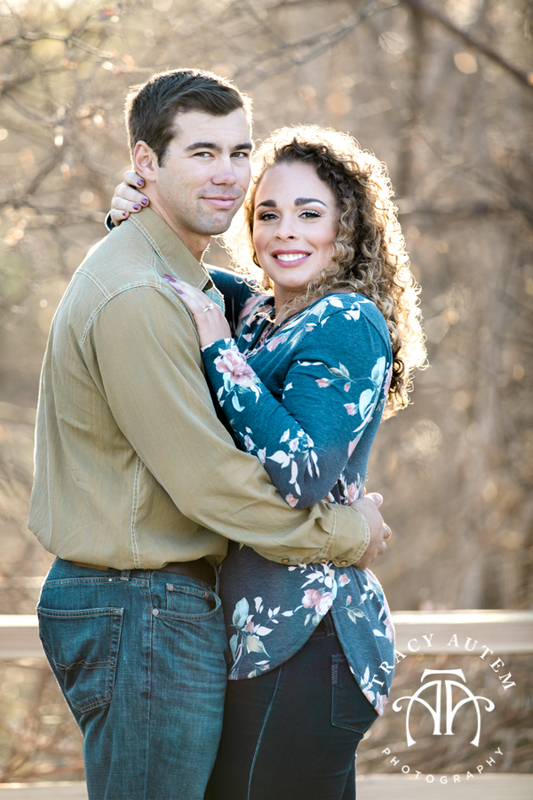 I had a great time getting to know Todd, talking video games, military life and his travels and finding out about the things they love to do together. 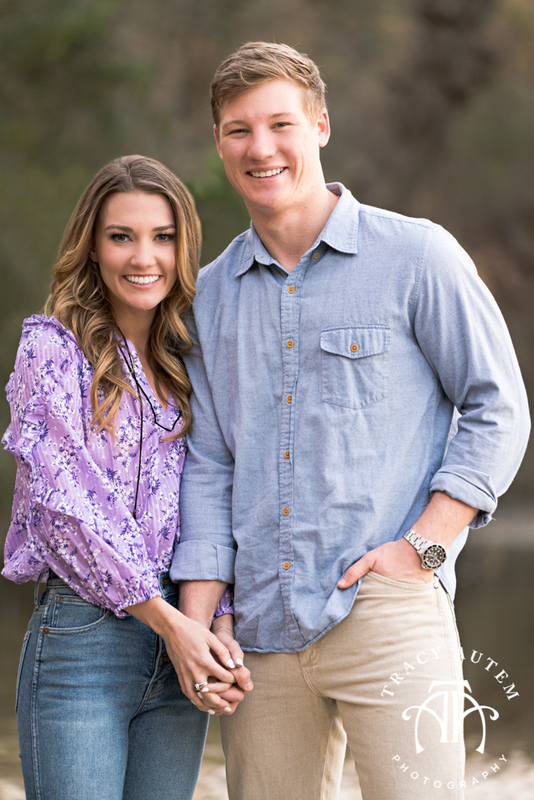 I am inspired to sign up for Hello Fresh after photographing these guys – sounds like they have lots of good meals and laughter at home together thanks to this meal service! 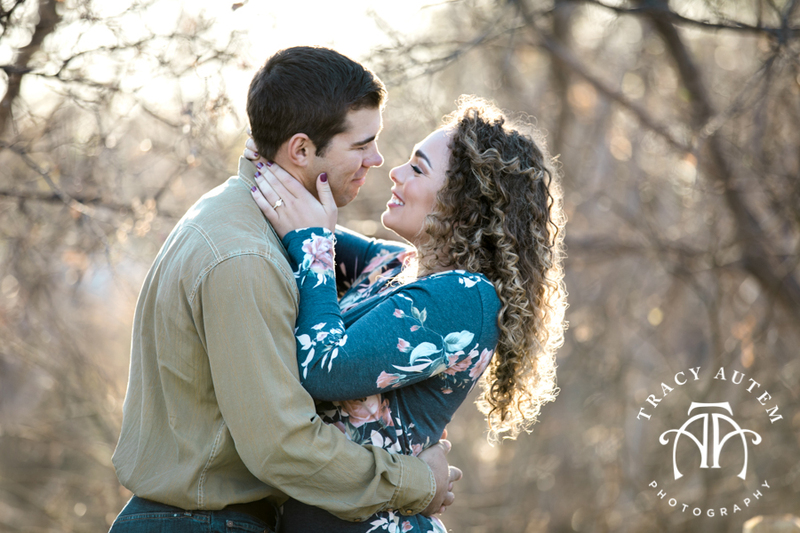 I will see you two in the Fall for the wedding! 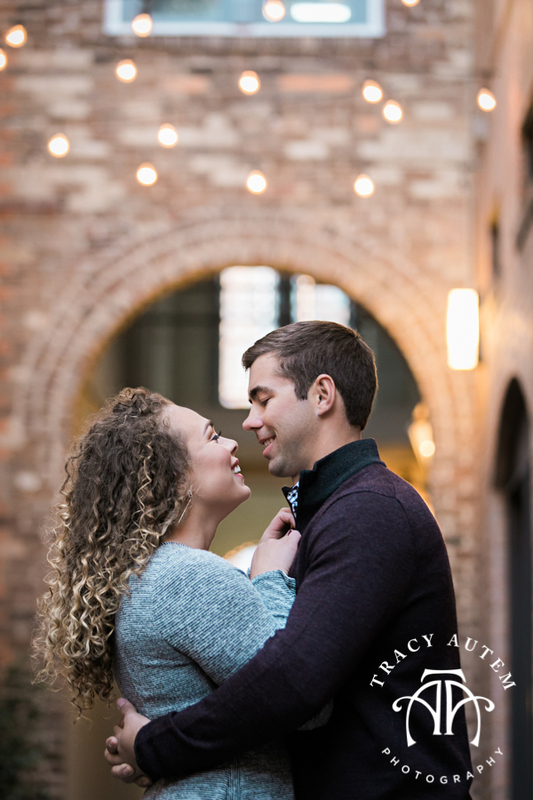 Dale & Kelly were married last year and never had engagement photos taken so I got to hang out with them for a bit last week to capture some romantic portraits of these two. 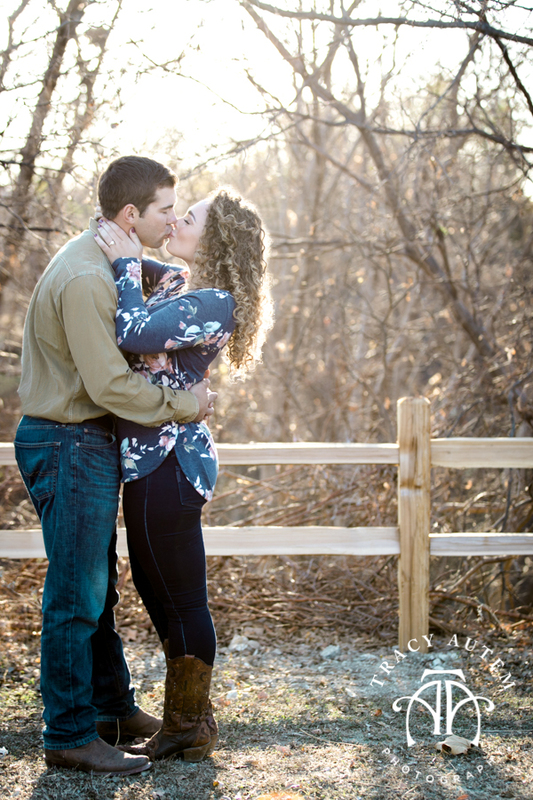 They met while Dale was on the job, he is an amazing landscaper (He designed and upkeeps our studio landscaping! 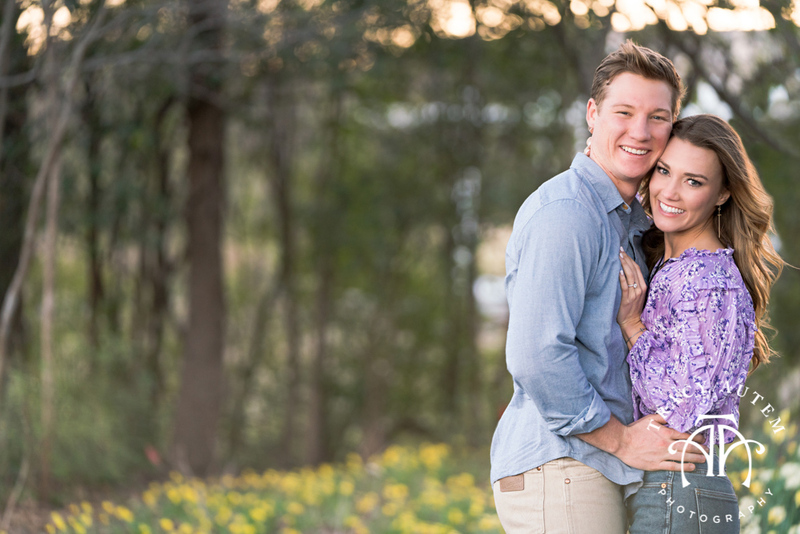 Blooms Landcare) and they literally met in Kelly’s backyard! 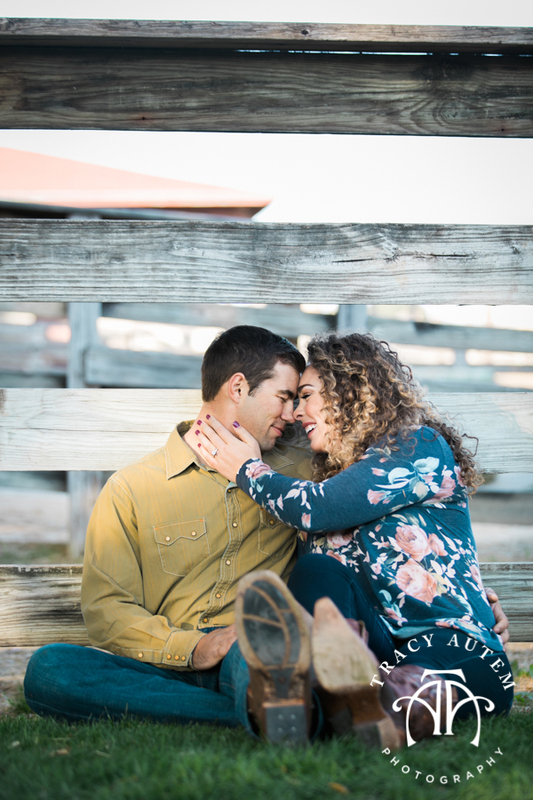 It took awhile before he did ask her out but once they did they fell fast and hard and were married last year. 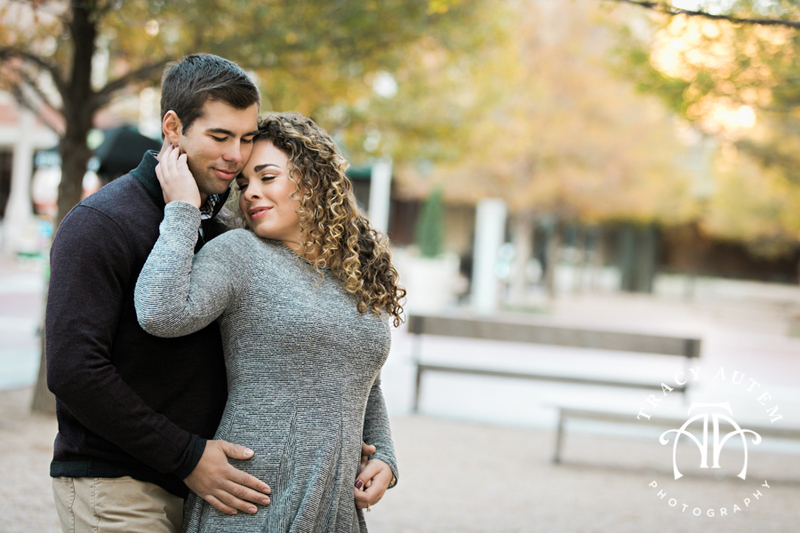 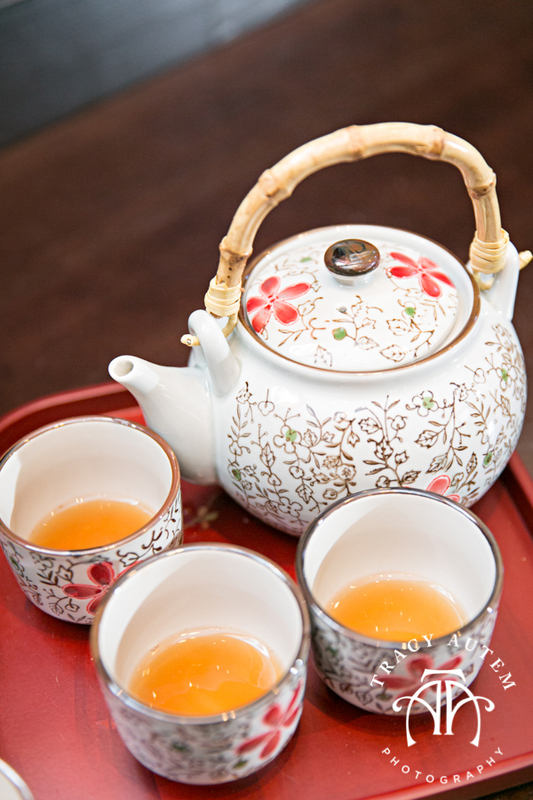 Kelly is a spicy personality with lots of smiles, laughter and a loving and talkative spirt. 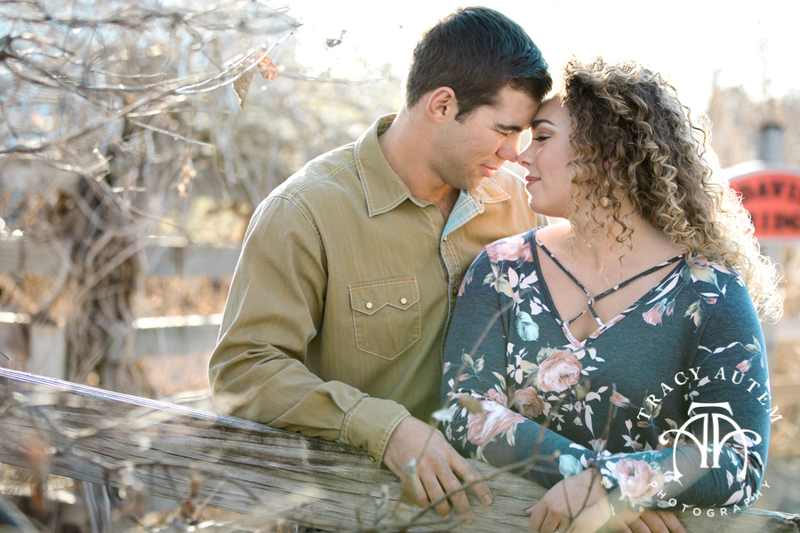 She was easy and quick to get to know and connect with. 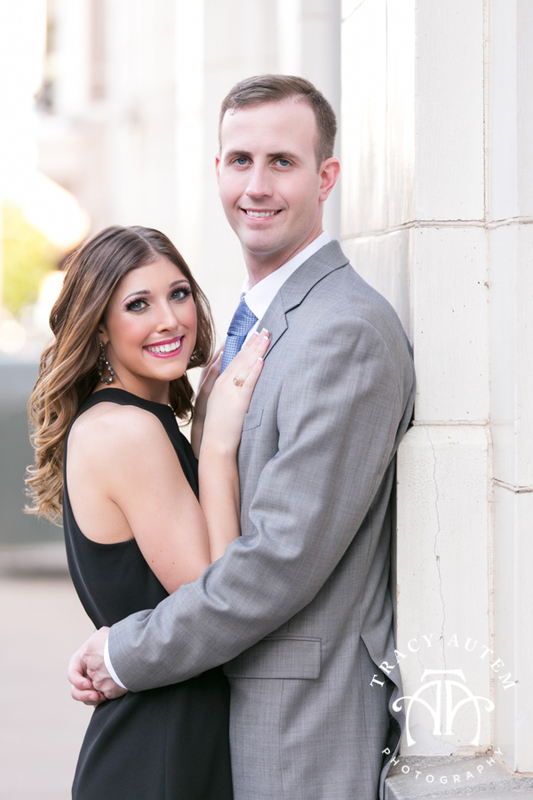 I can see how these two definitely compliment each other. 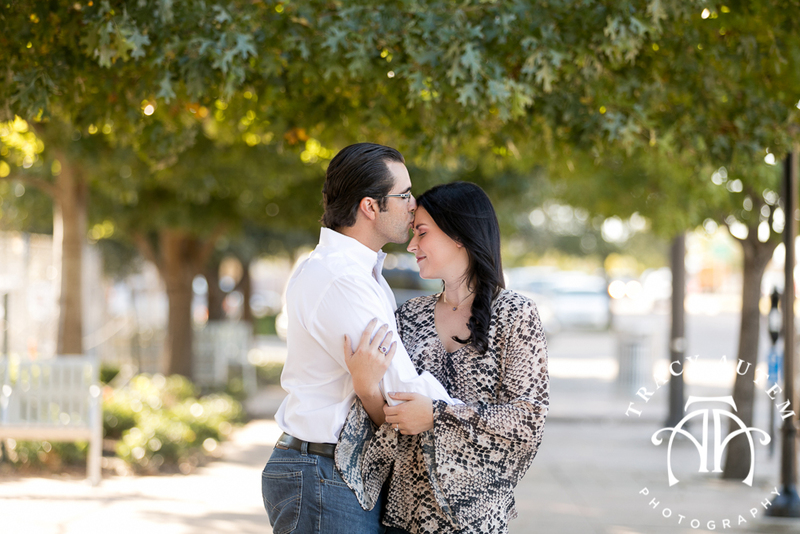 Thanks so much you two for letting me capture this time in your lives. 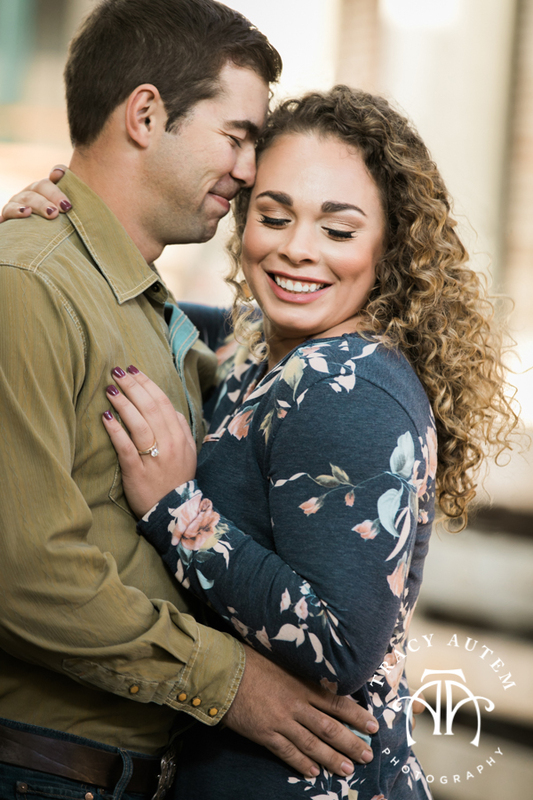 This couple had me cracking up their entire session. 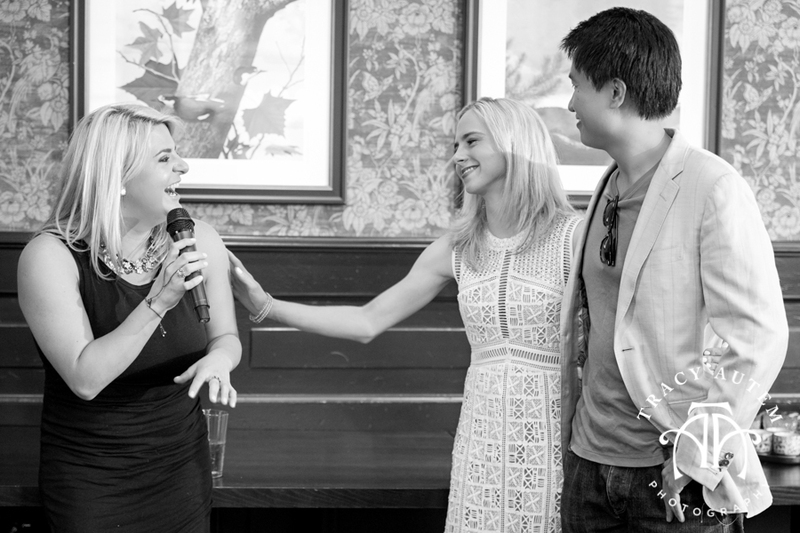 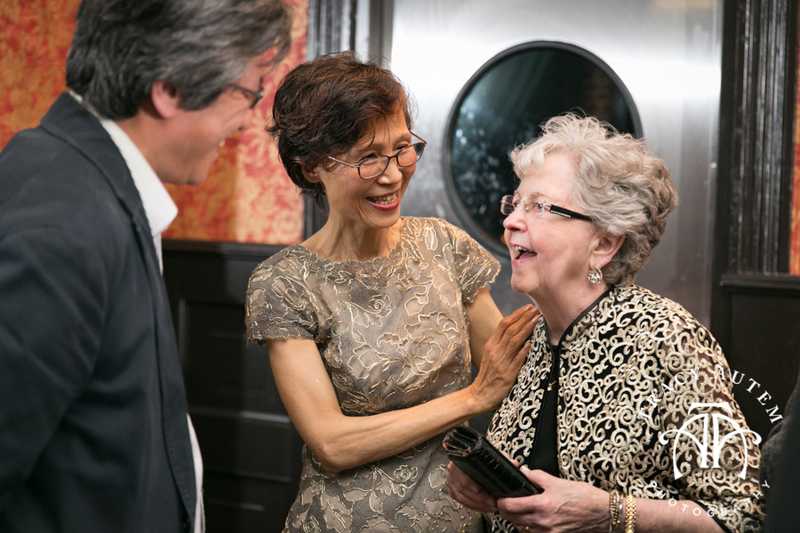 They are the perfect example of lying and yang – complimenting one anthers personalities and strengths in every way. 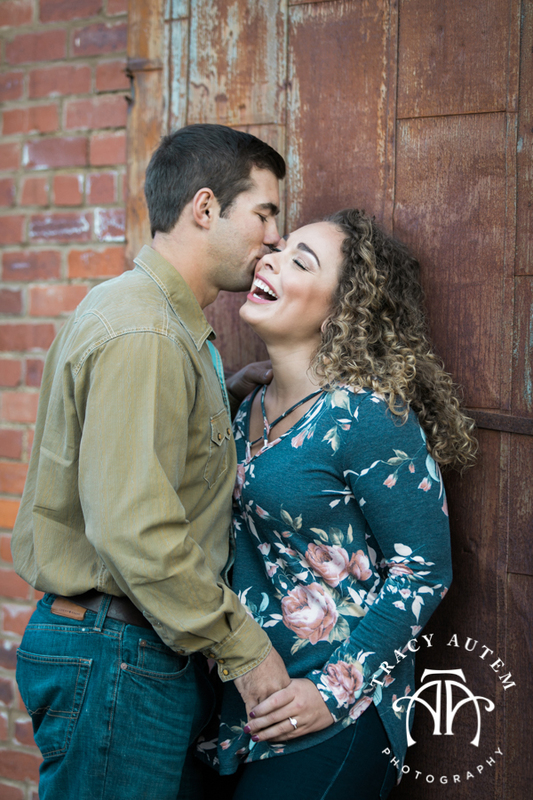 Chris loves to joke and laugh and he pulls Kayla to the lighter side of life and I can see that she is is rock, she grounds him and helps him with direction. 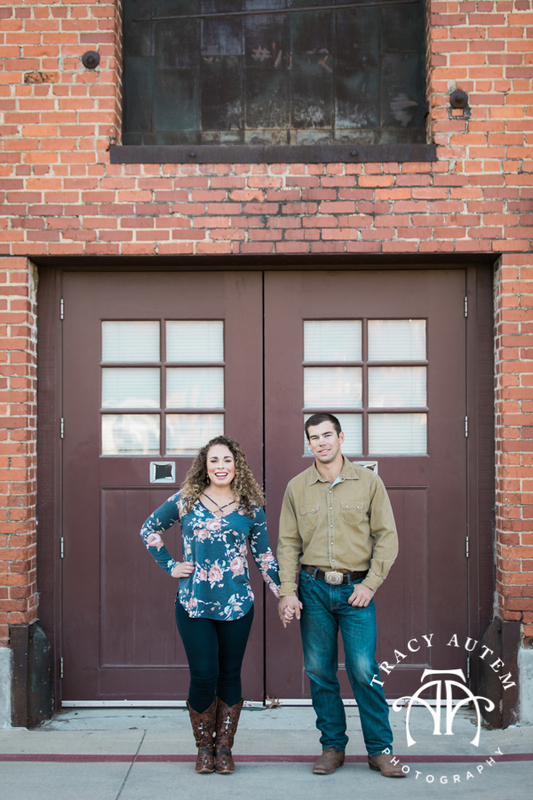 It is always a joy to see such relationships where each is strong in their own way, together making a strong and unstoppable couple! 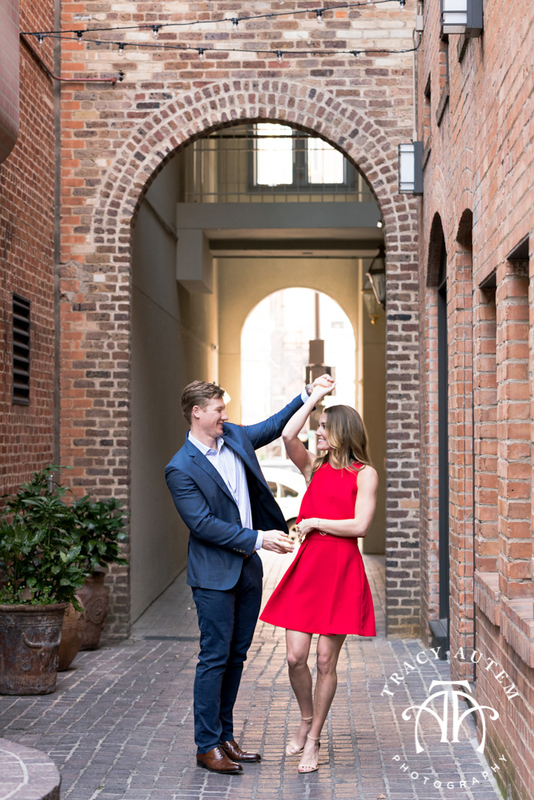 This couple met through gymnastics so we HAD to include a little spice into their shoot – scroll down to see some handstands and some jumping that is truly epic. 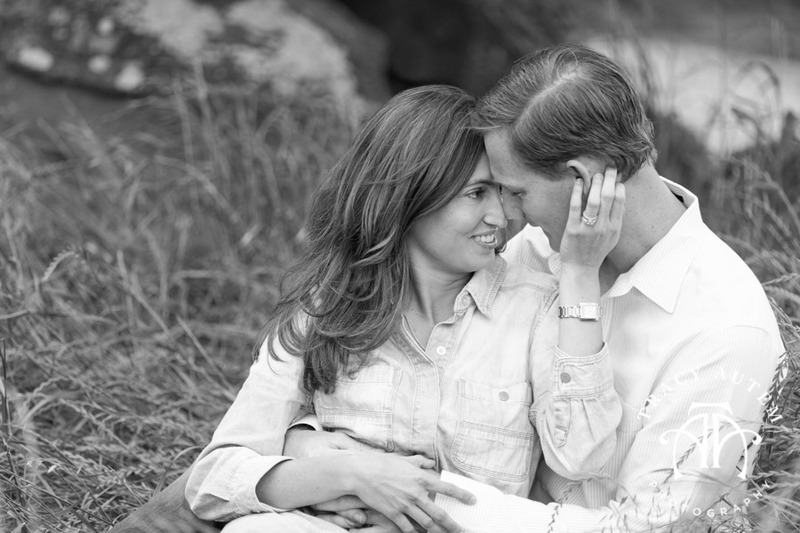 I am not always a fan of such shenanigans in sessions as often it is just for show but for them it made sense. 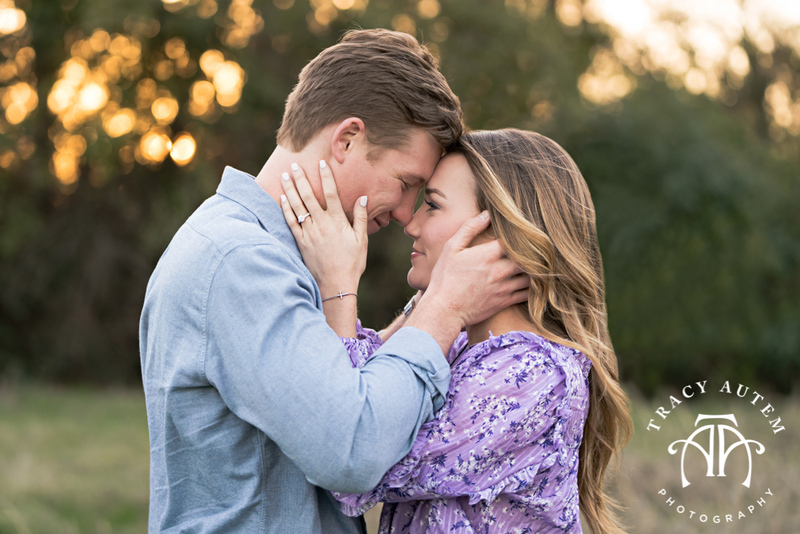 It was authentic and gave such a cute nod to how they became a couple. 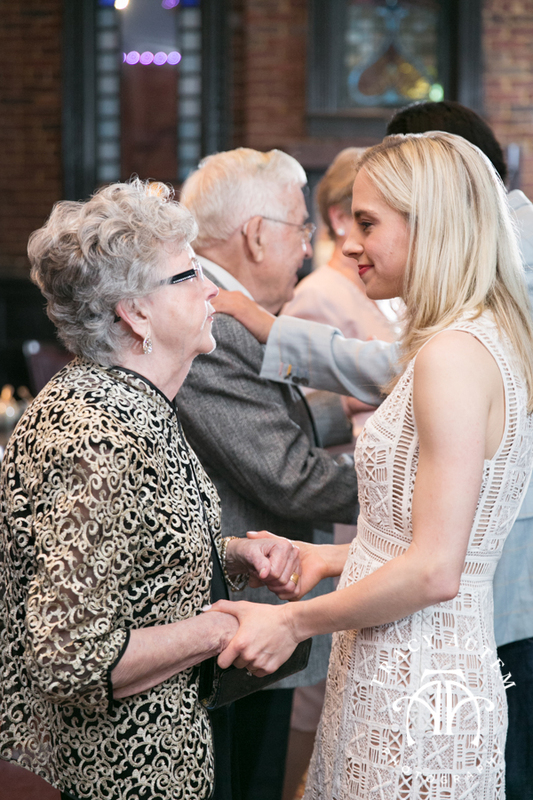 NOW, do you think I can get Kayla to perform some gymnastics in her gown? 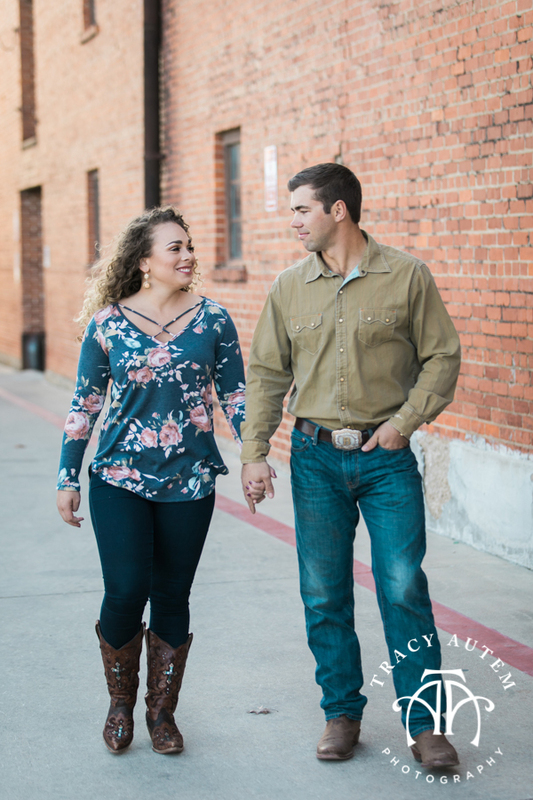 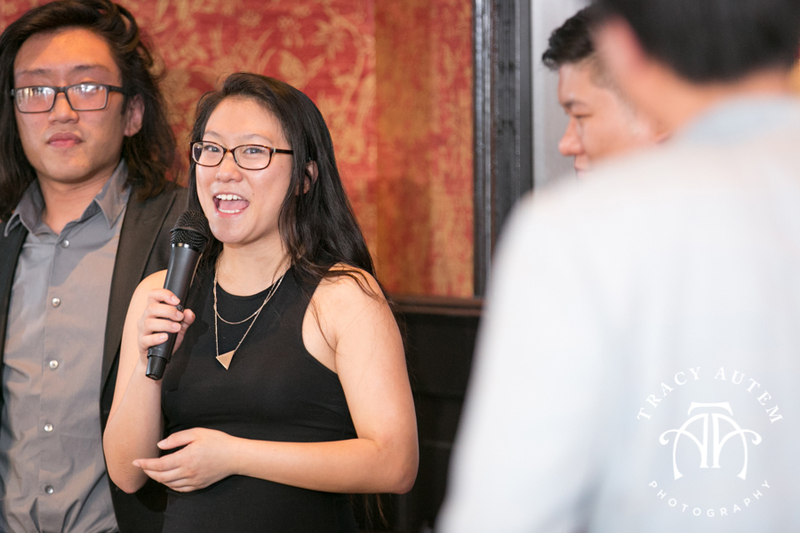 I was on my knees asking God for a break in the rain for this one – Kayla is studying for her bar exam in a few months and her schedule is packed tight between studying and working. 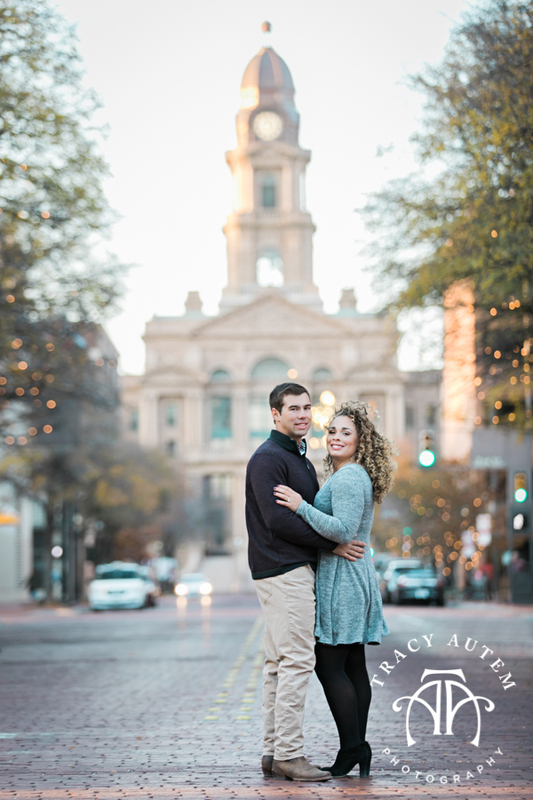 The Lord was good though and we had an overcast but rain free night for their session at the Kimball Art Museum and downtown Fort Worth & Sundance Square. 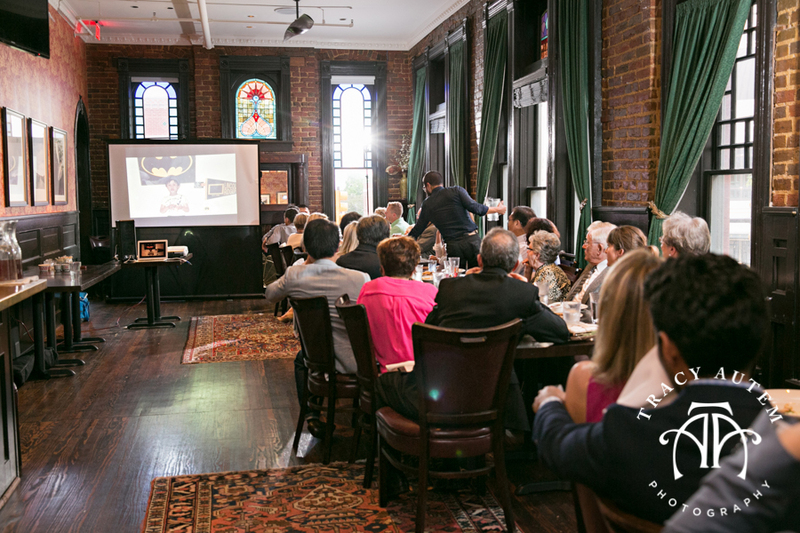 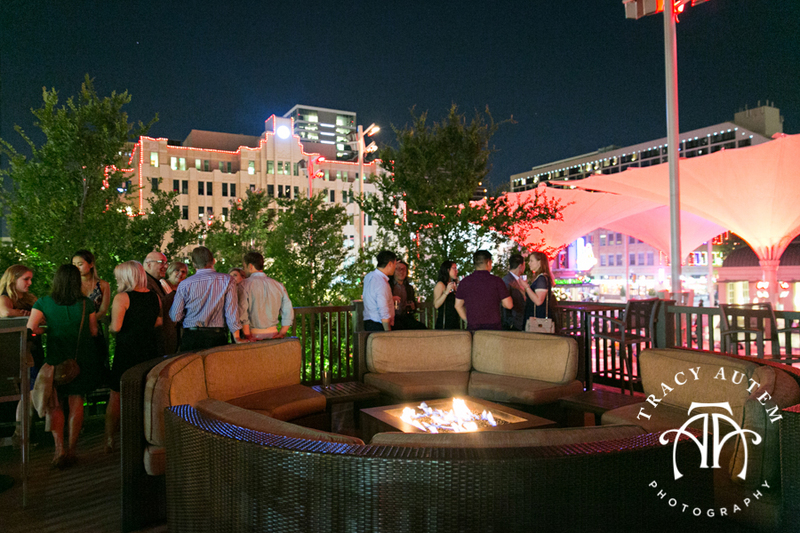 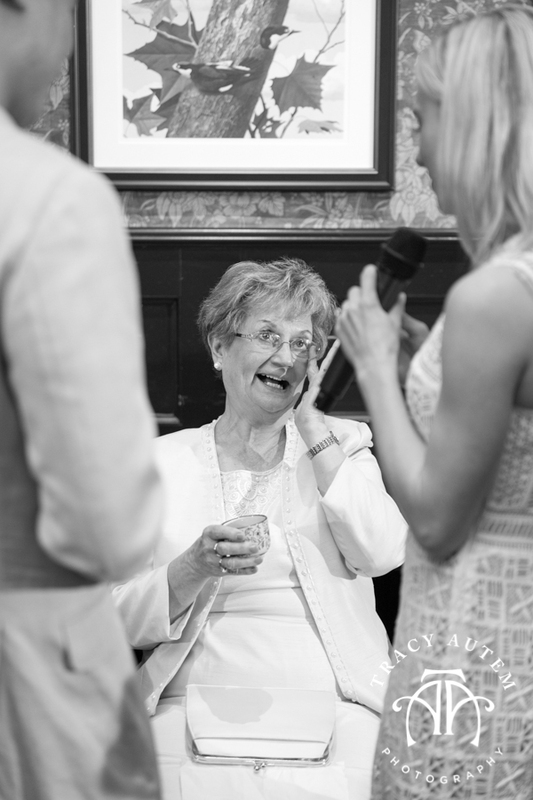 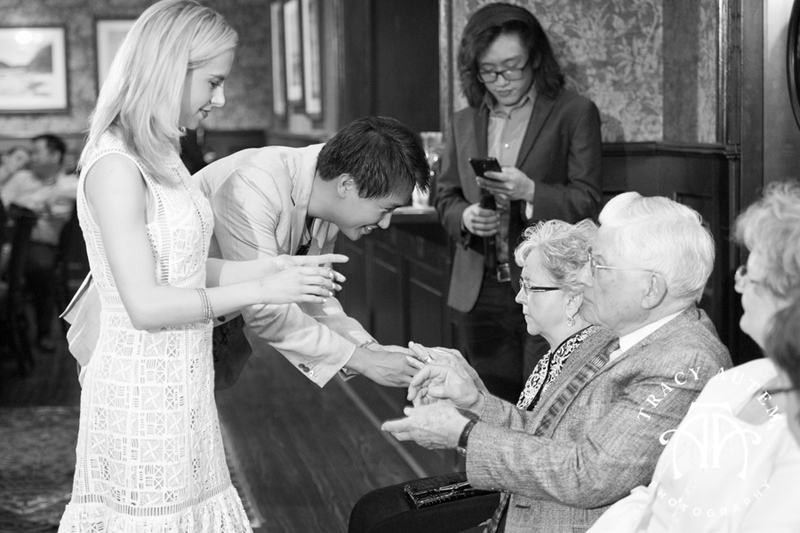 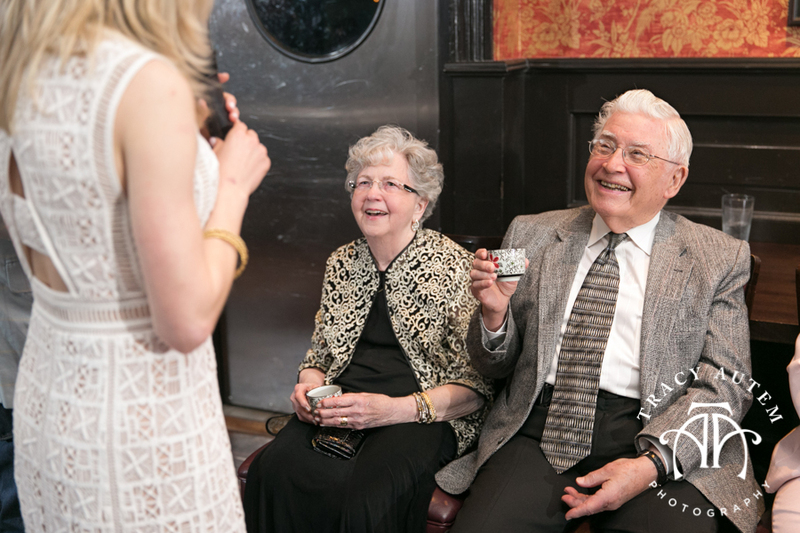 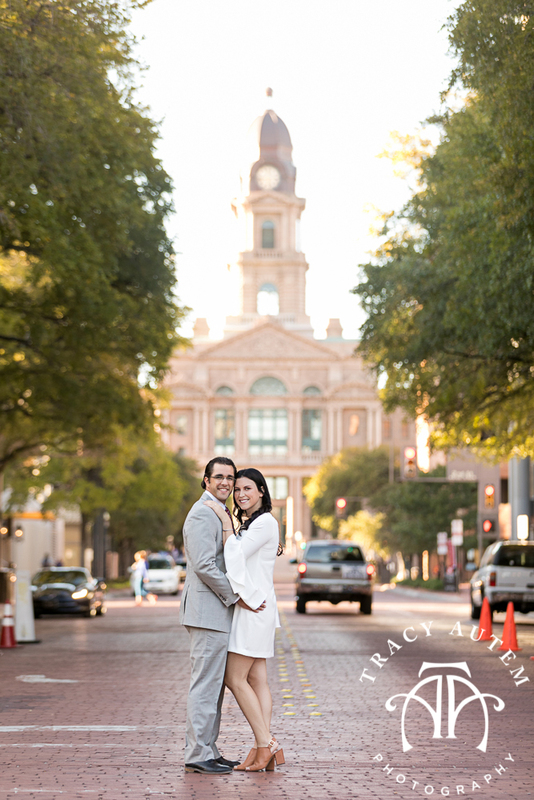 Let’s hope we get lucky again with a beautiful day for their December wedding at Fort Worth Club. 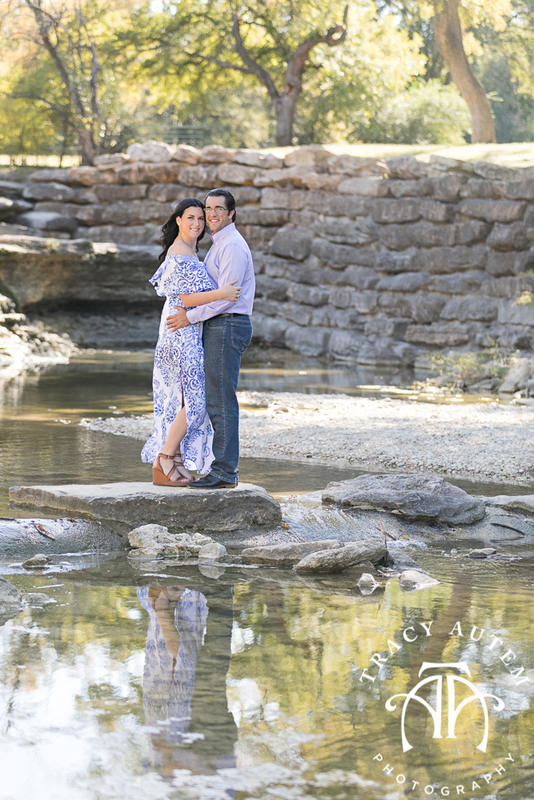 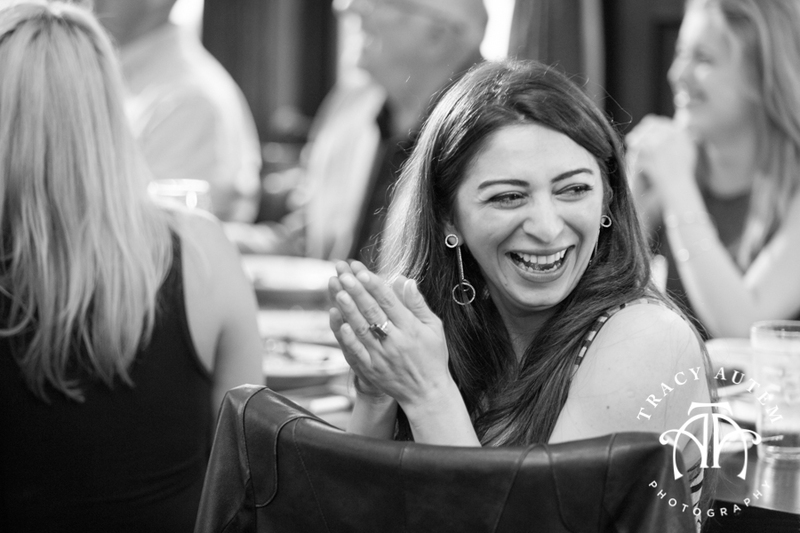 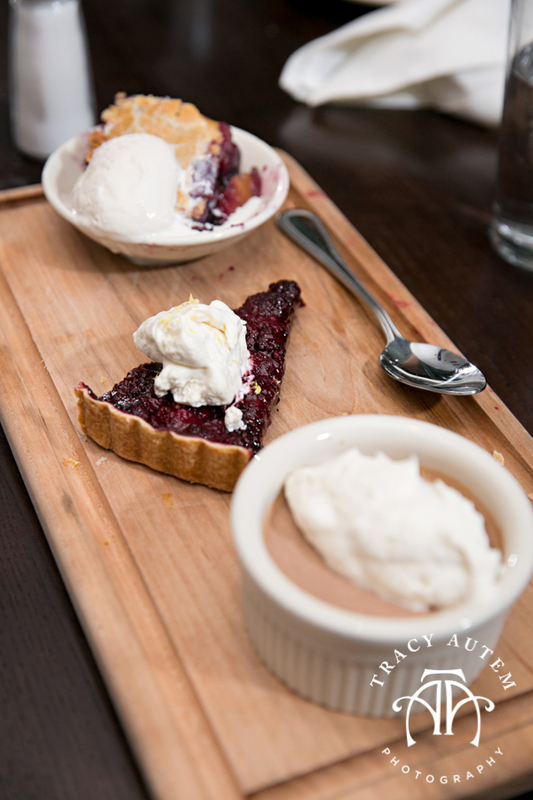 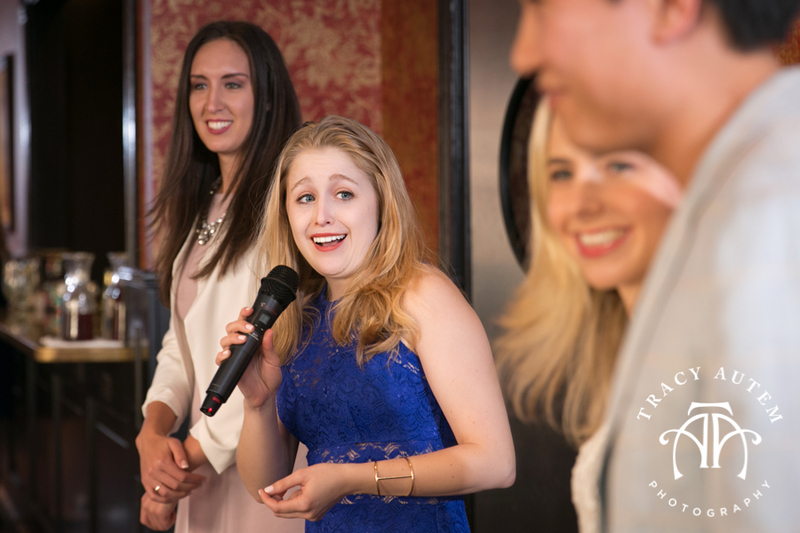 Marysa & James were one of the lucky ones this month – no rescheduling, no rain and perfect weather! 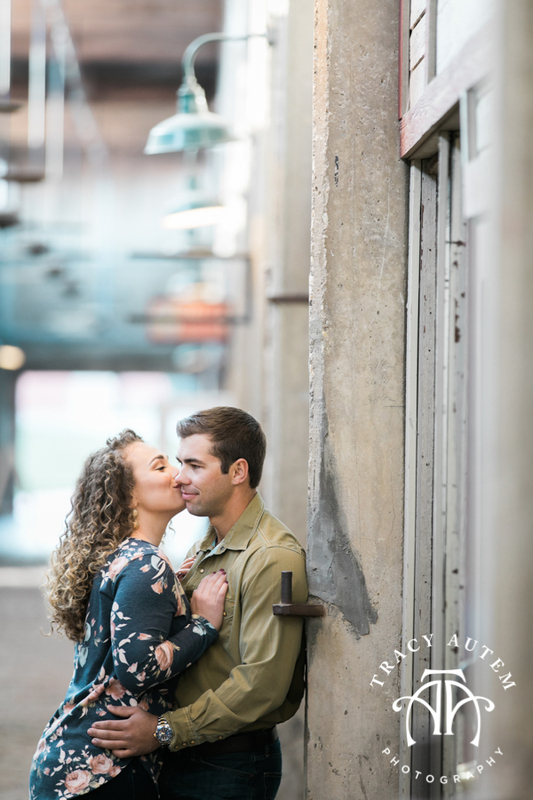 This April & May has been crazy wet so it has gotten in the way of SO many of our couples engagement and bridal photo shoots. 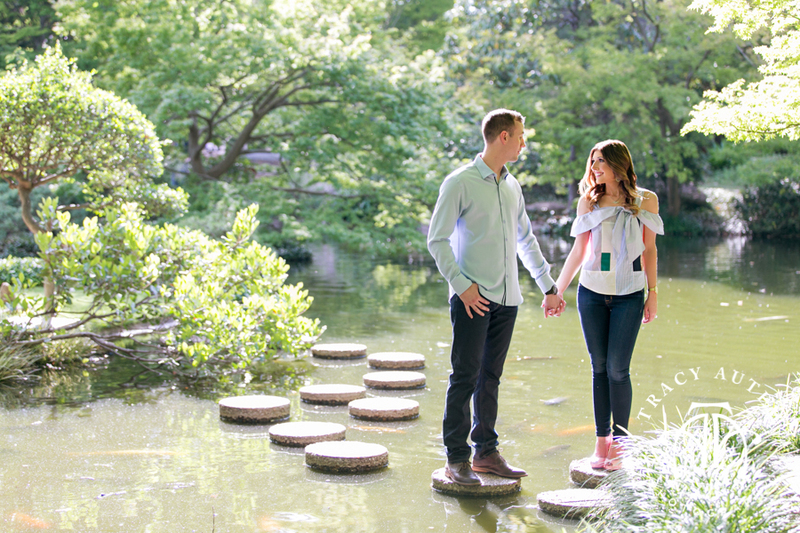 One one of our rare perfect days we headed over to the Botanic Gardens of Fort Worth for a romantic stroll and some super cute photos of these two! 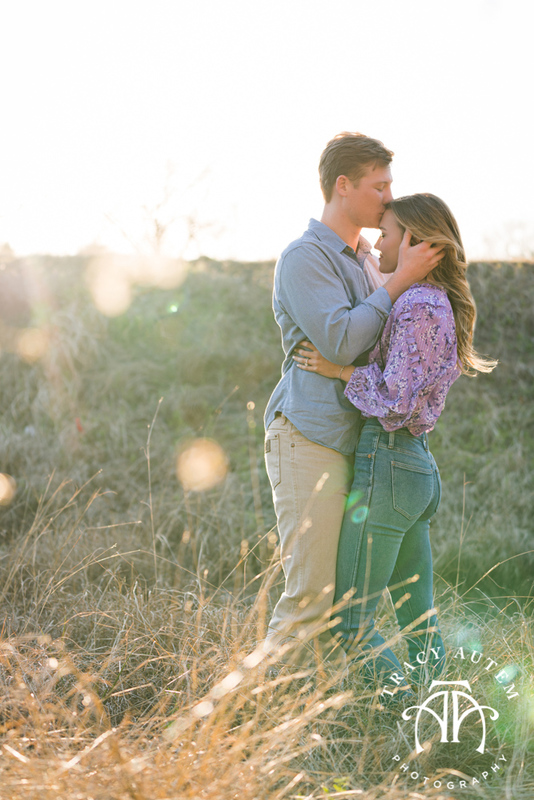 James is an absolute doll and these two just melt into each other when they are together. 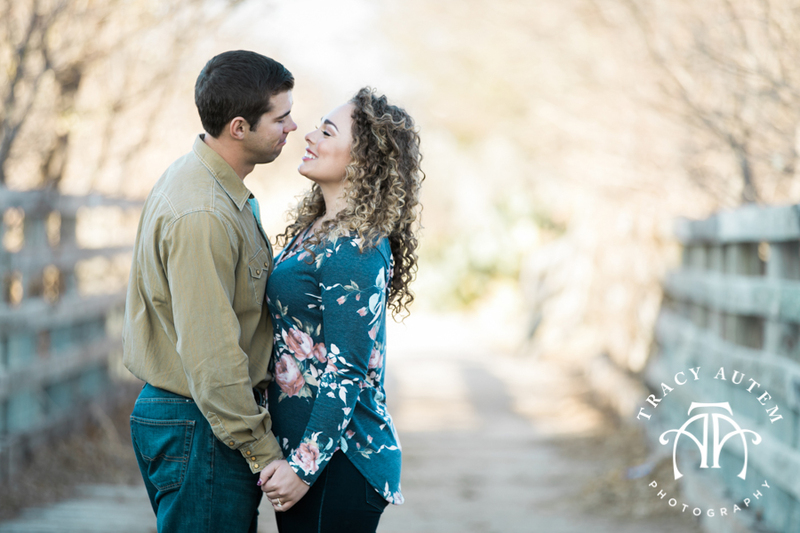 You can see and feel the love! 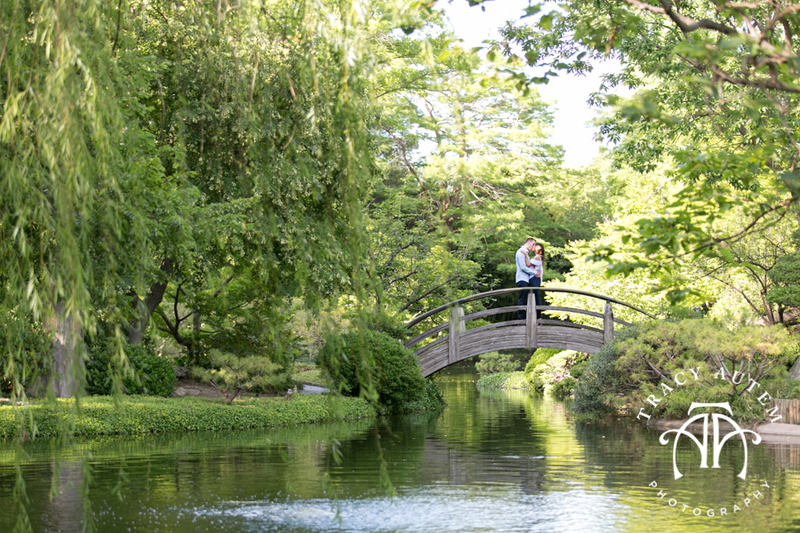 The Fuller Garden was lush and green and we had it mostly to ourselves! 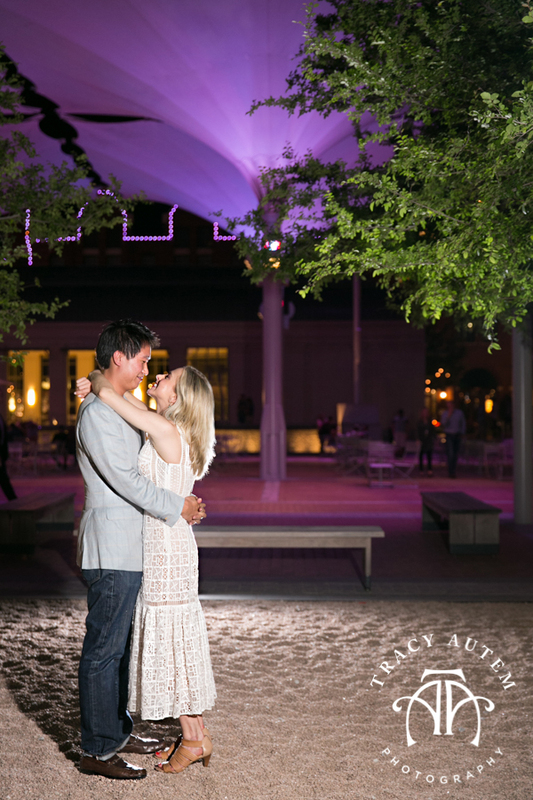 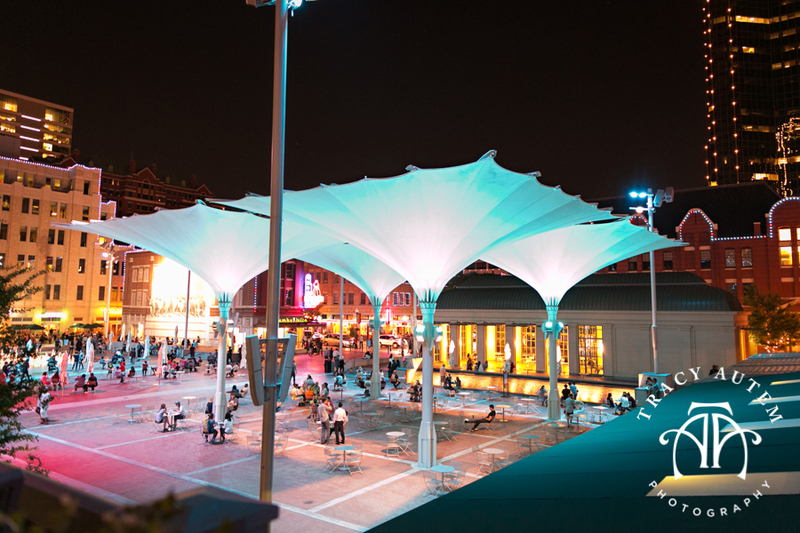 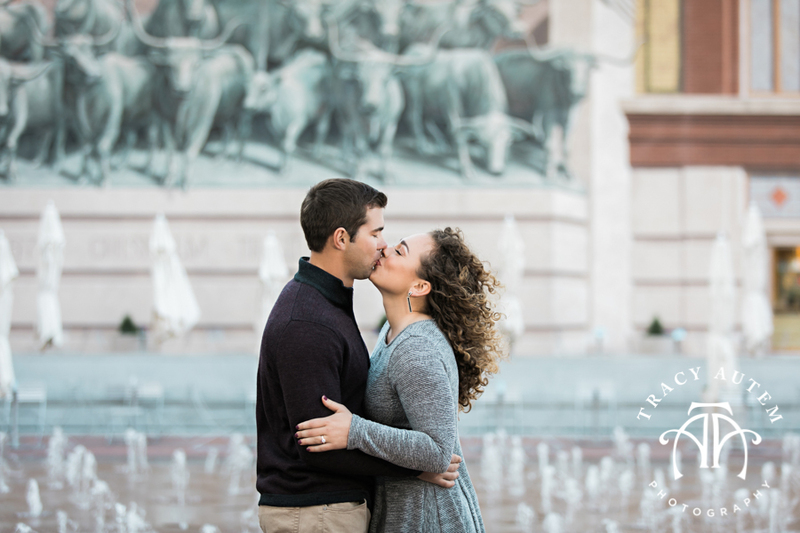 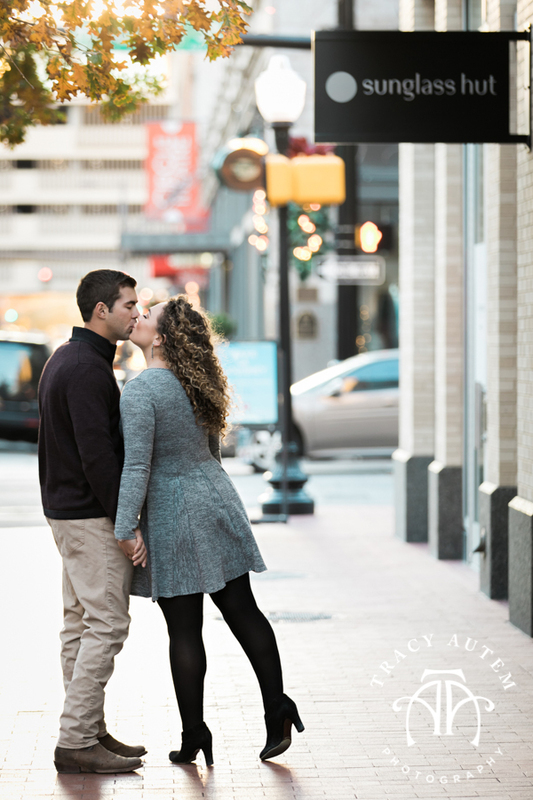 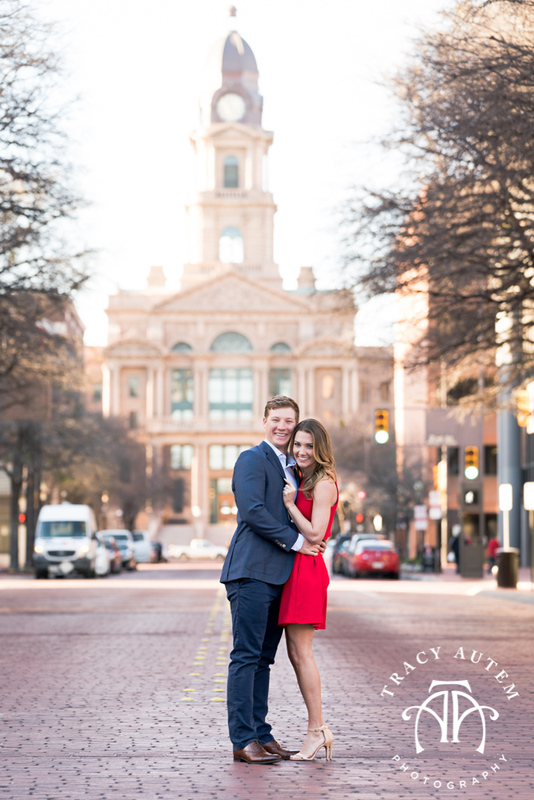 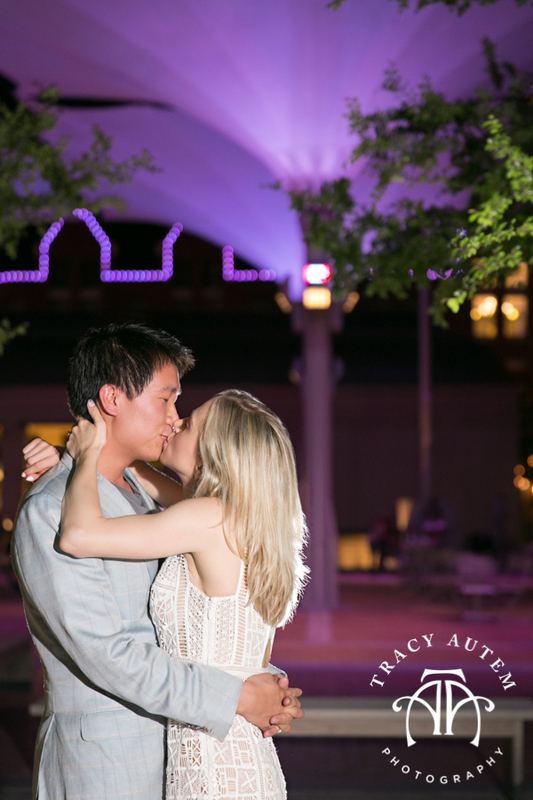 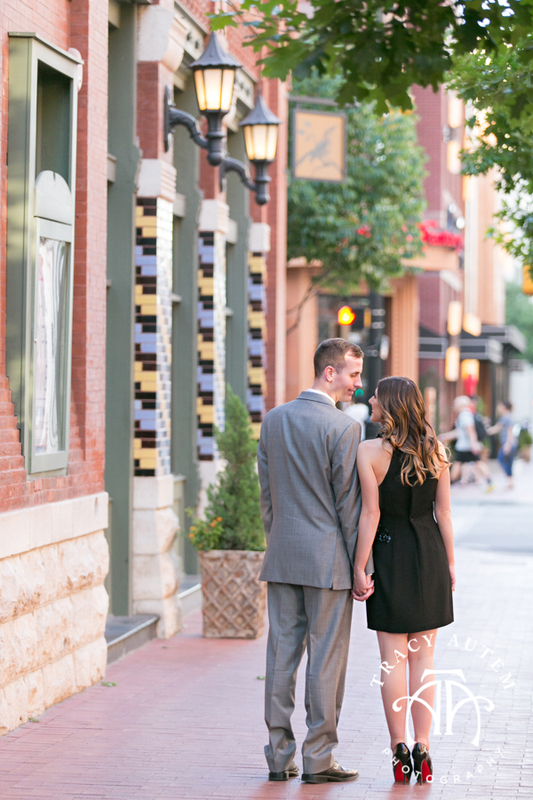 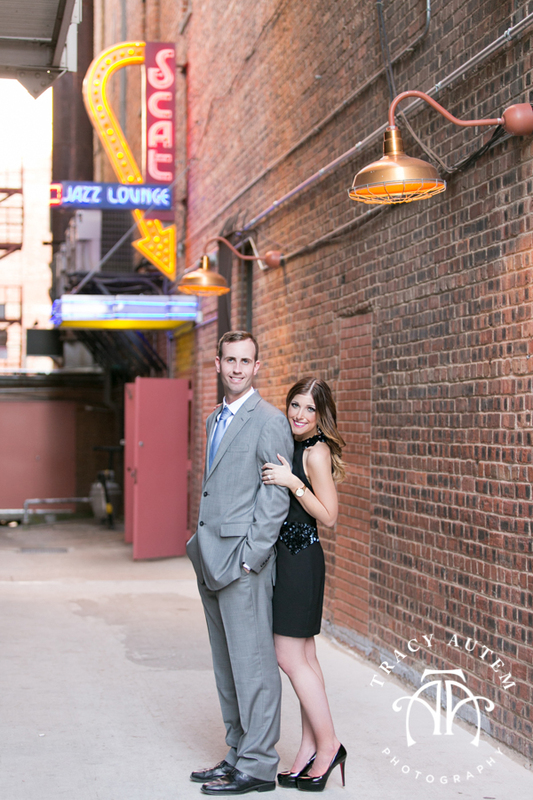 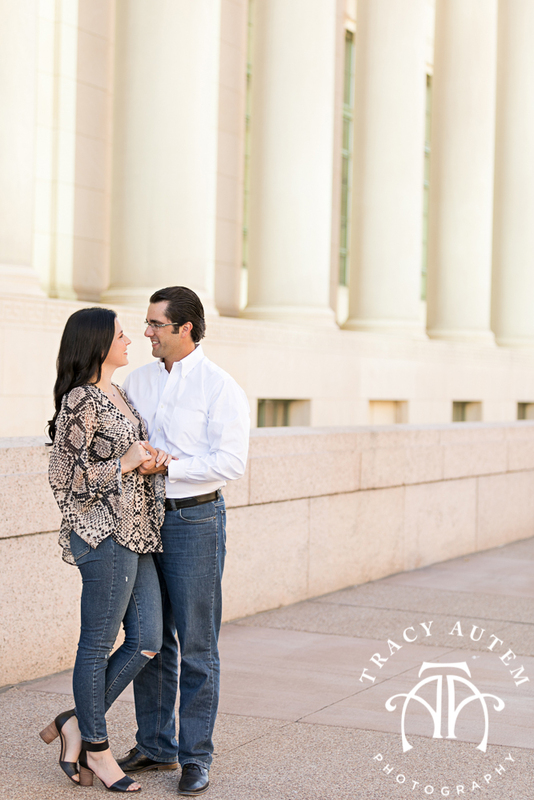 After some garden romance we set out to downtown Fort Worth where James proposed to Marysa in Sundance Square. 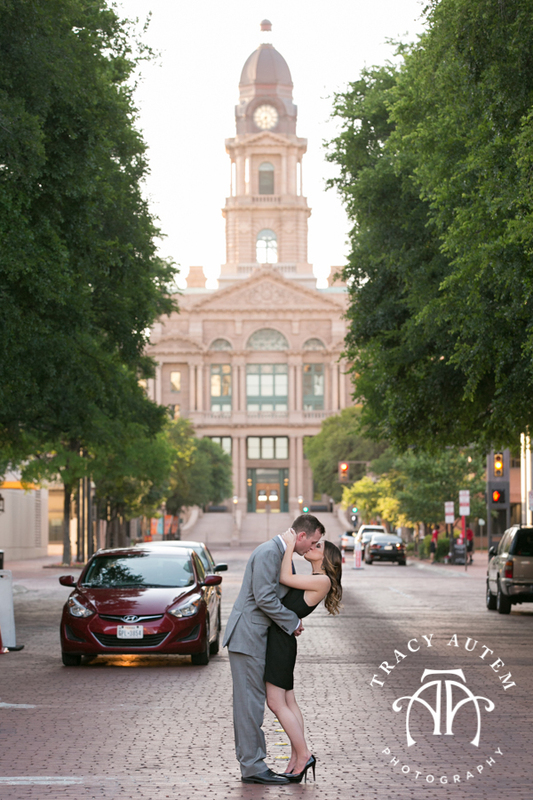 We strolled the streets, hit the ever famous and always needed courthouse for a classic photo before spending some time on the square. 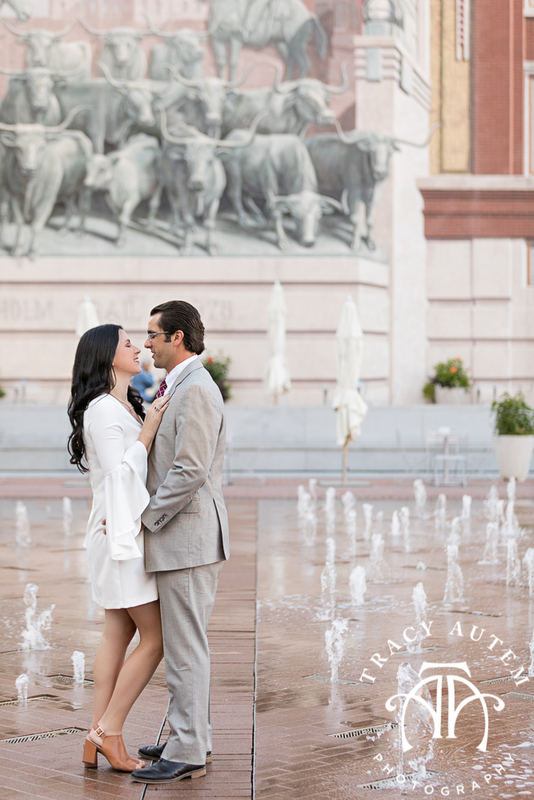 The fountains are beautiful but they were being tricky with us! 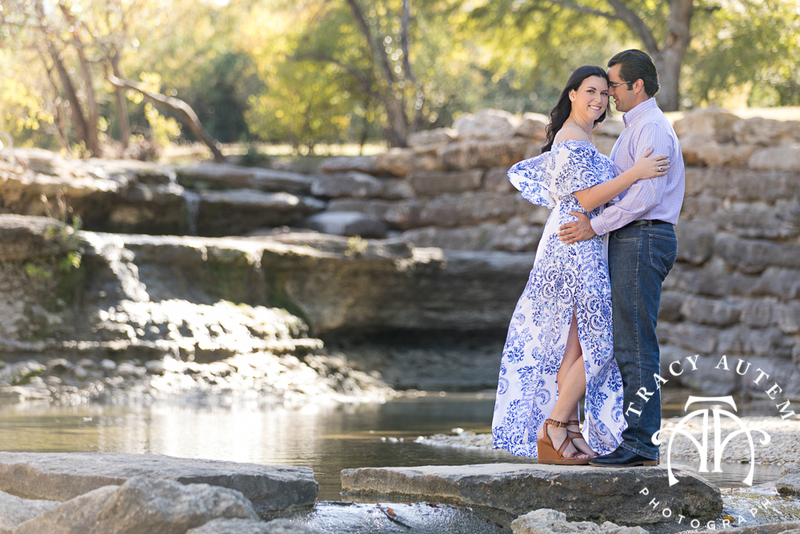 Sometimes they are just a little tricky and other times they are beautiful tall towers of water – we kept waiting for just the right time to snap our photos. 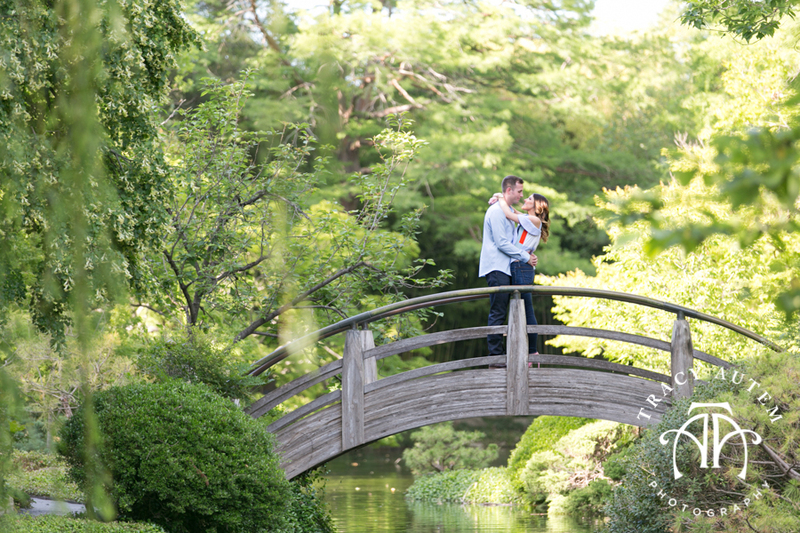 Finally we got lucky, got some beautiful images and headed home. 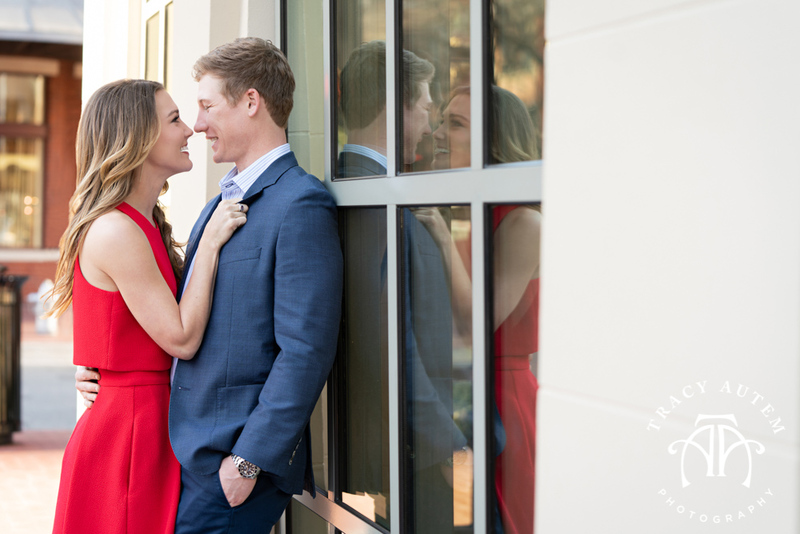 Thanks you two for trusting me with your engagement and wedding and I can’t wait to celebrate with you next year! 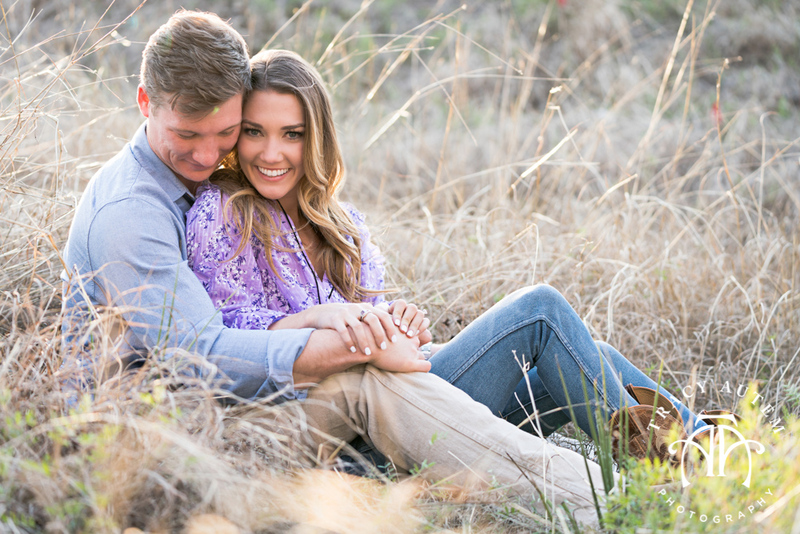 Check out their engagement best of slide show for more of their stunning photo session!